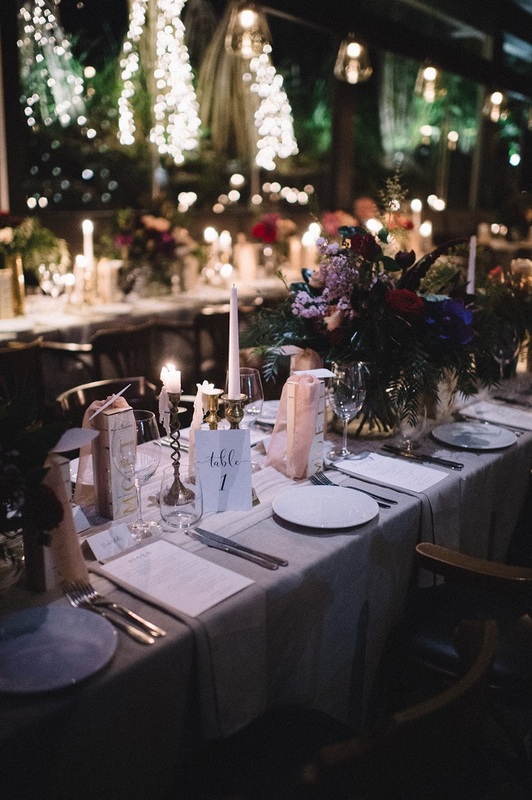 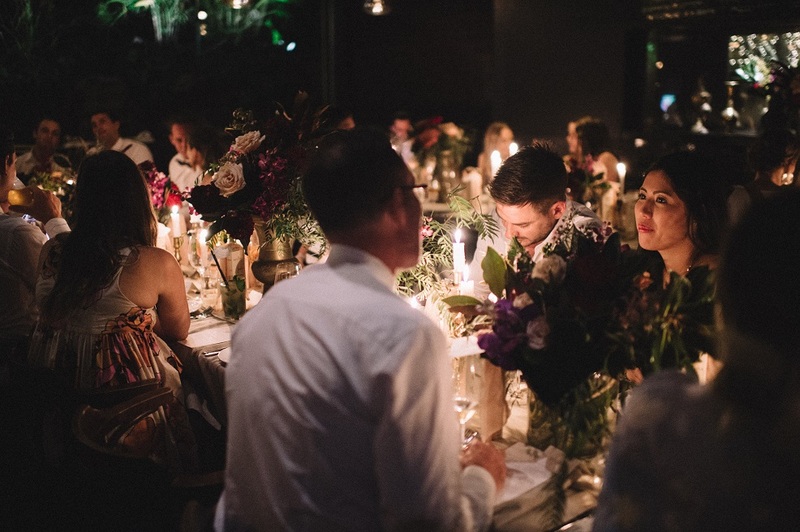 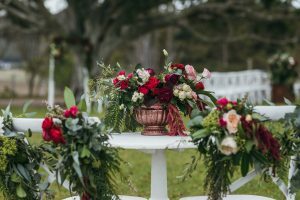 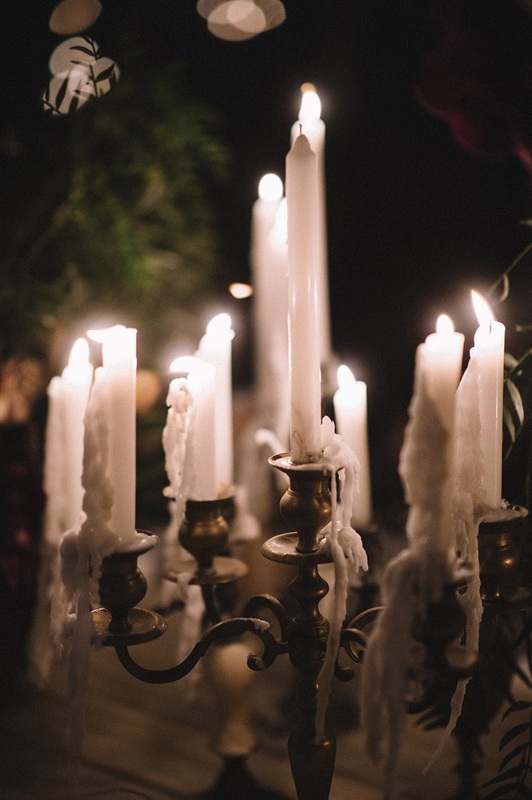 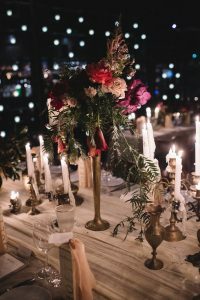 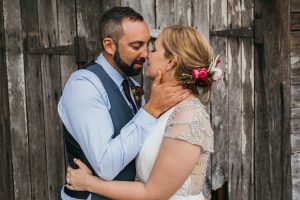 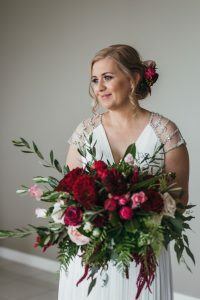 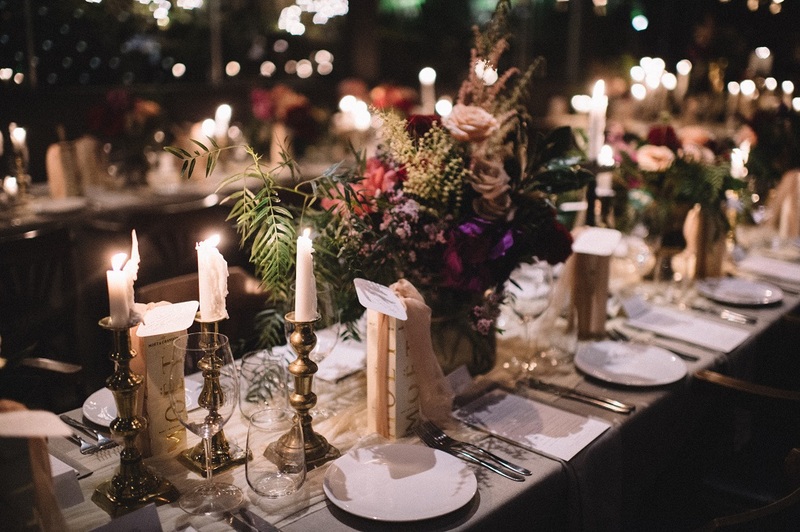 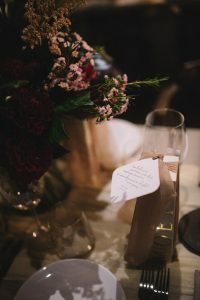 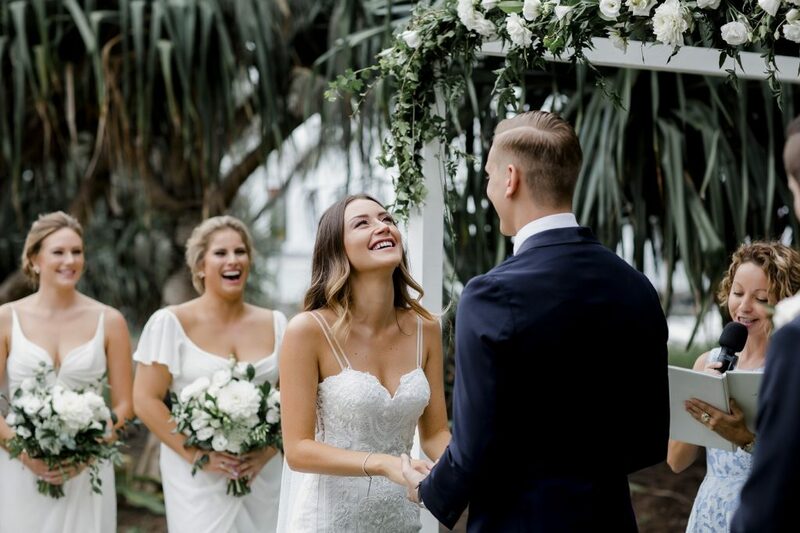 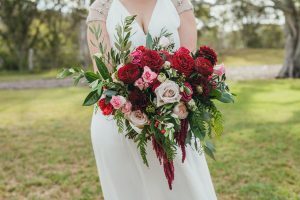 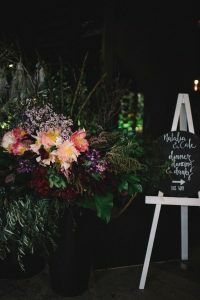 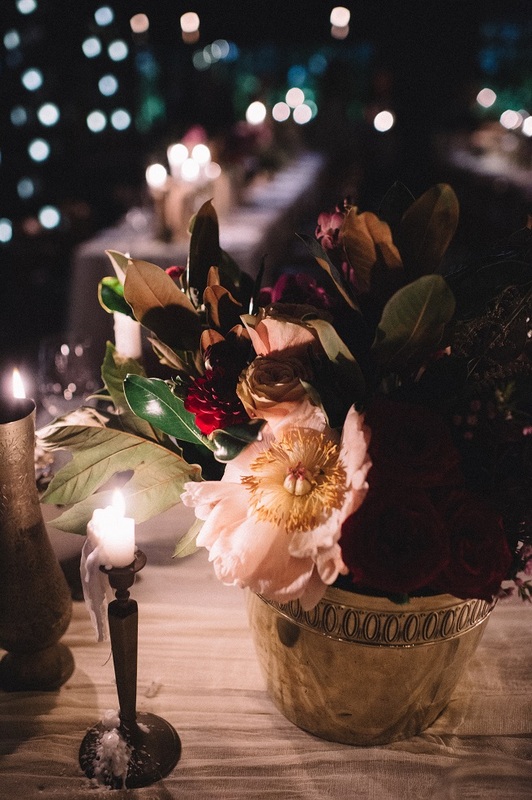 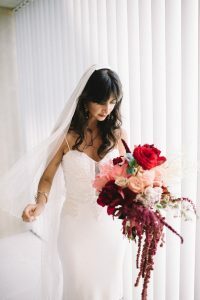 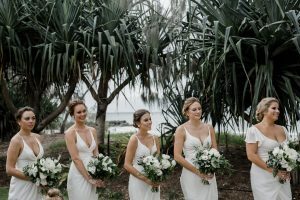 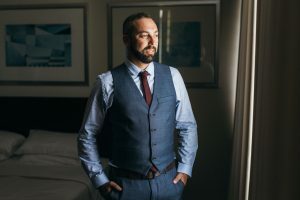 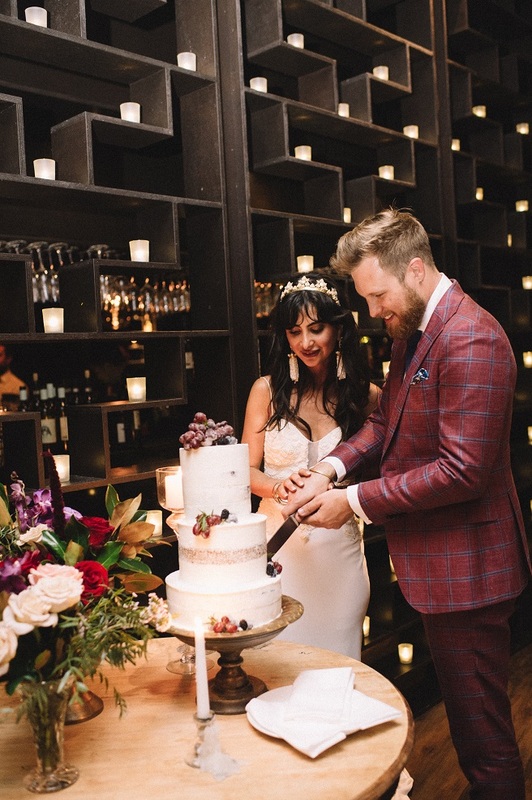 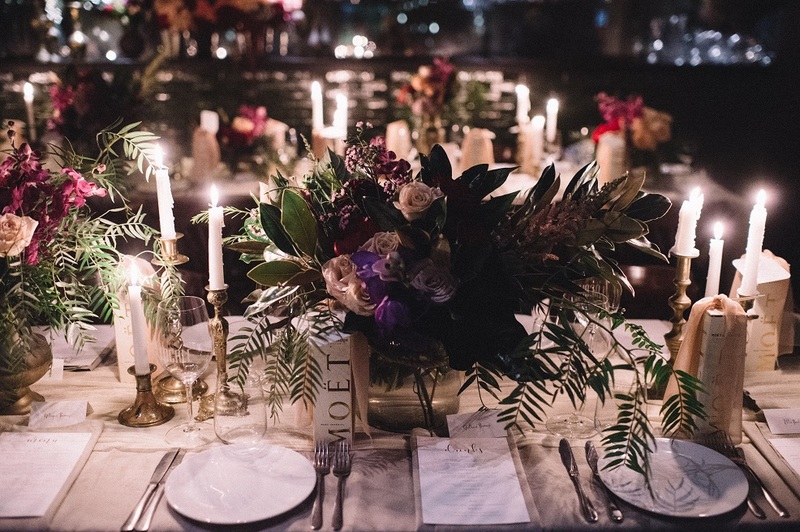 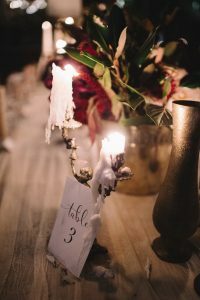 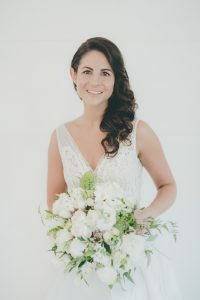 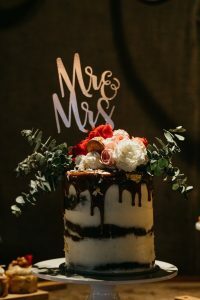 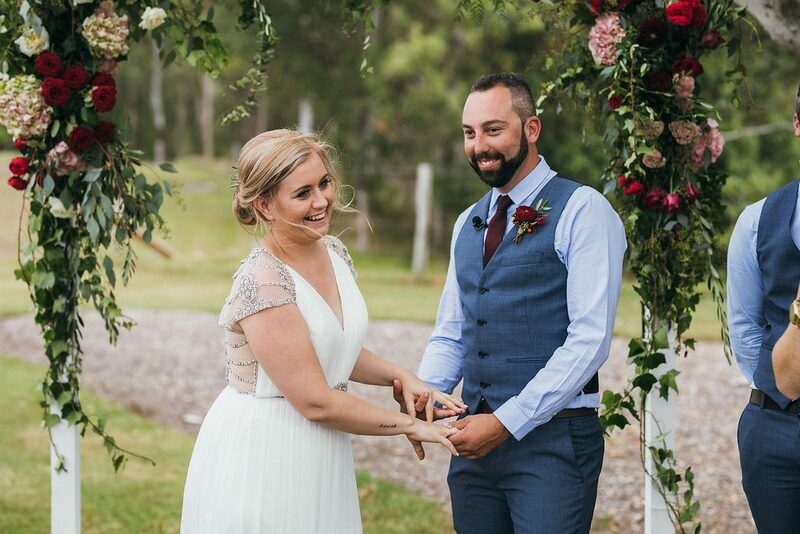 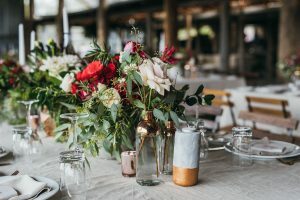 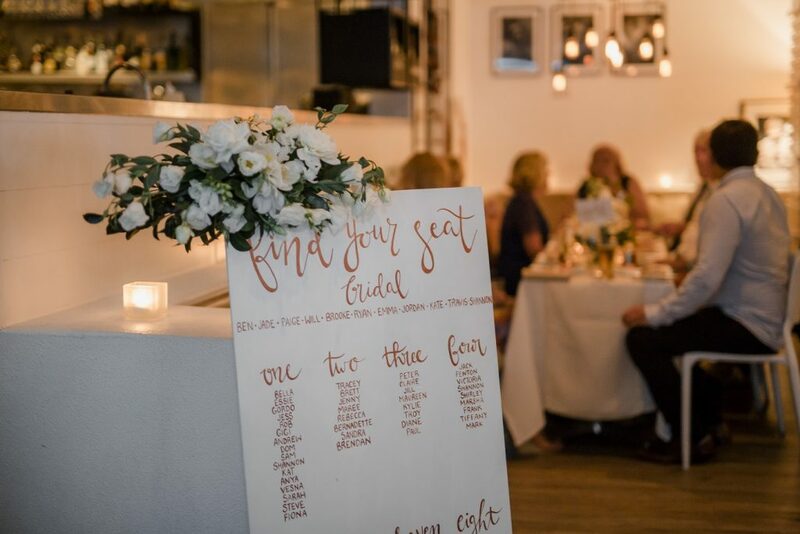 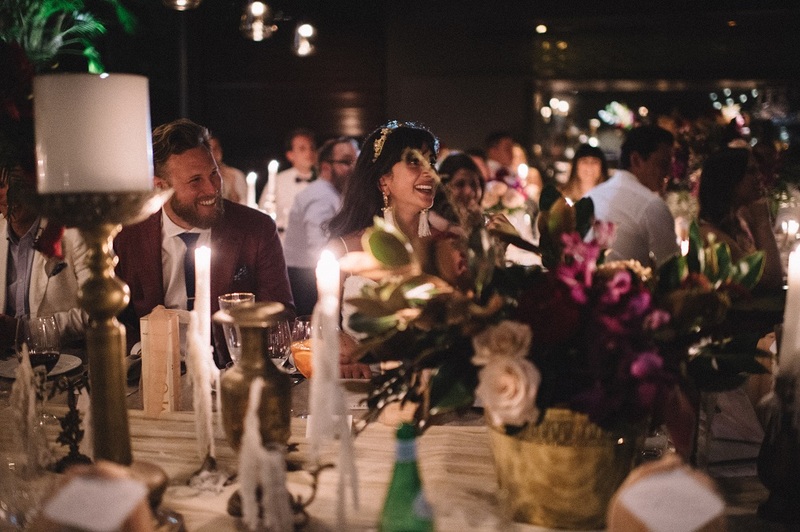 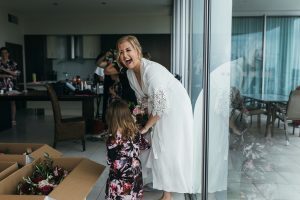 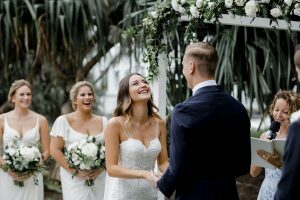 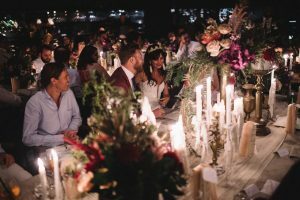 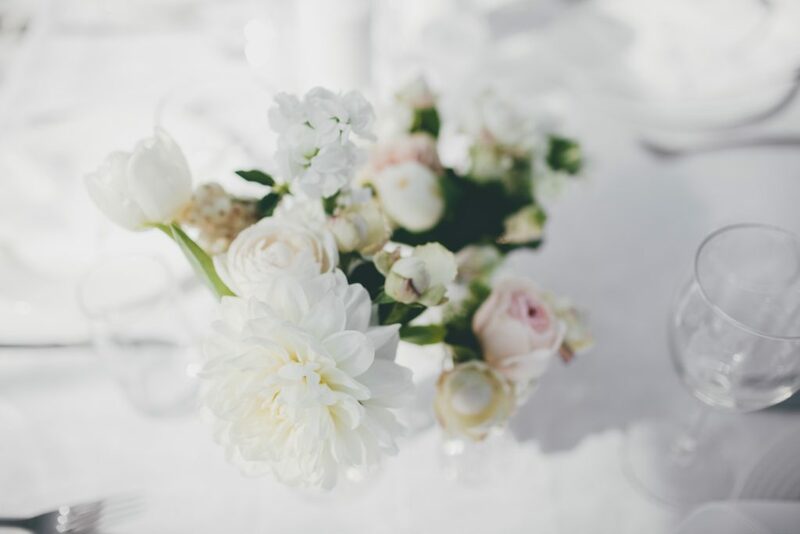 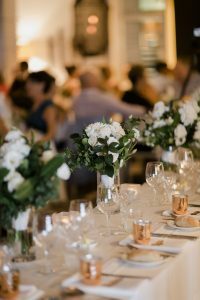 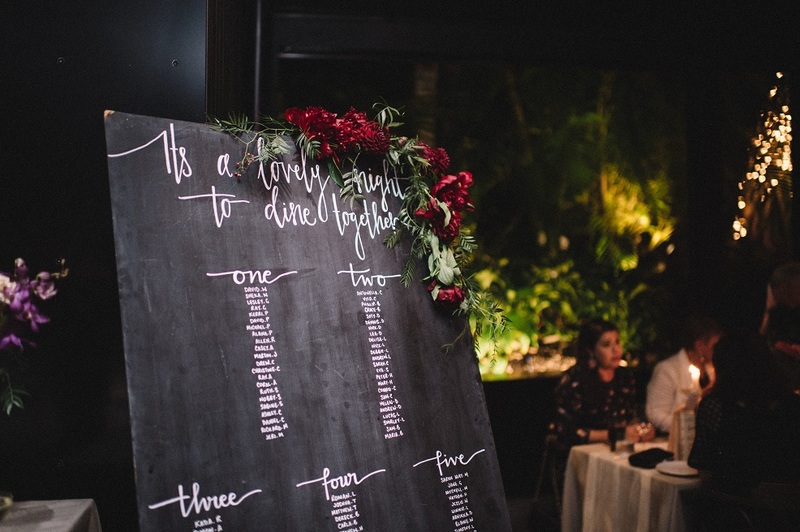 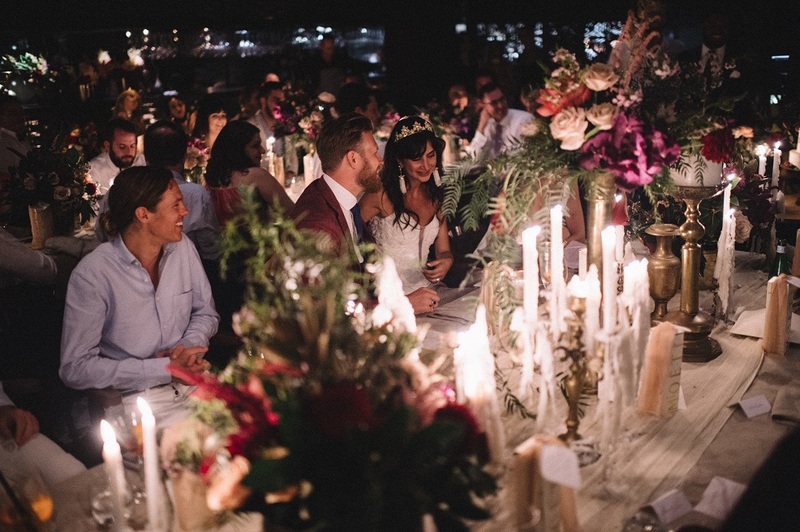 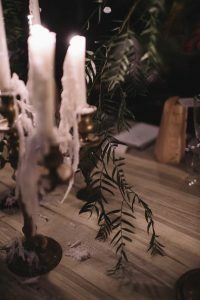 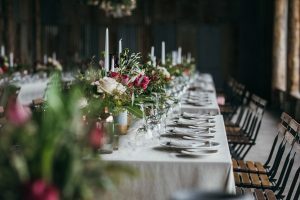 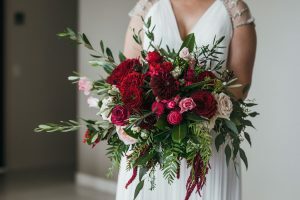 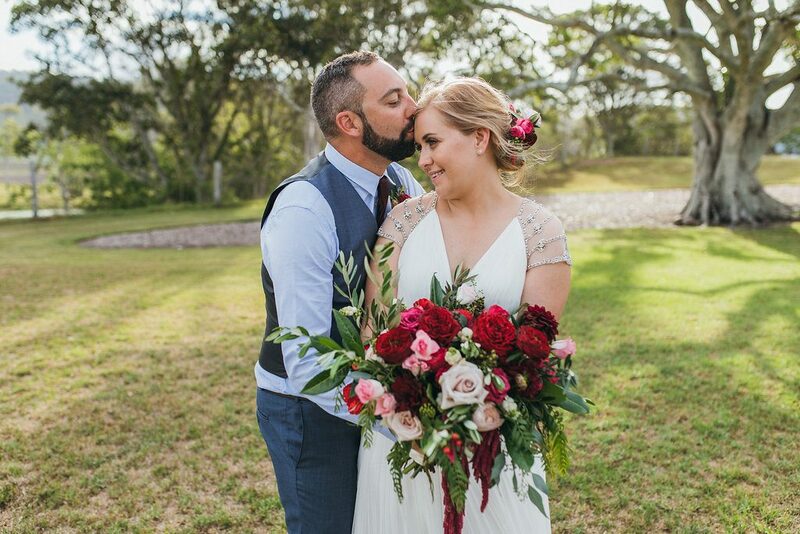 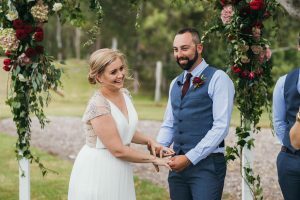 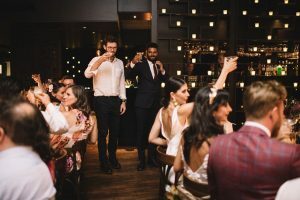 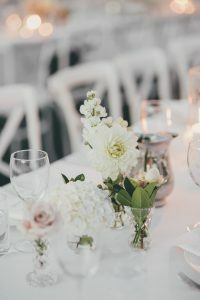 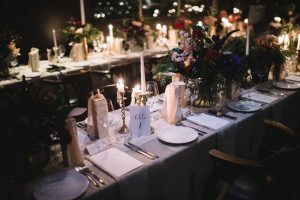 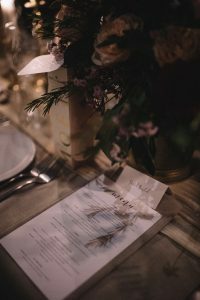 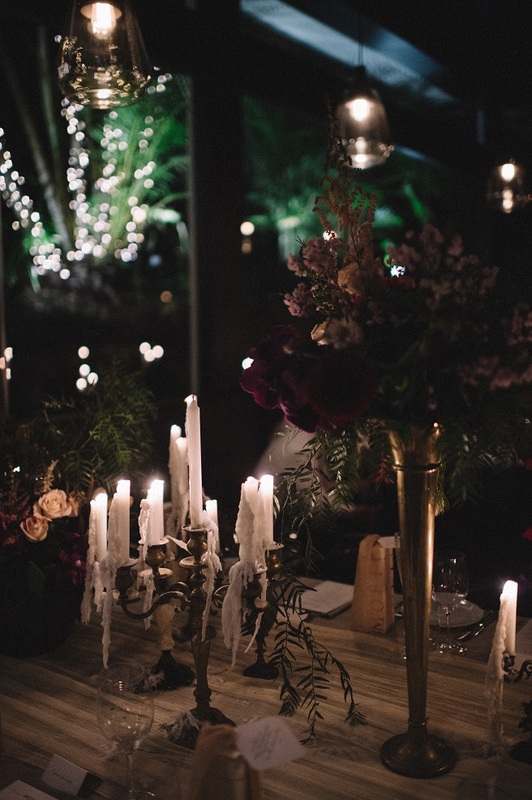 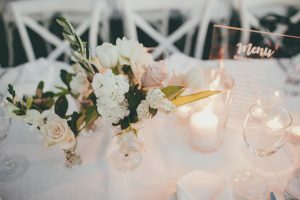 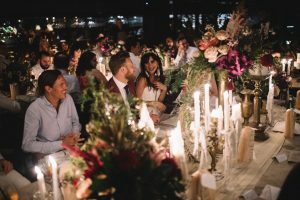 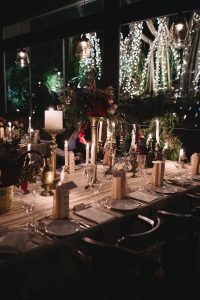 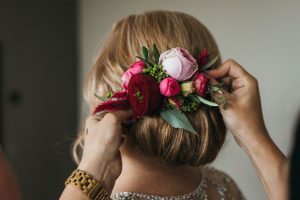 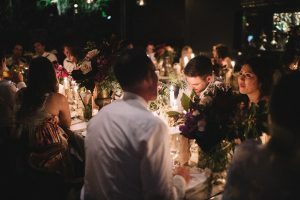 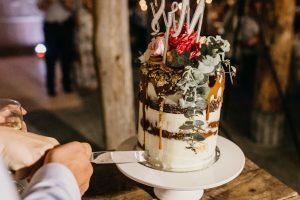 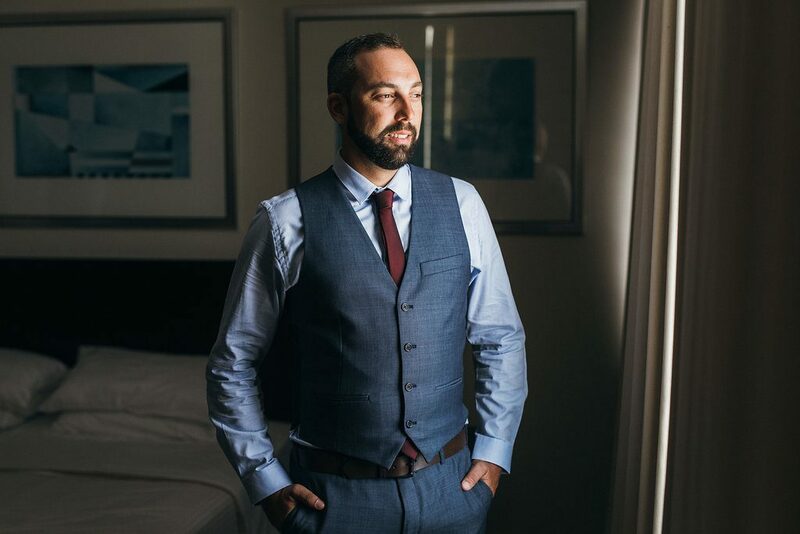 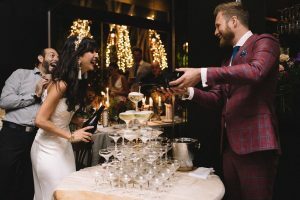 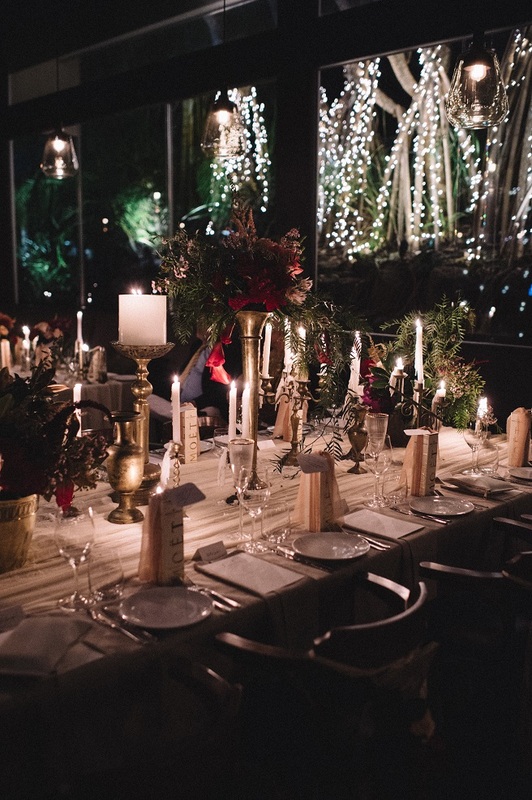 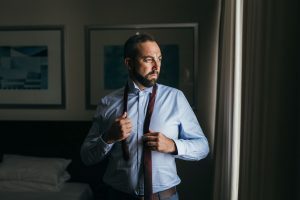 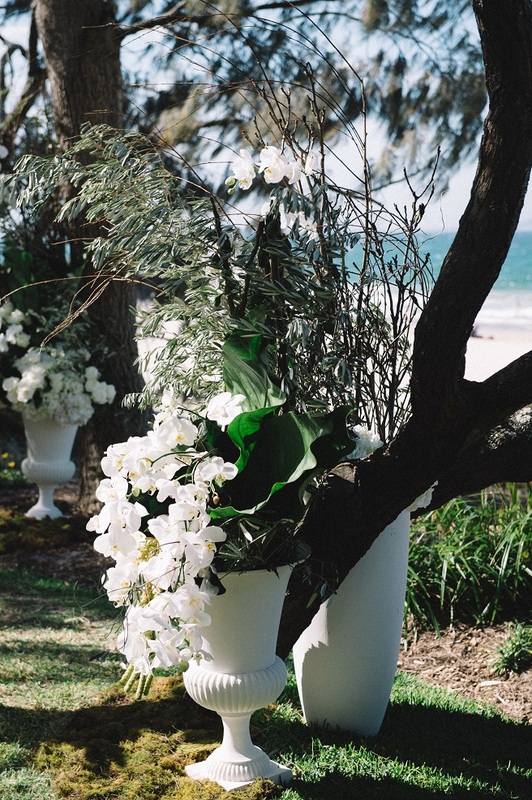 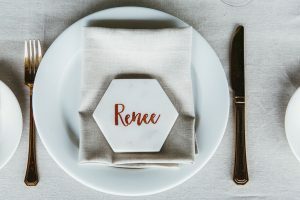 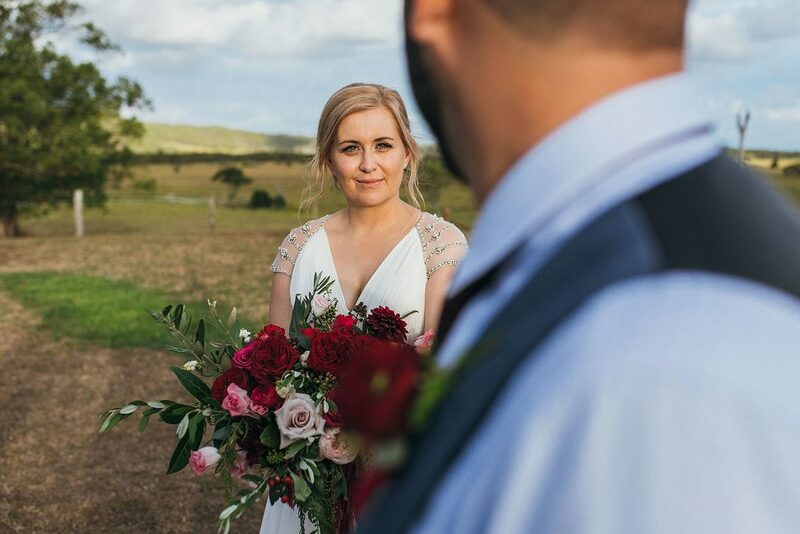 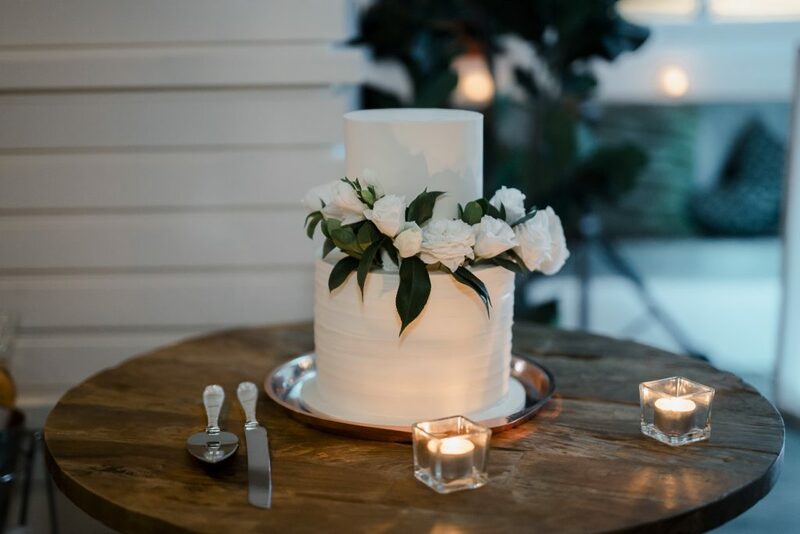 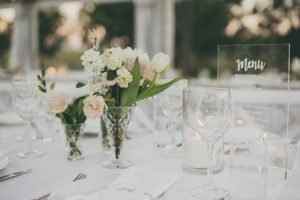 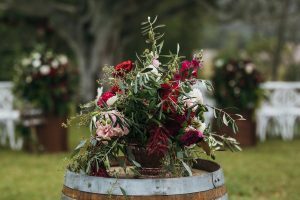 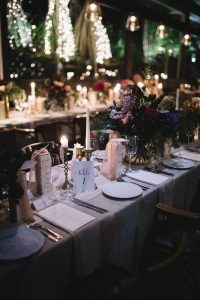 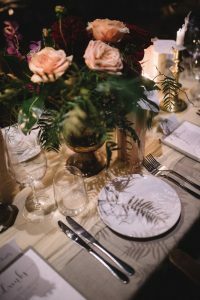 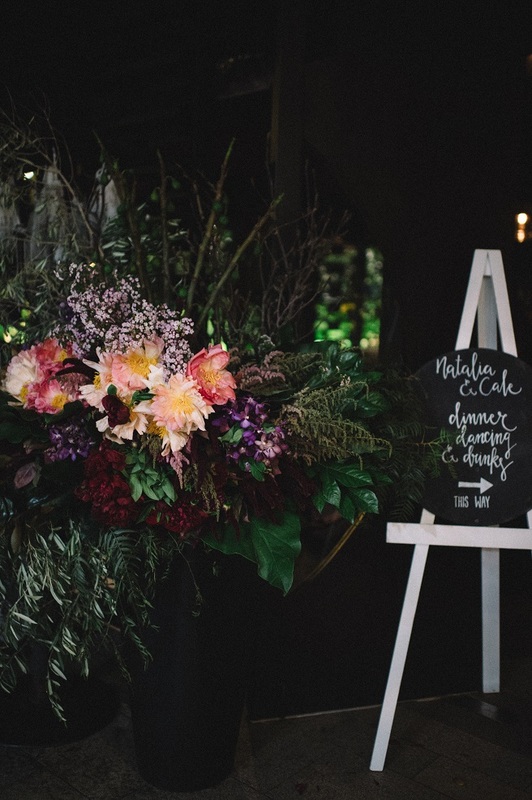 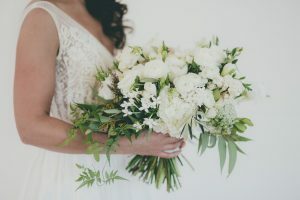 Natalia & Cale wed at Casuarina Gardens in an intimate ceremony, followed by a sit down dinner at Locale where they filled the room with hundreds of candles and rich floral designs. 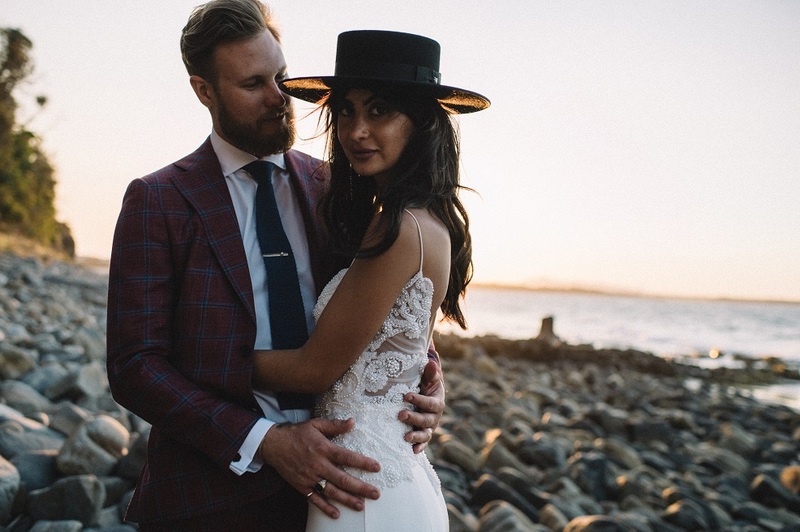 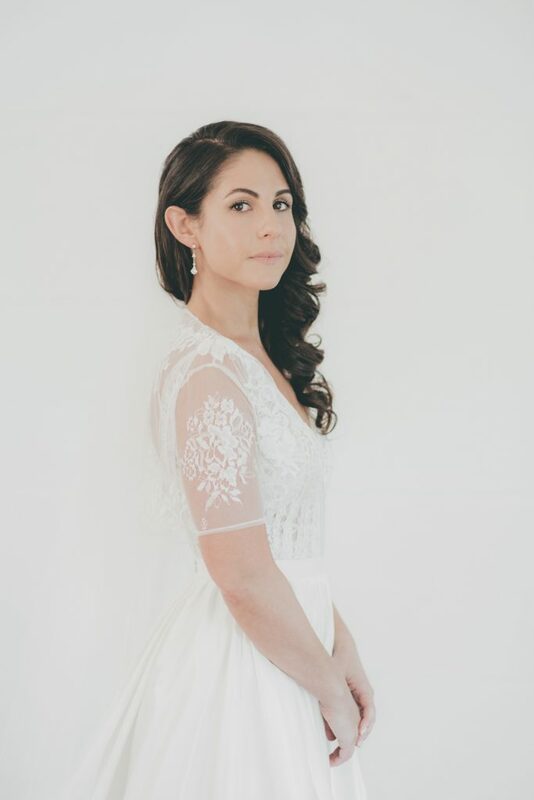 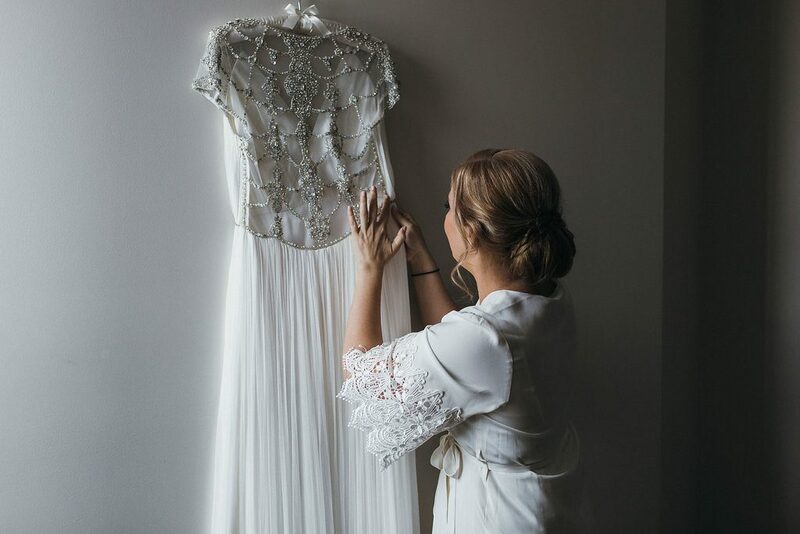 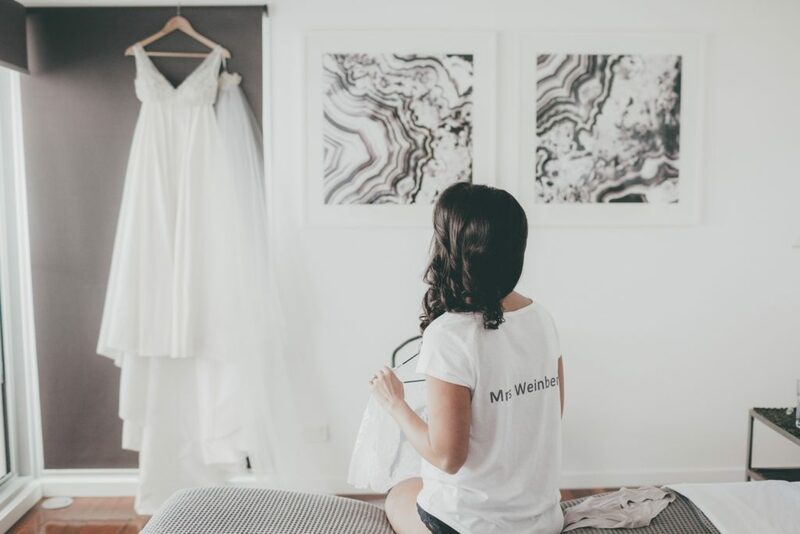 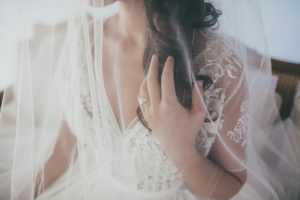 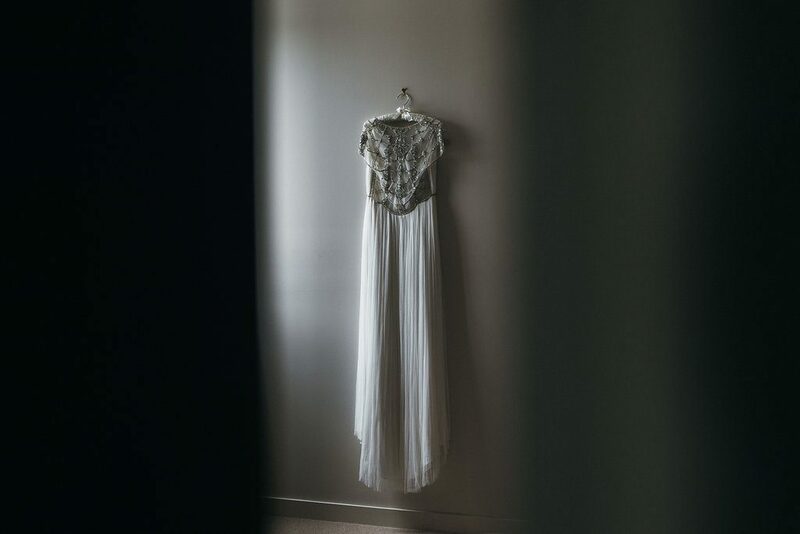 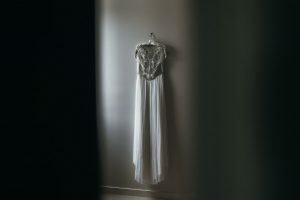 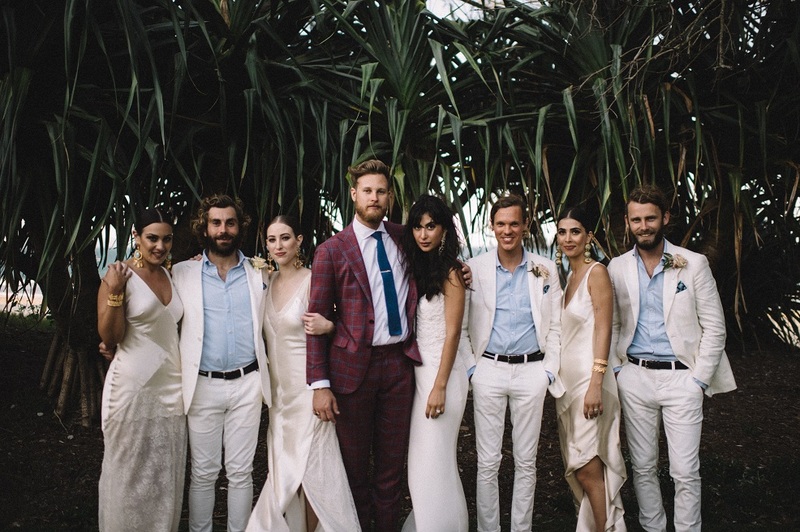 Natalia is one half of the amazing fashion label Verge Girls, and brought her own sense of style to the wedding. 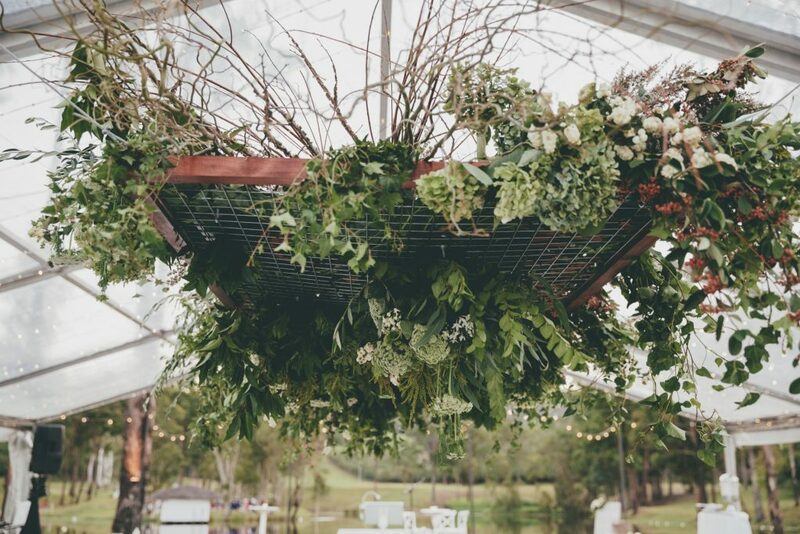 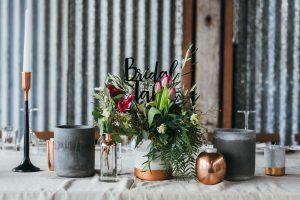 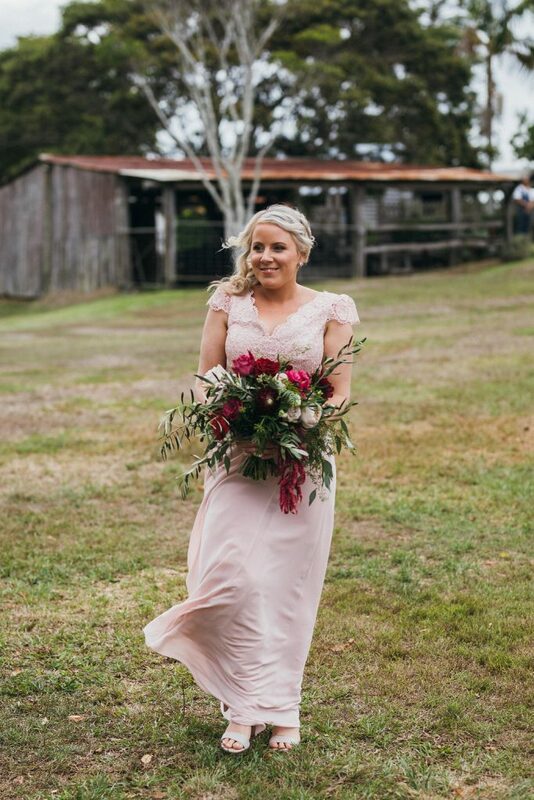 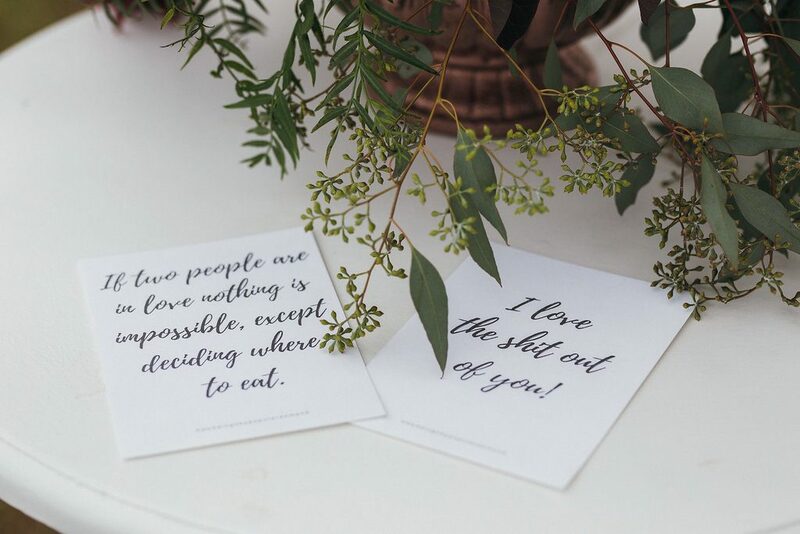 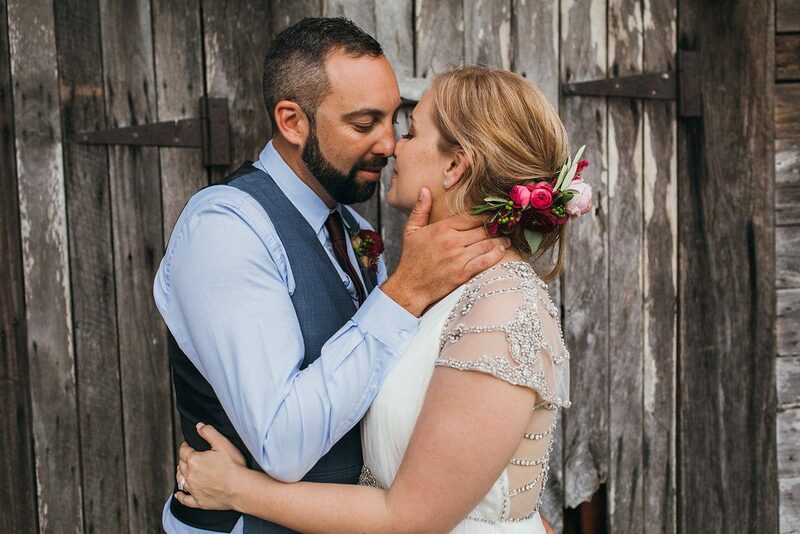 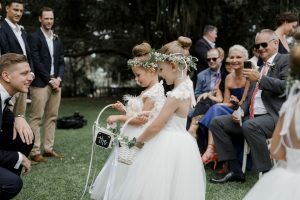 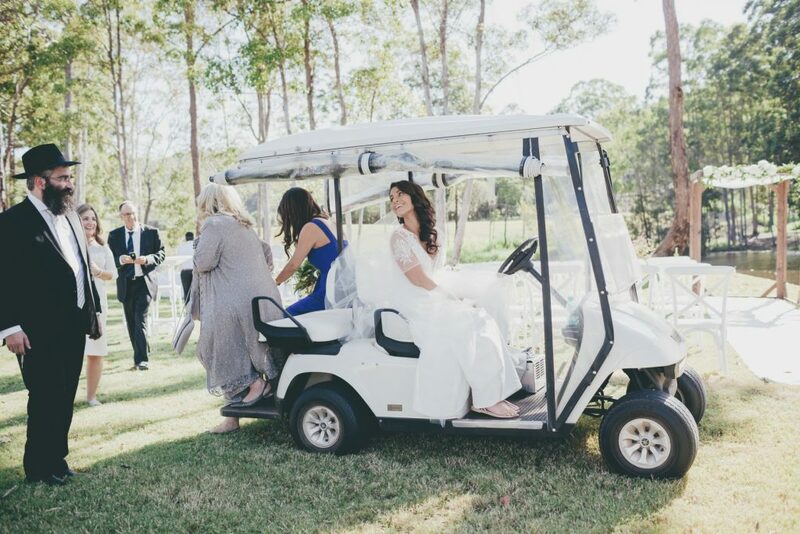 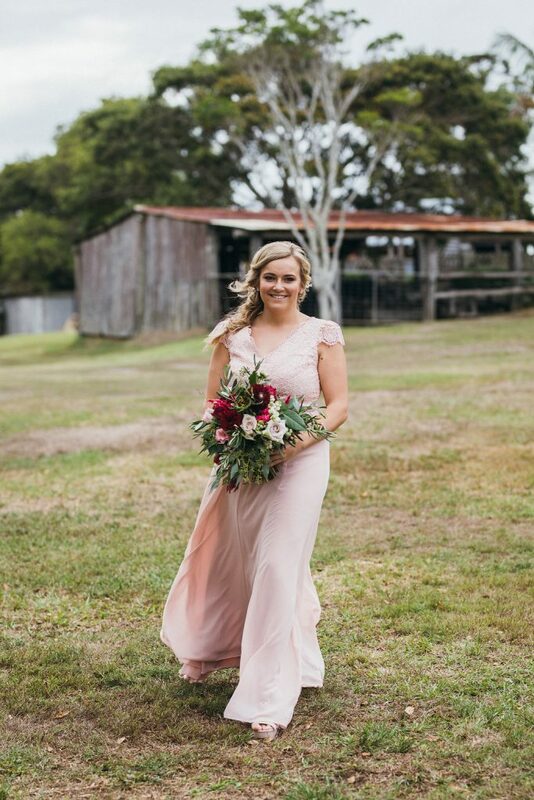 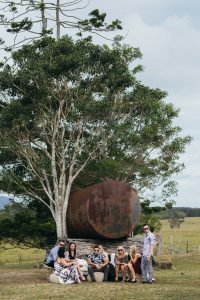 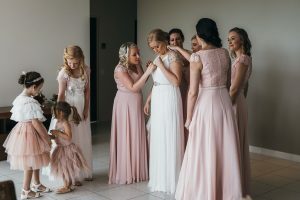 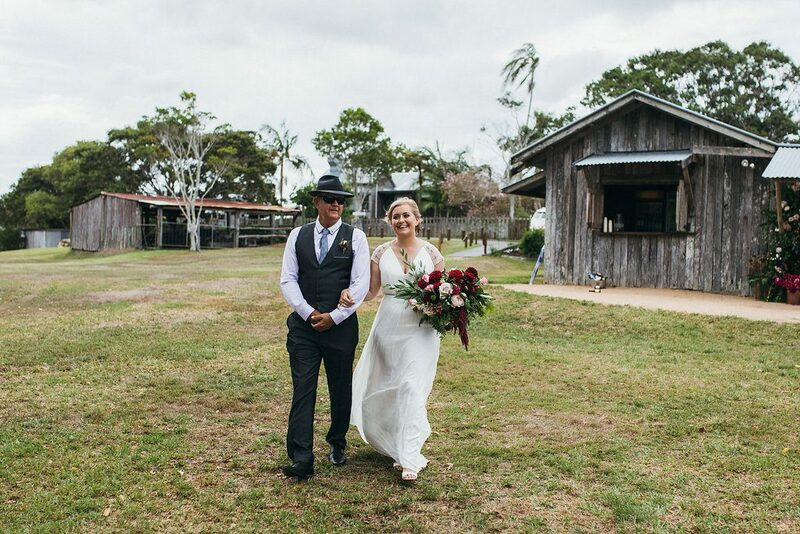 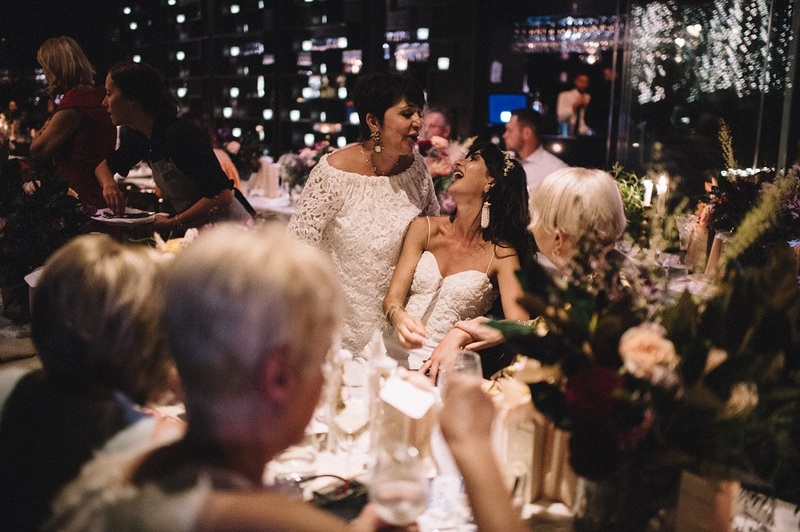 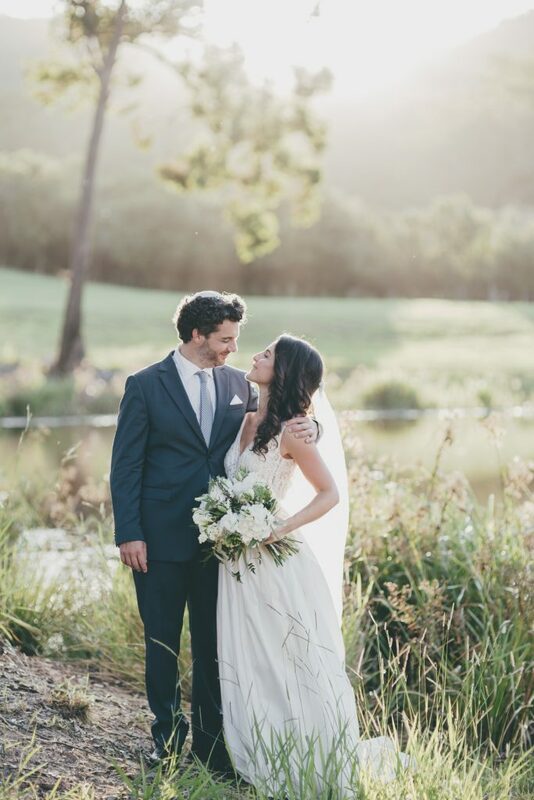 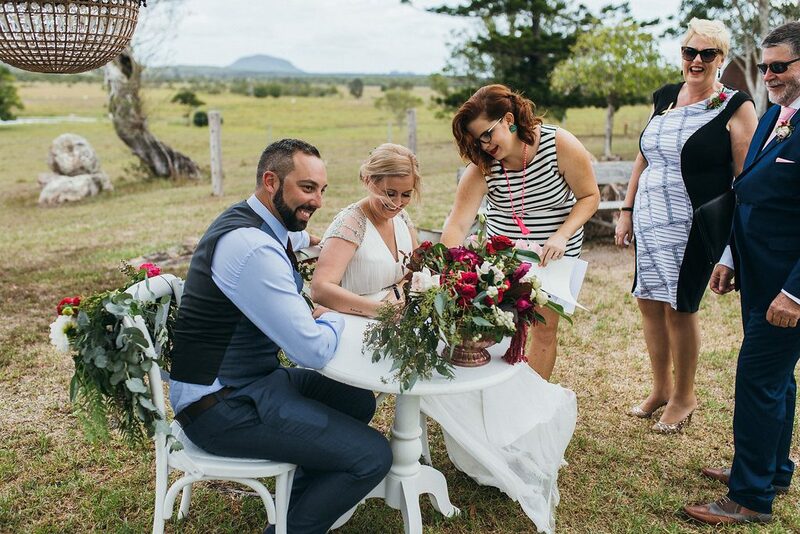 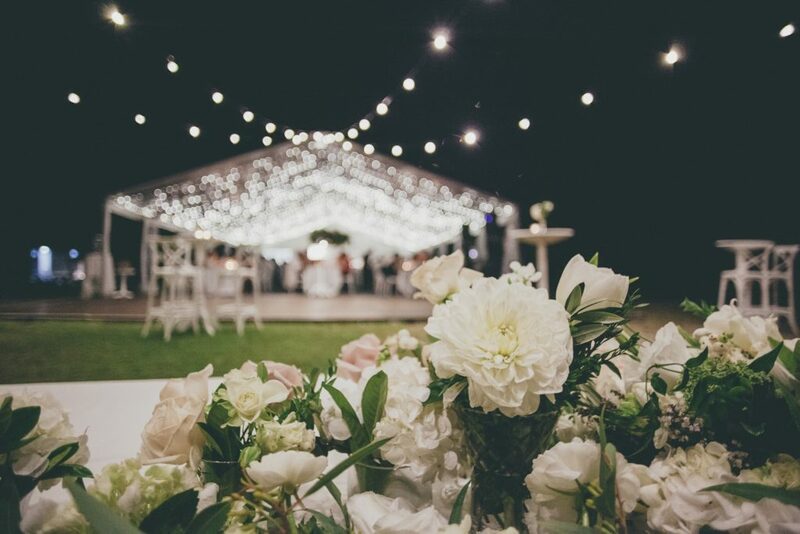 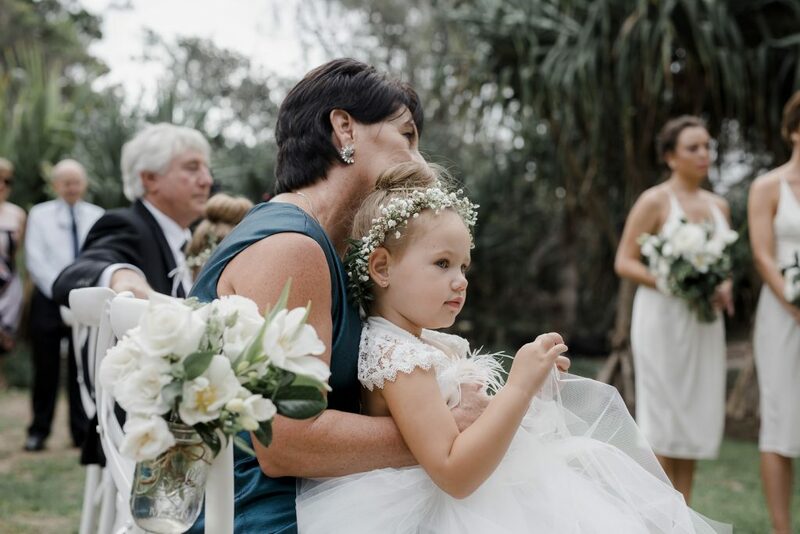 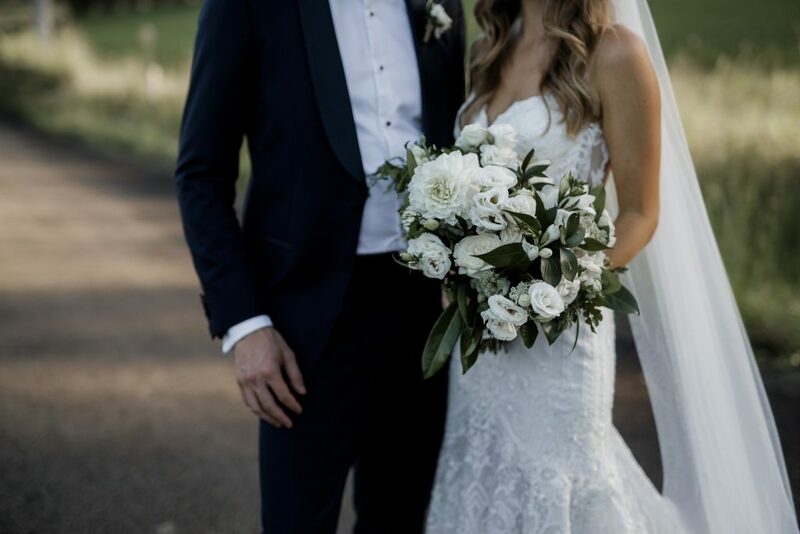 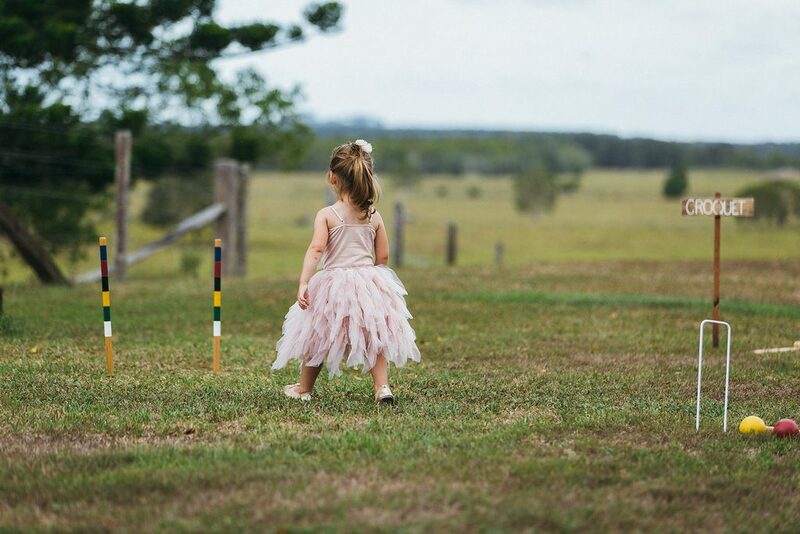 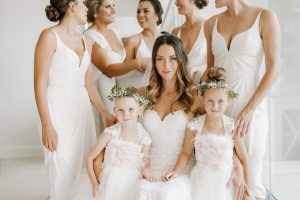 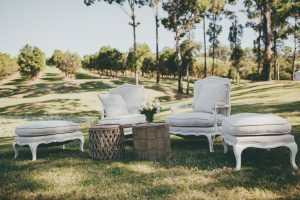 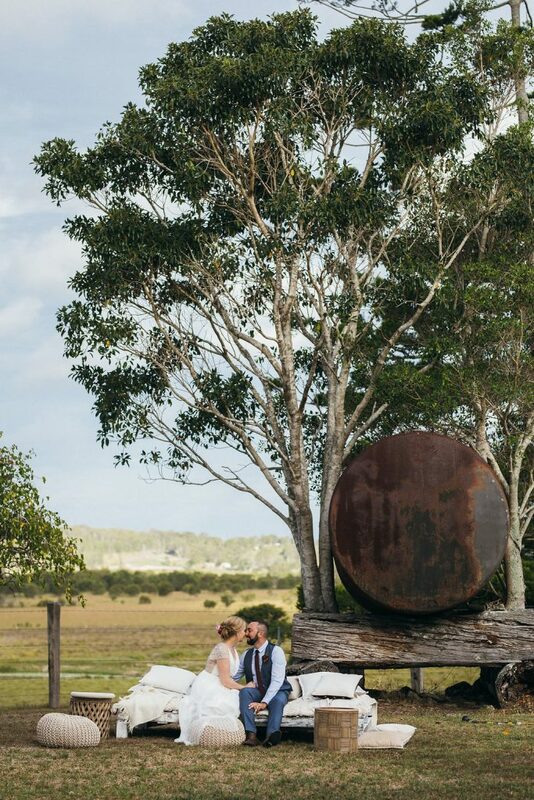 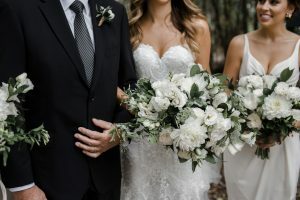 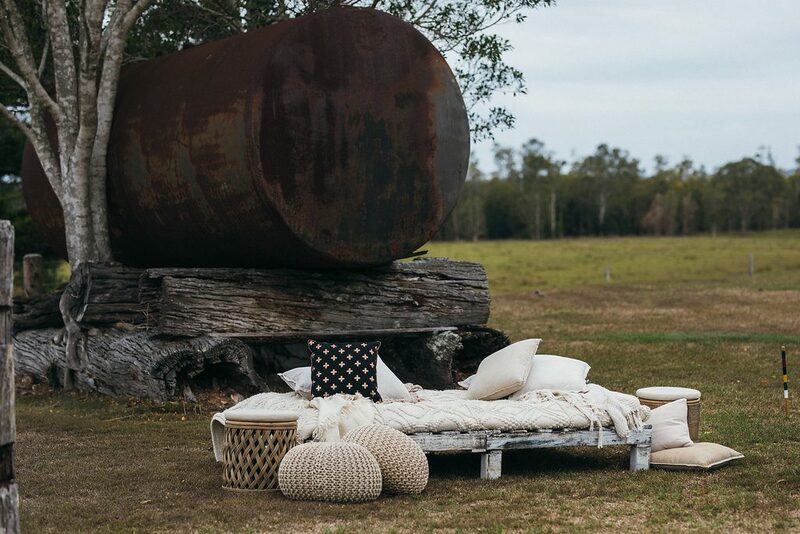 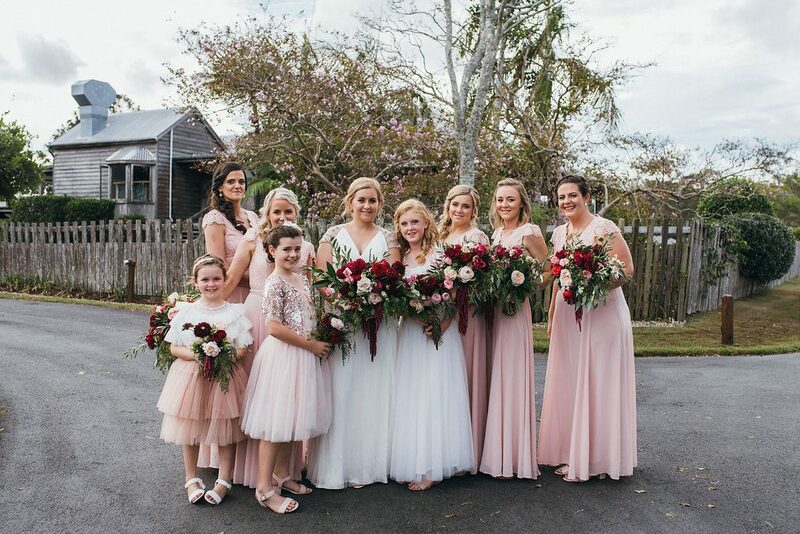 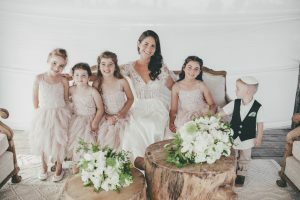 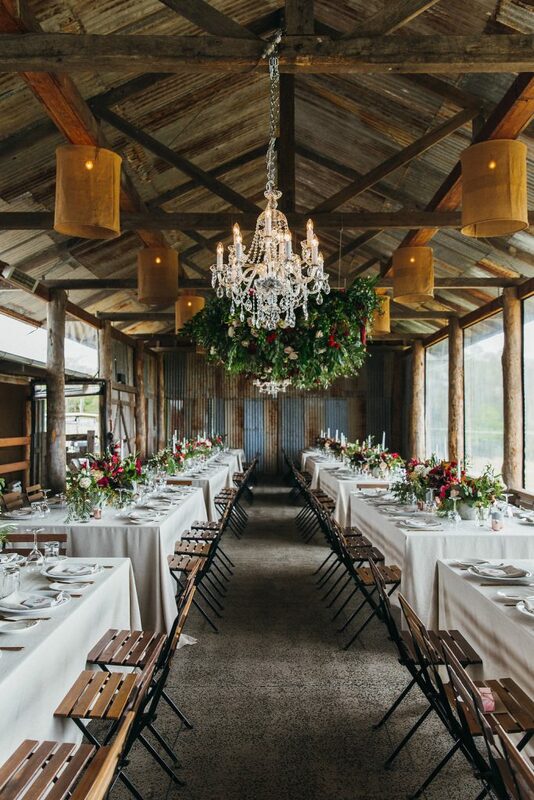 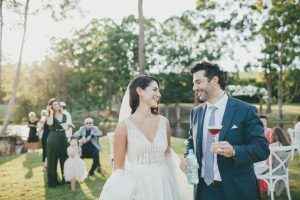 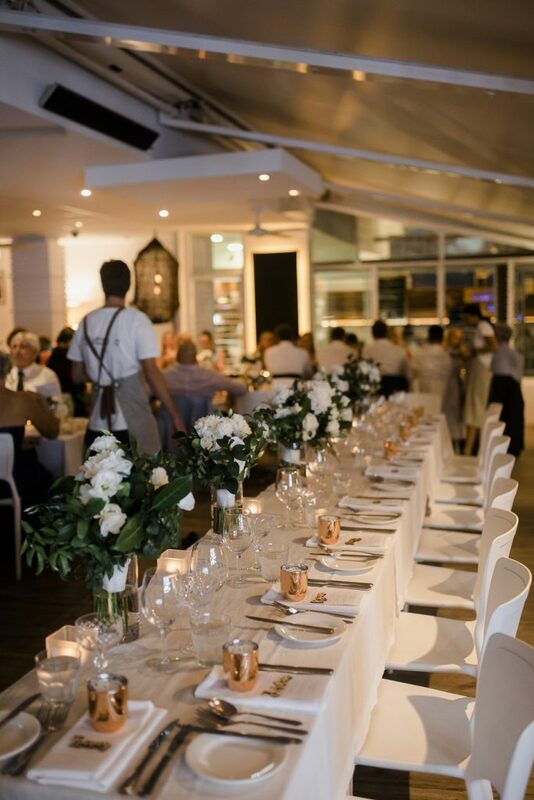 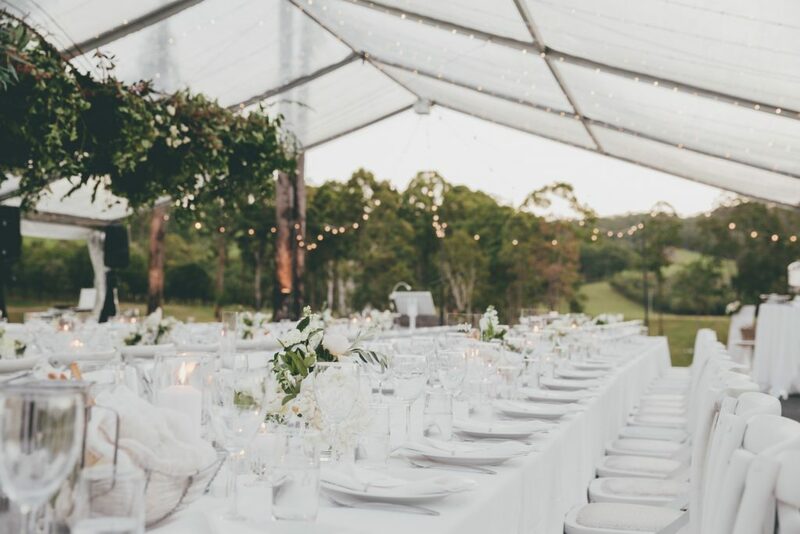 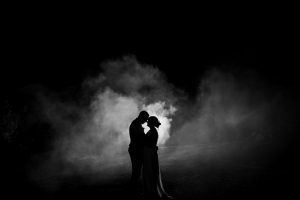 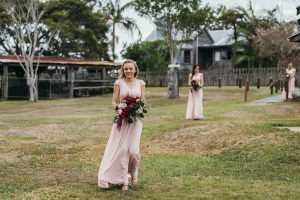 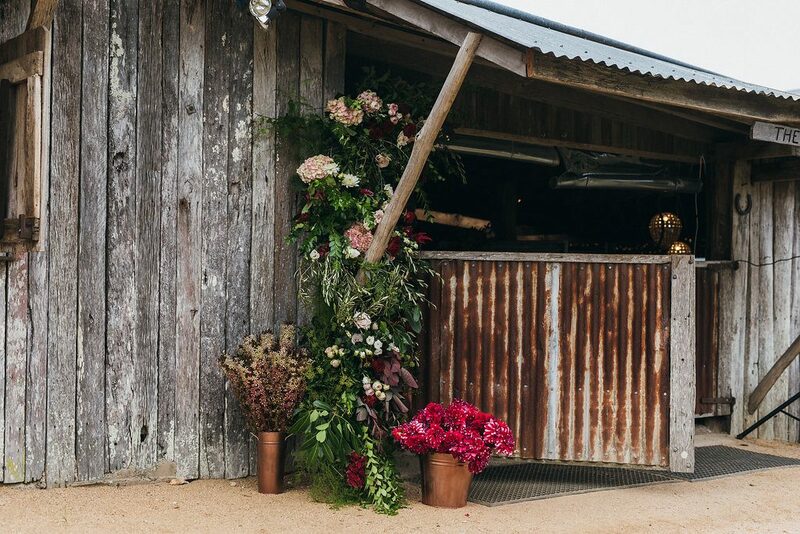 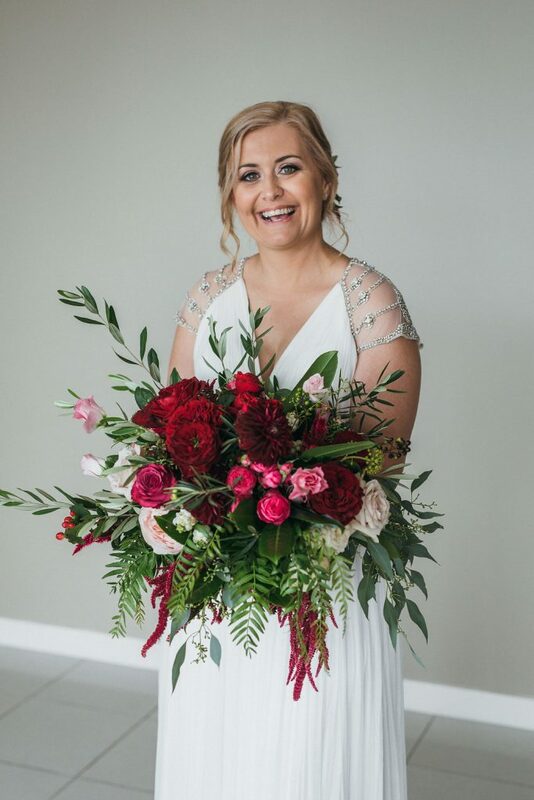 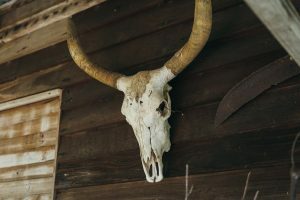 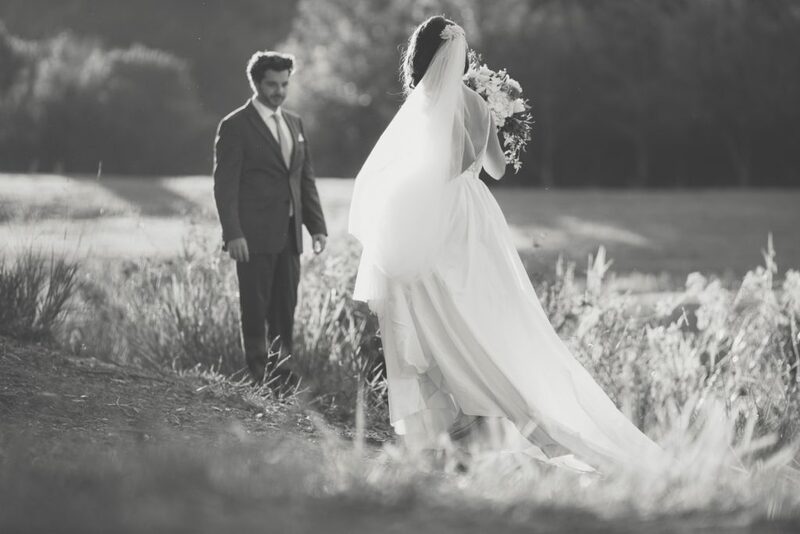 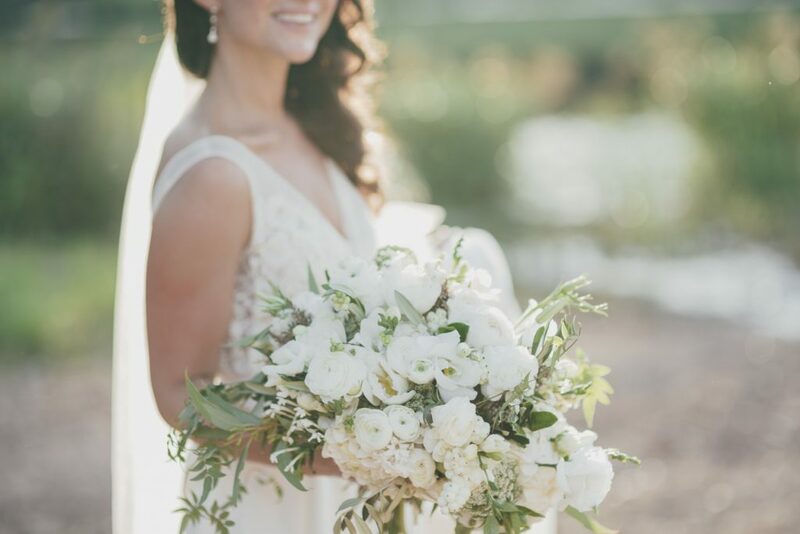 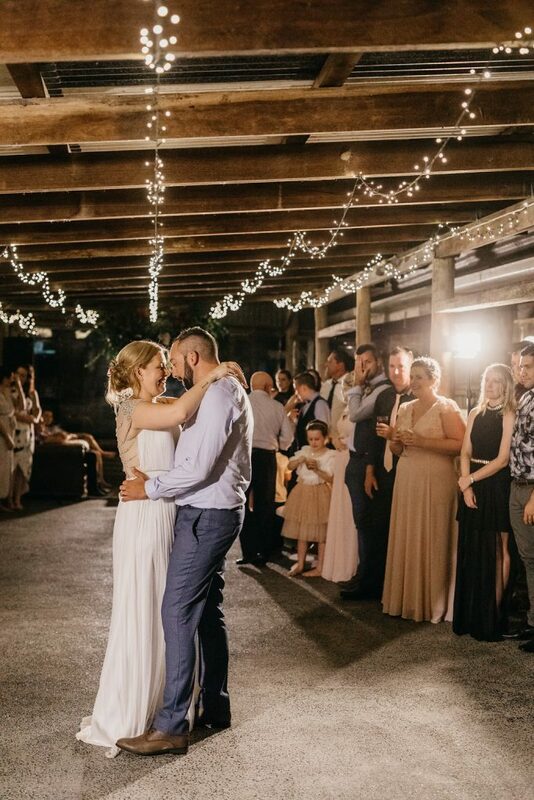 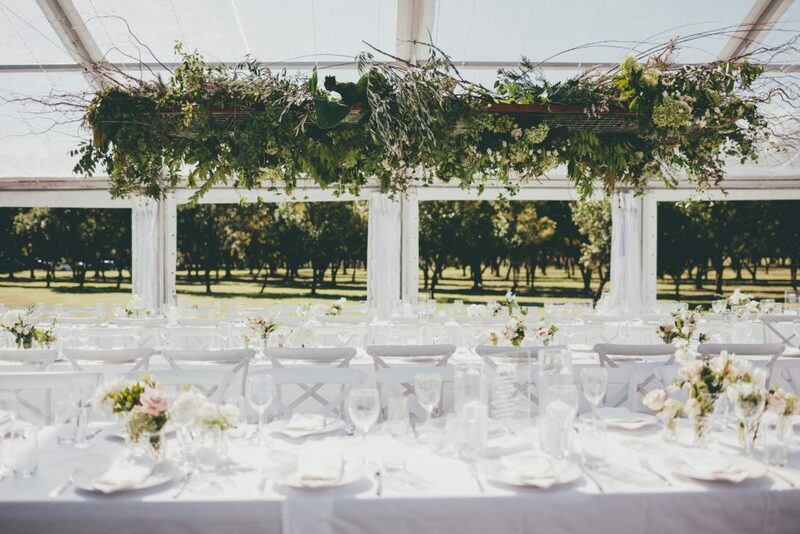 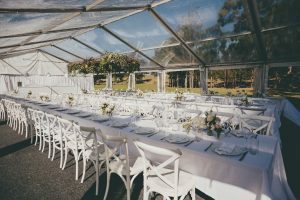 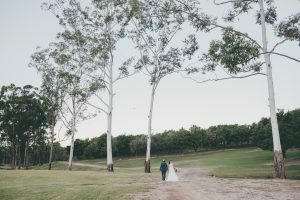 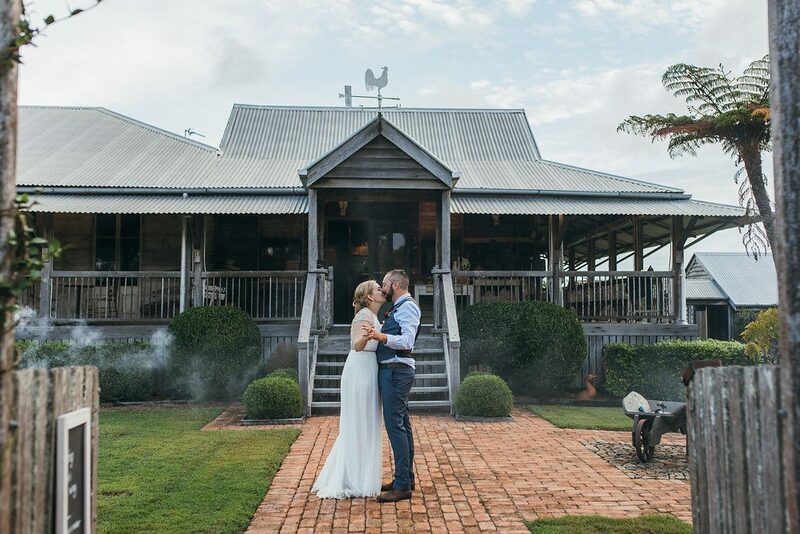 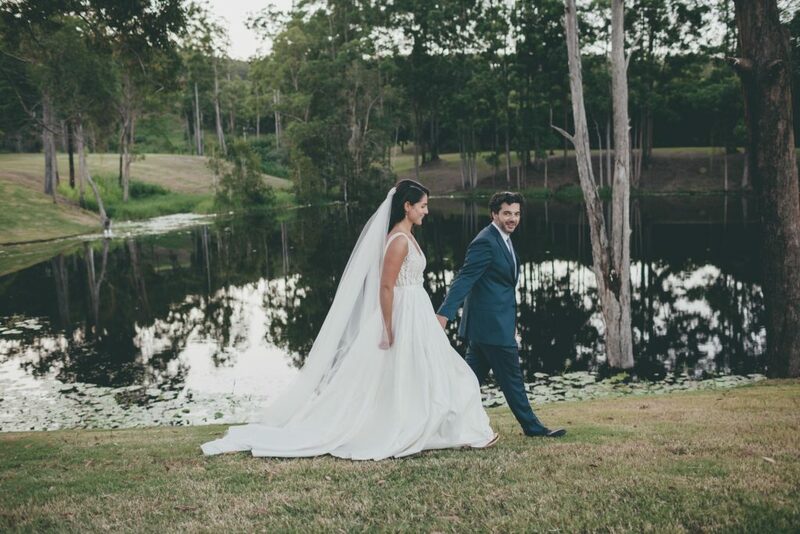 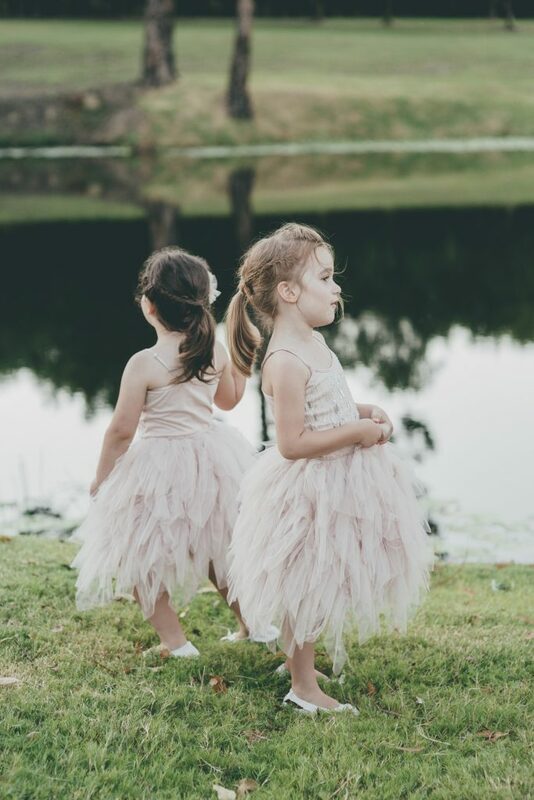 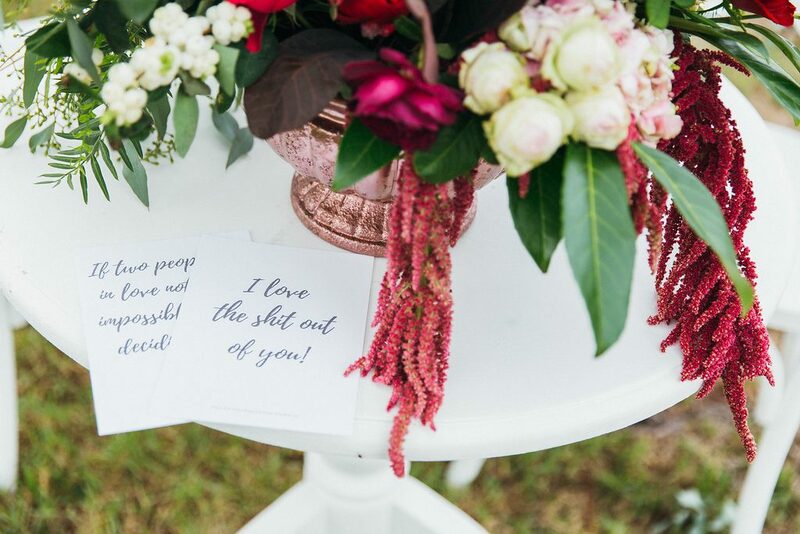 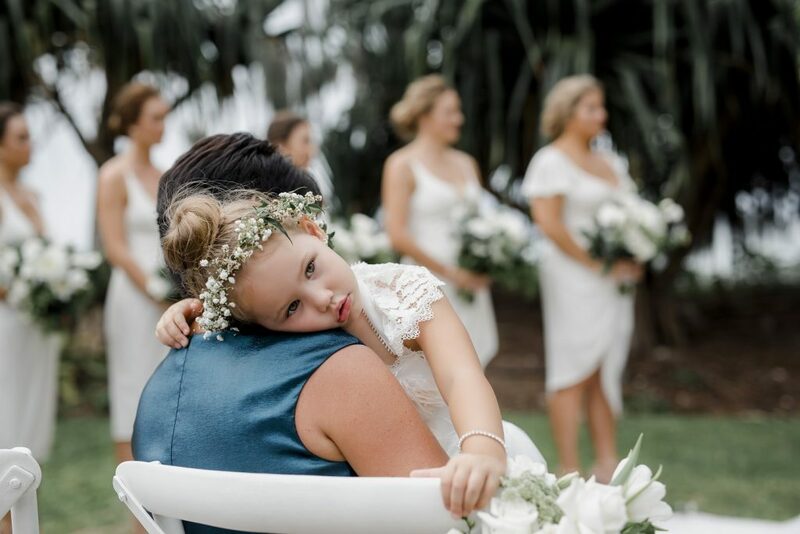 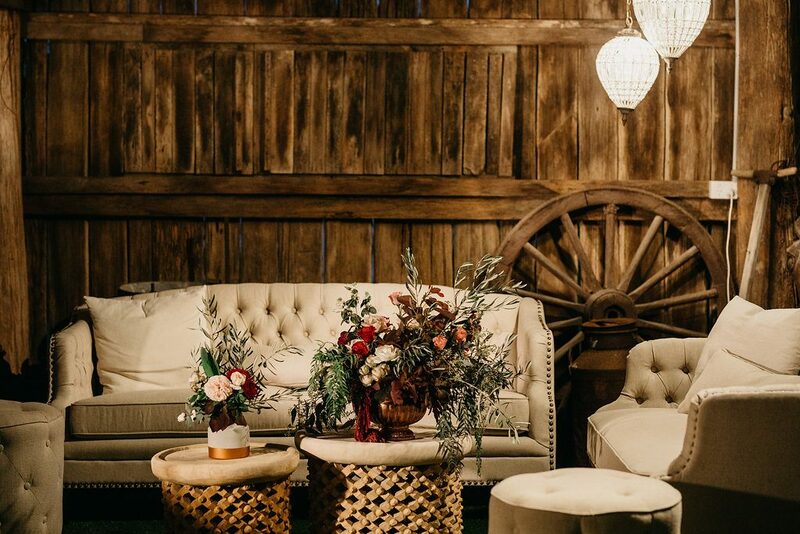 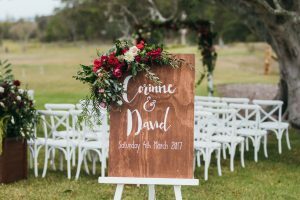 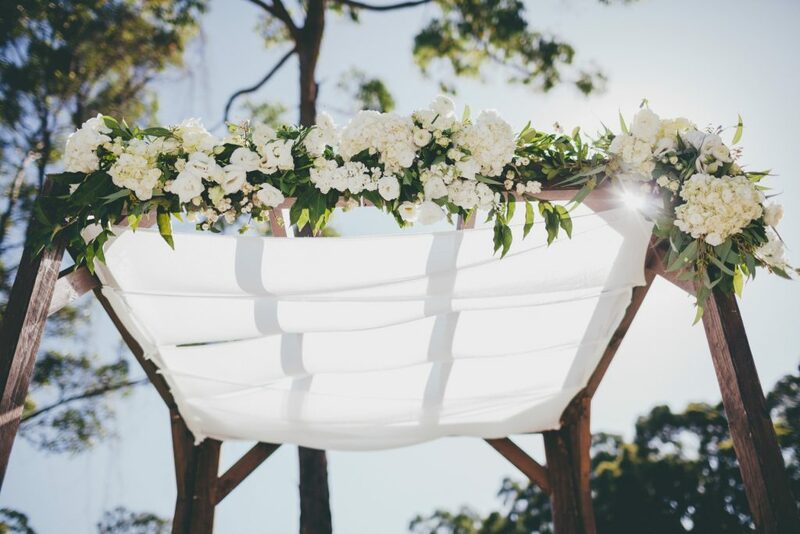 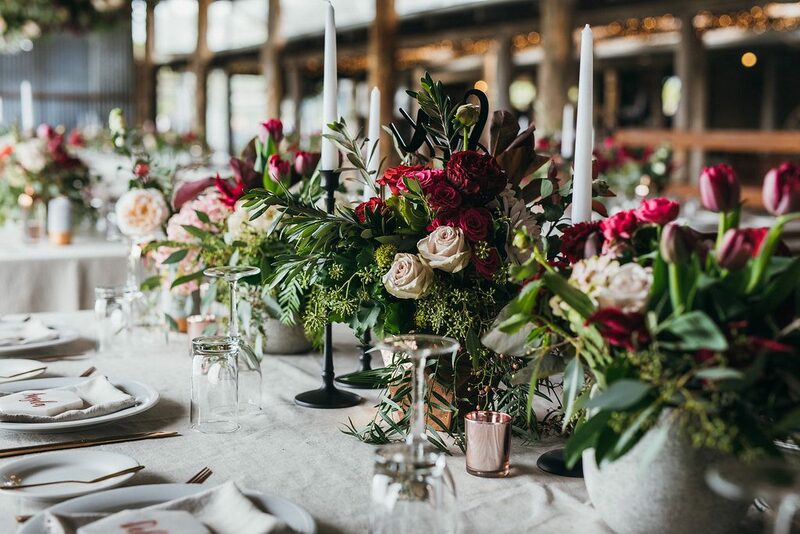 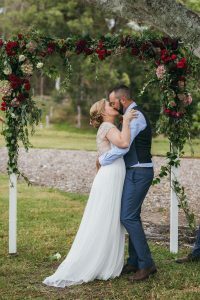 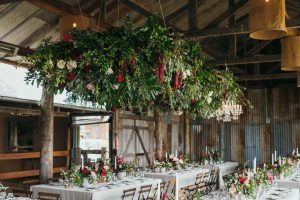 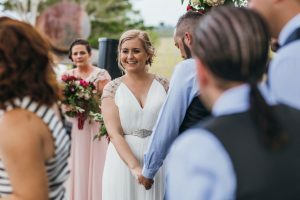 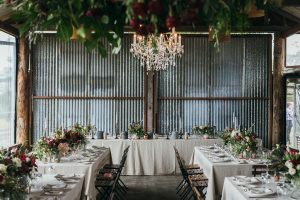 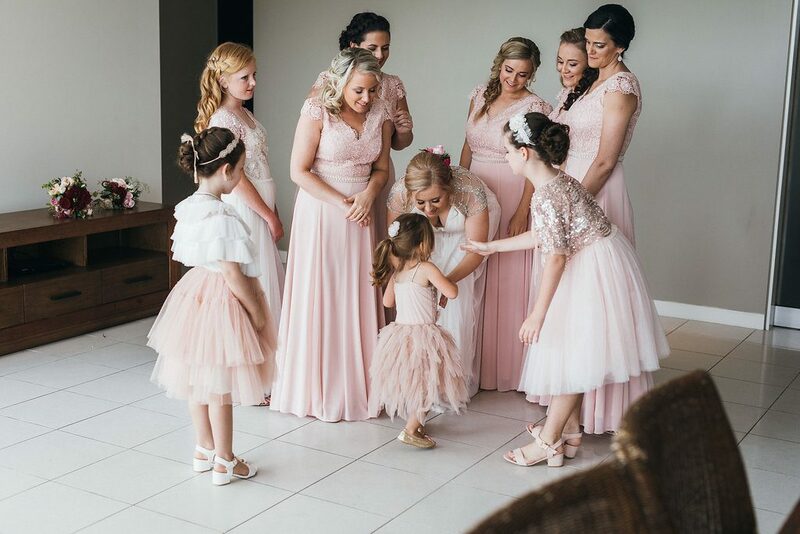 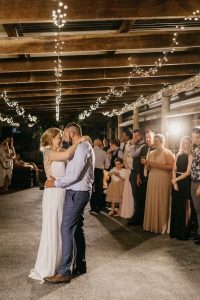 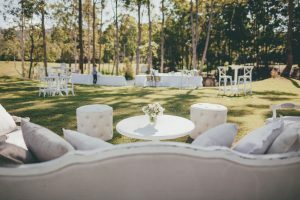 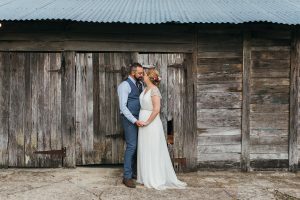 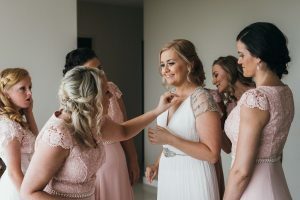 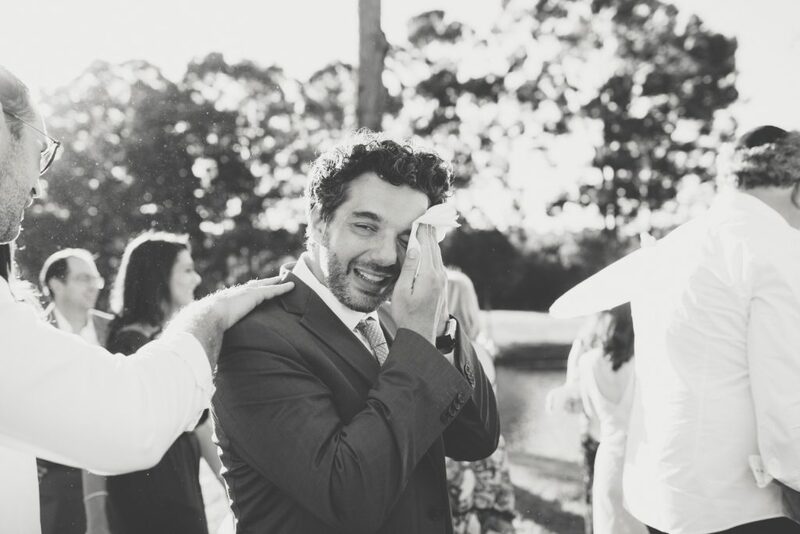 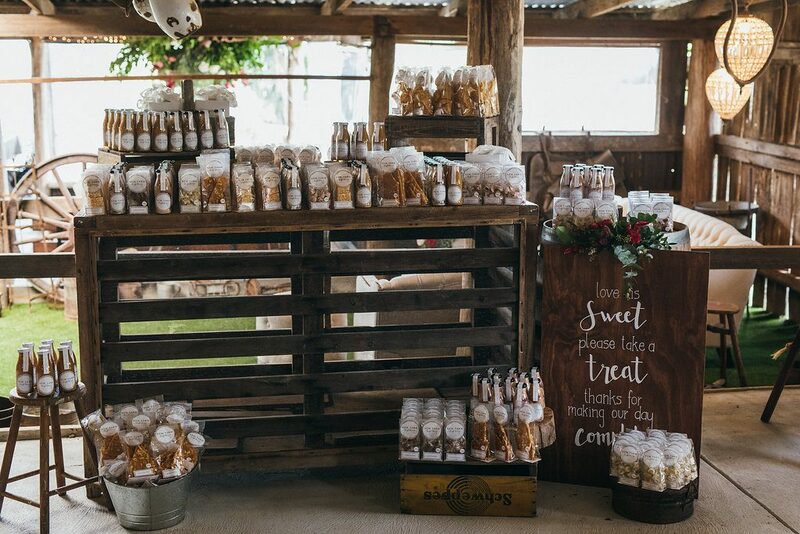 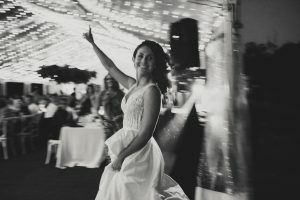 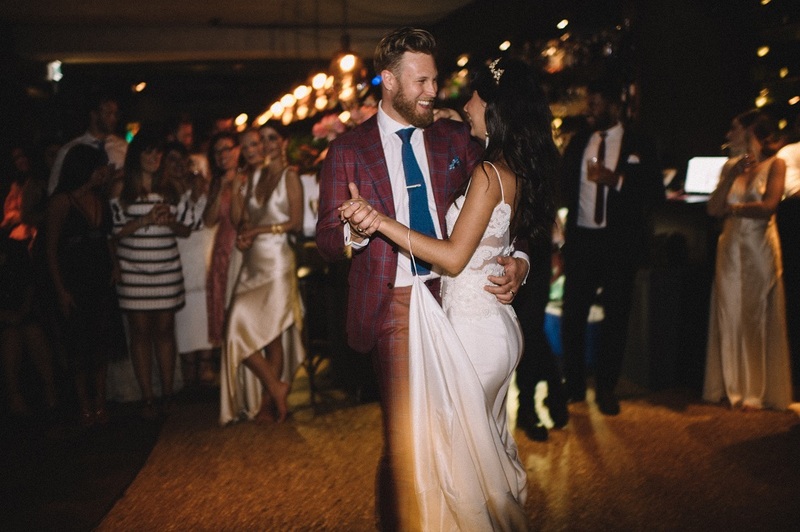 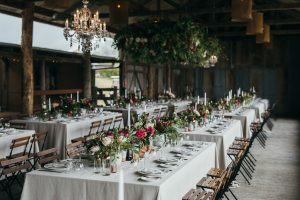 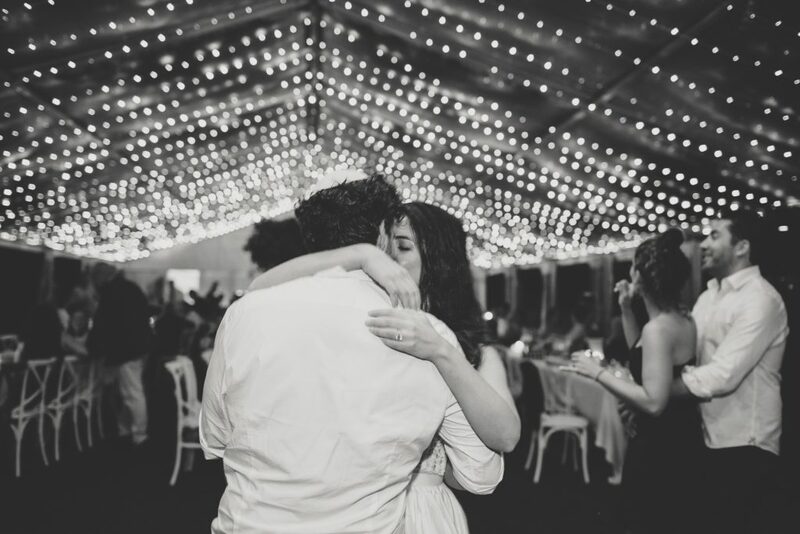 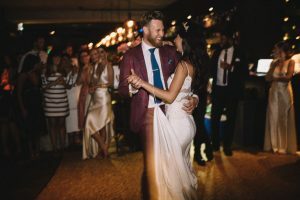 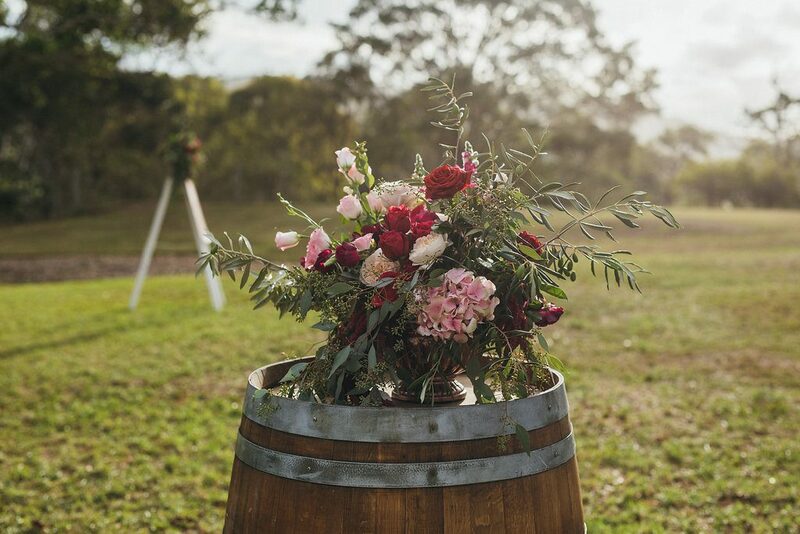 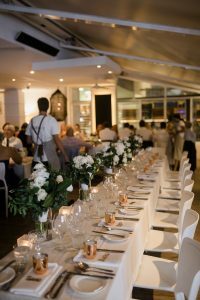 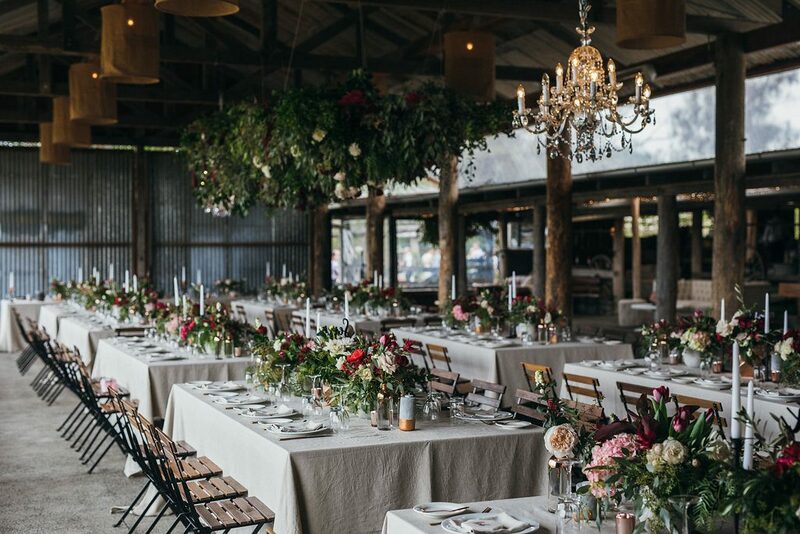 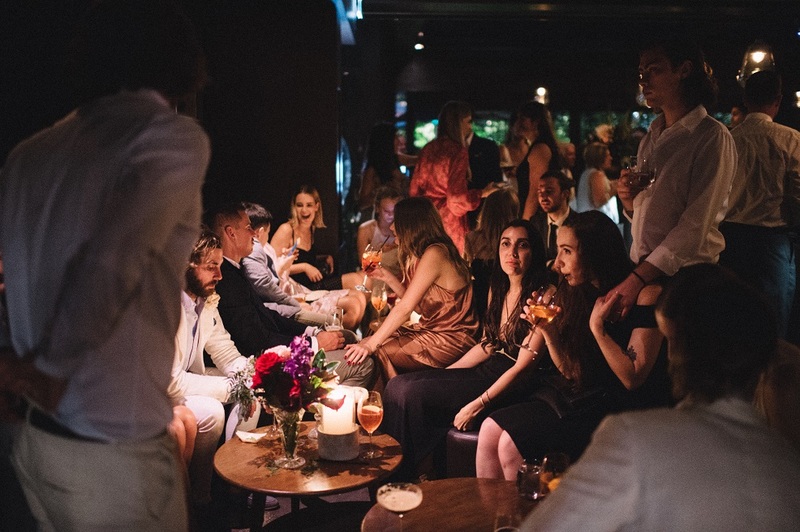 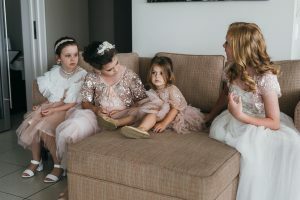 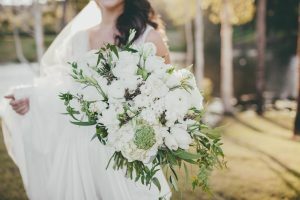 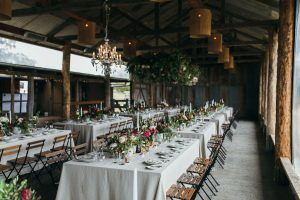 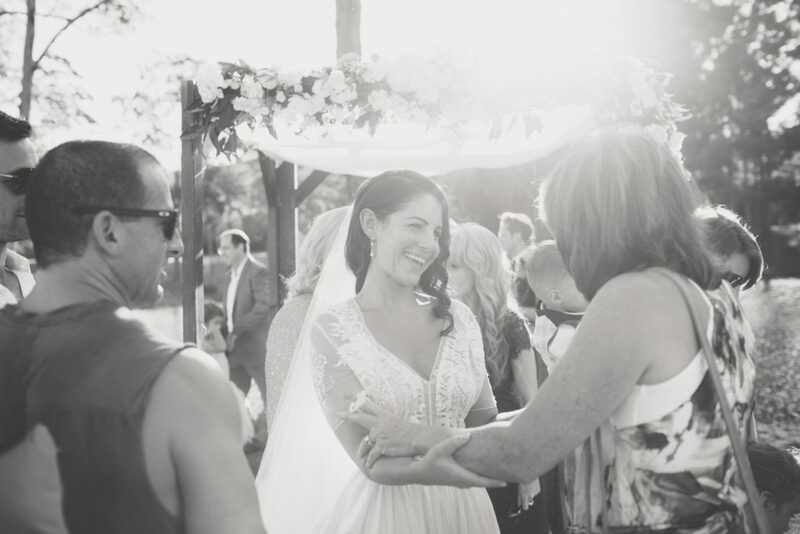 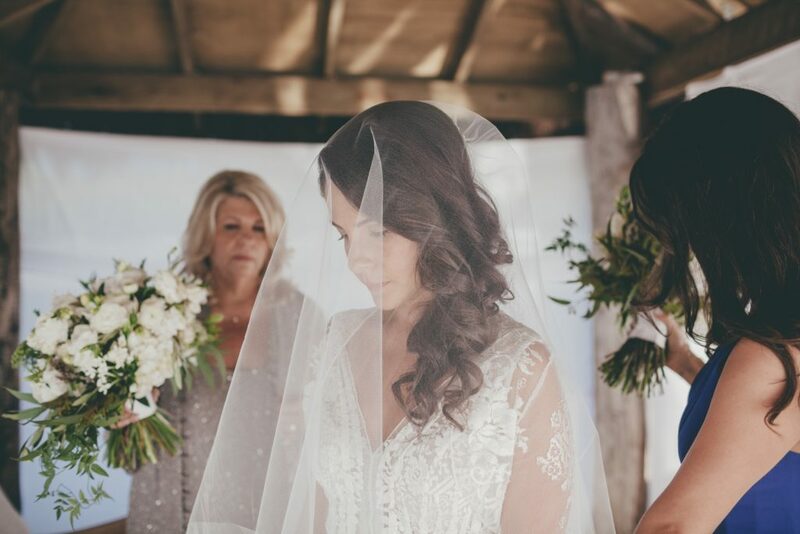 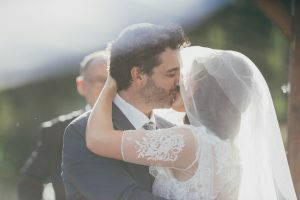 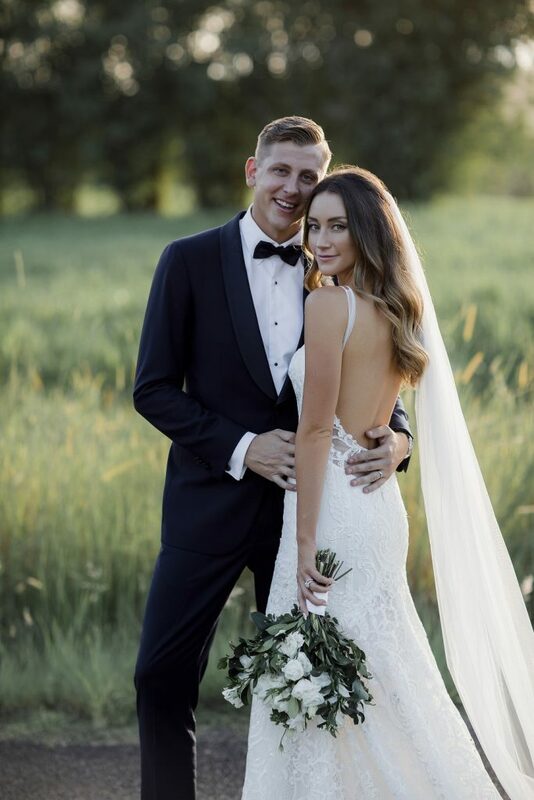 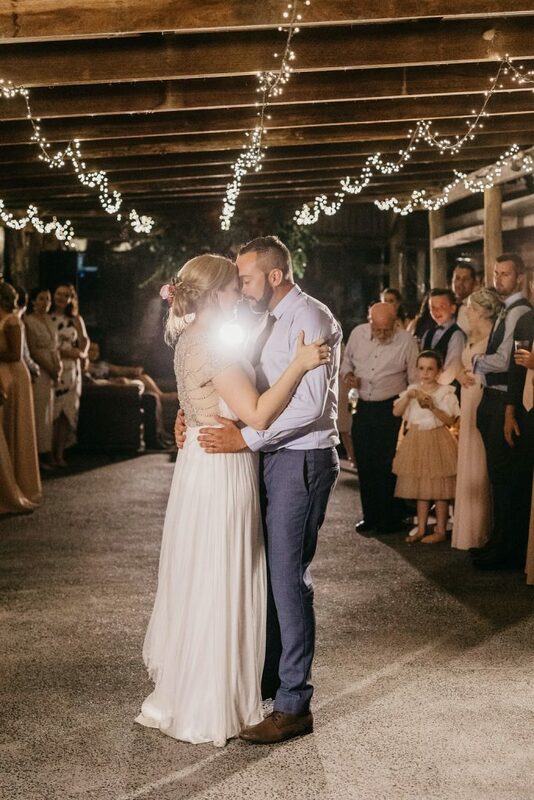 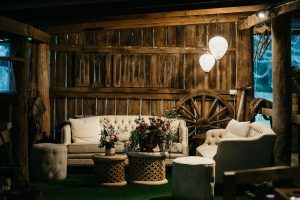 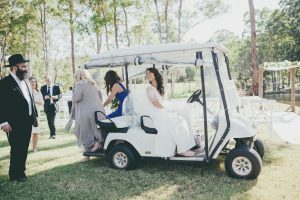 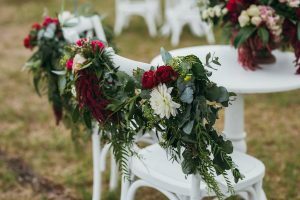 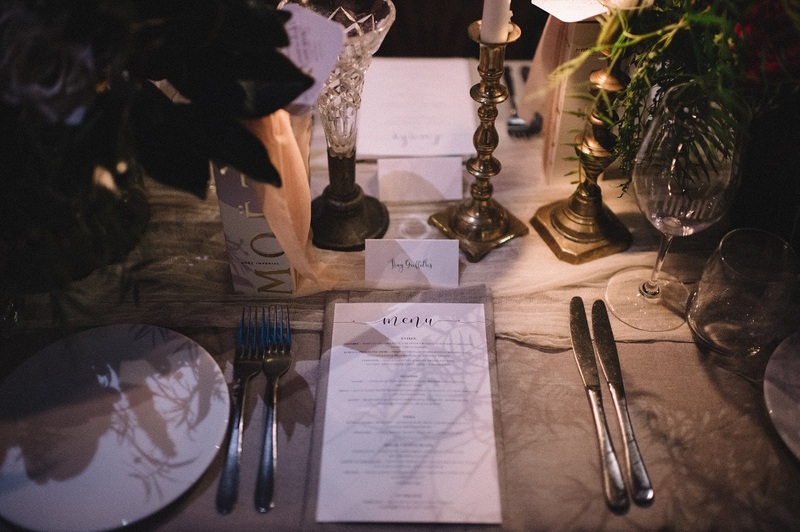 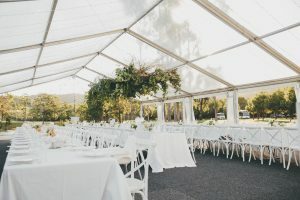 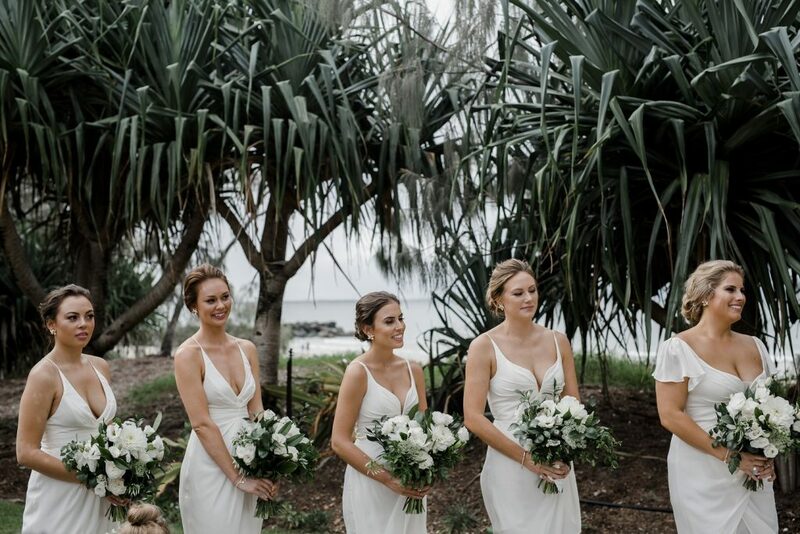 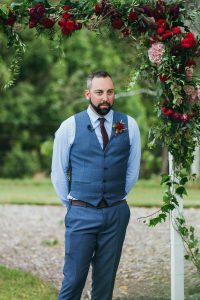 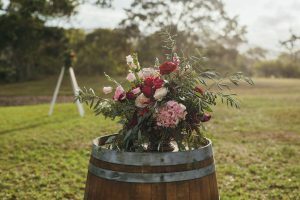 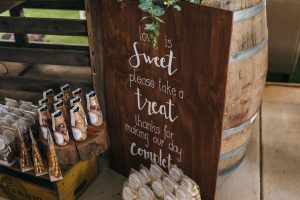 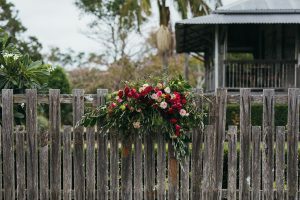 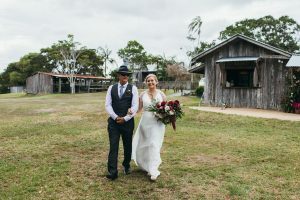 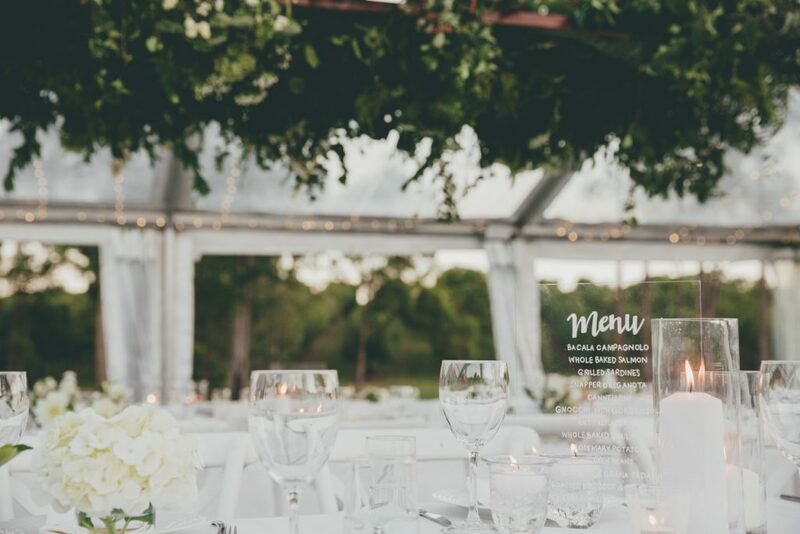 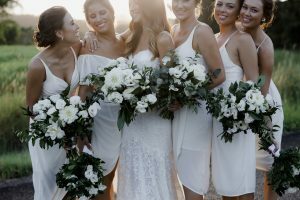 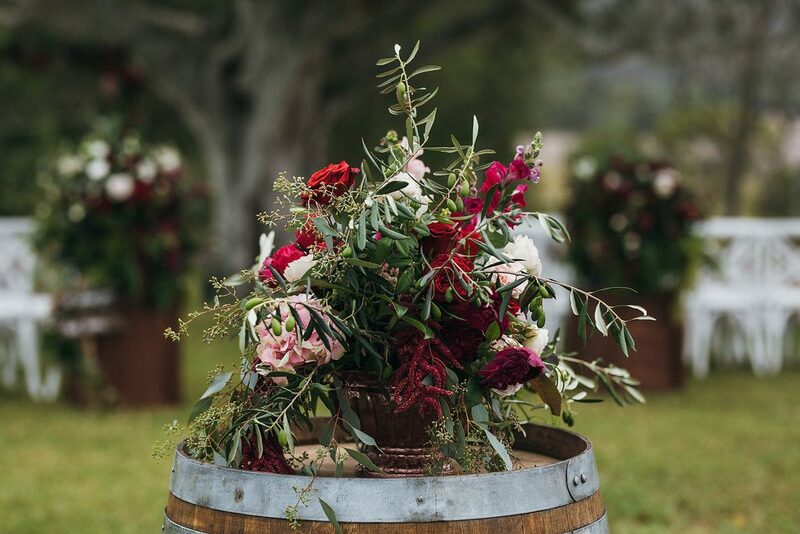 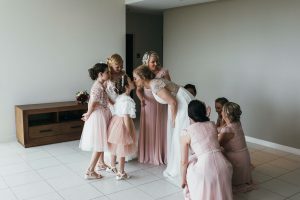 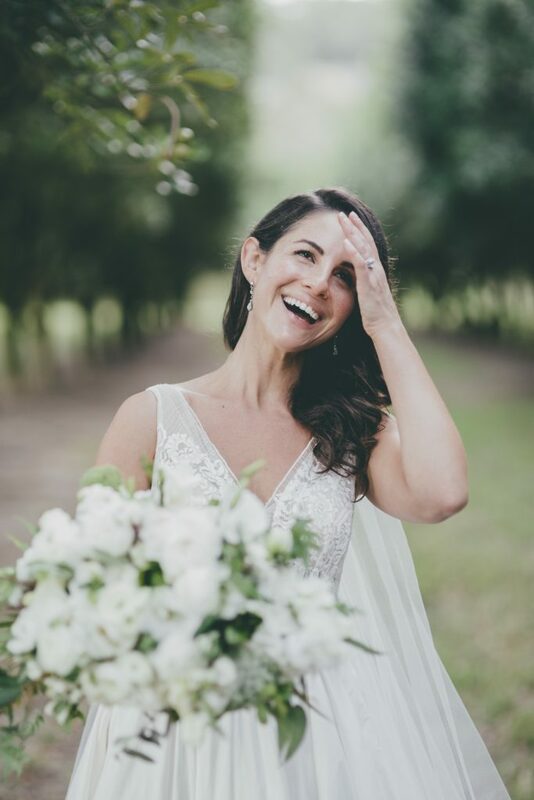 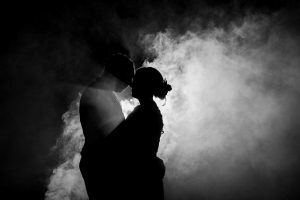 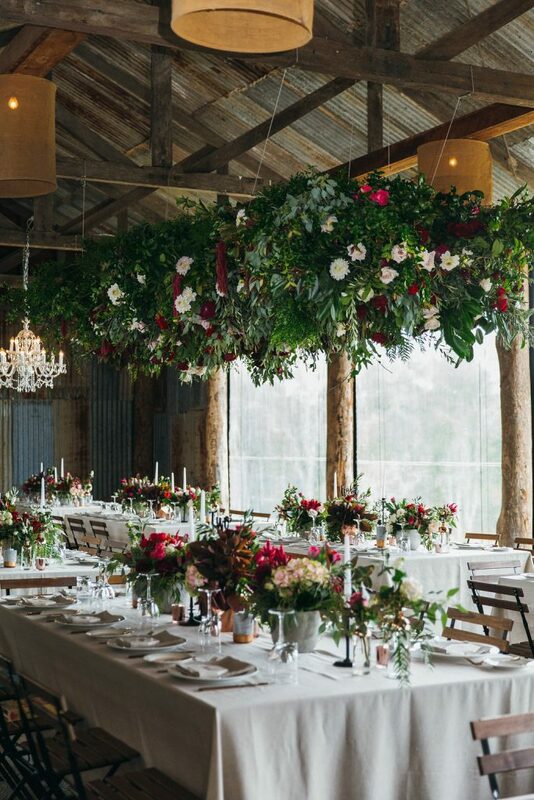 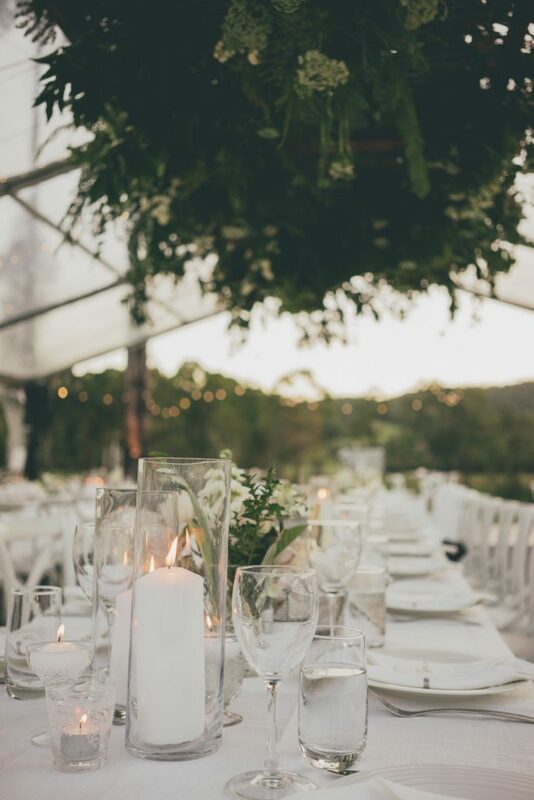 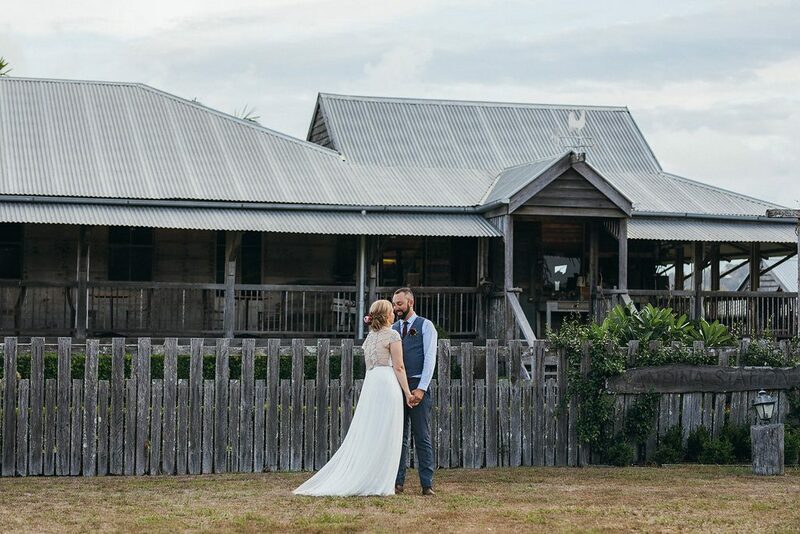 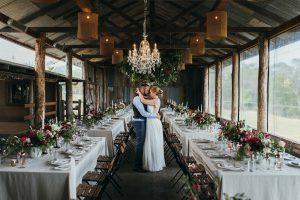 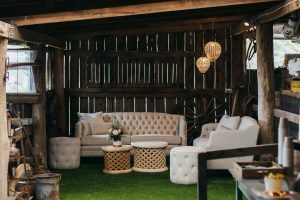 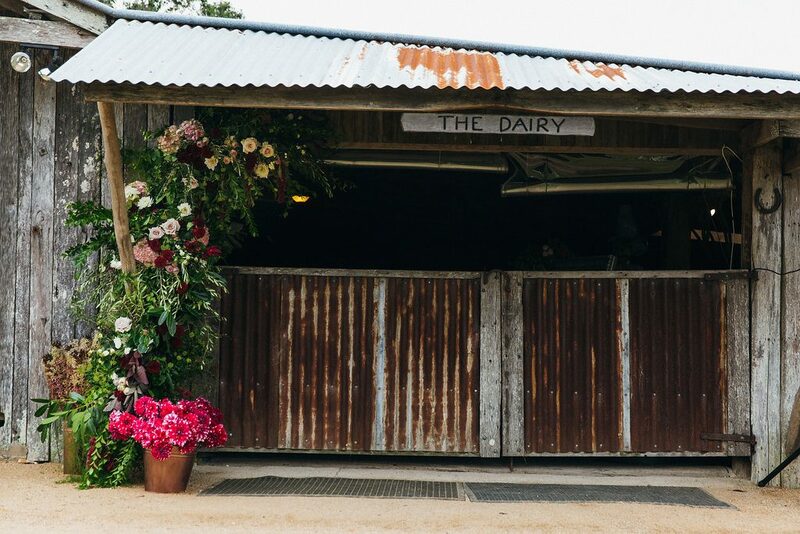 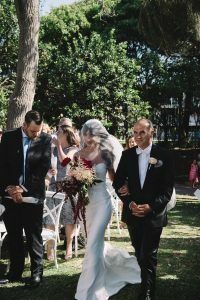 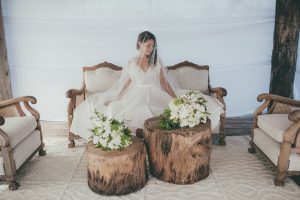 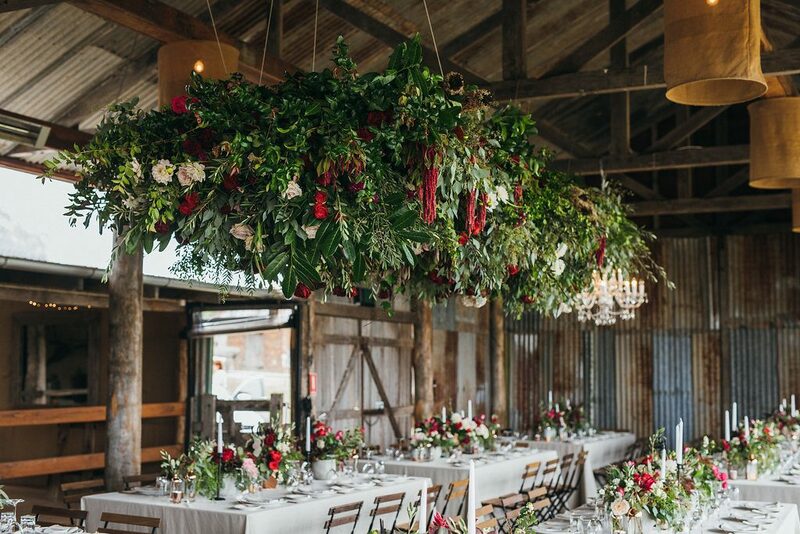 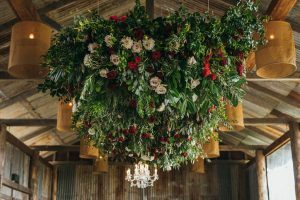 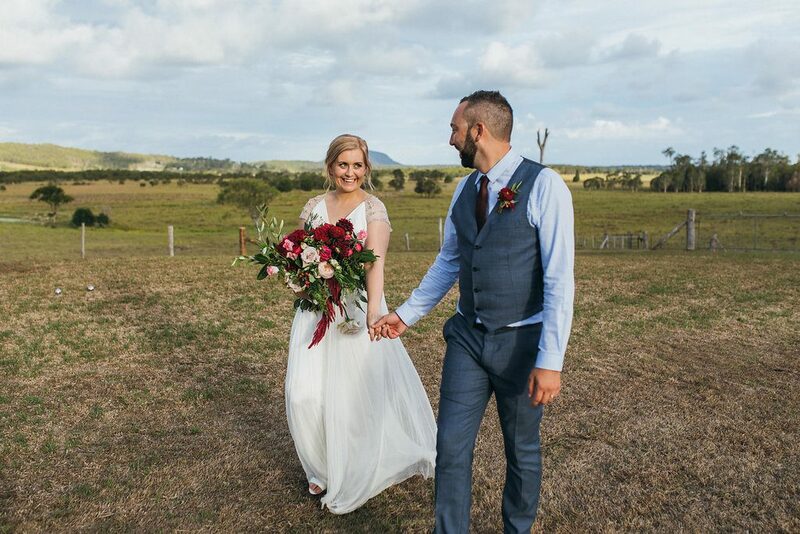 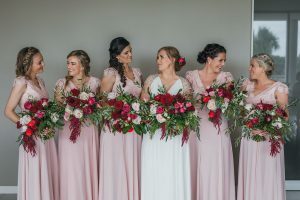 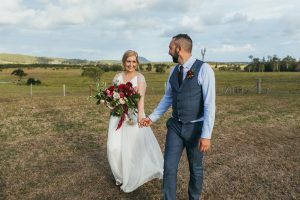 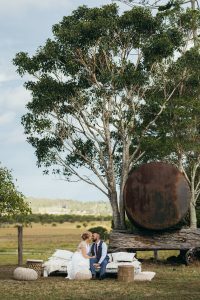 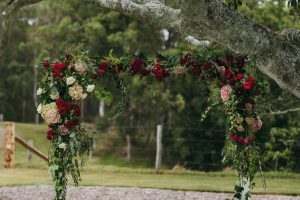 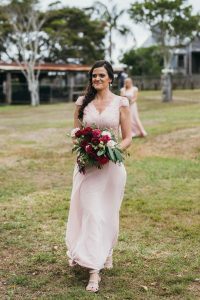 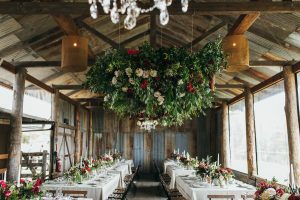 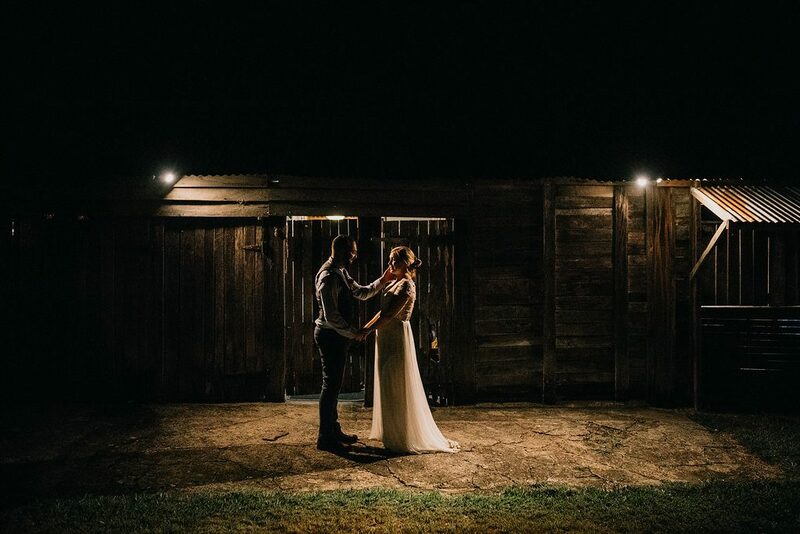 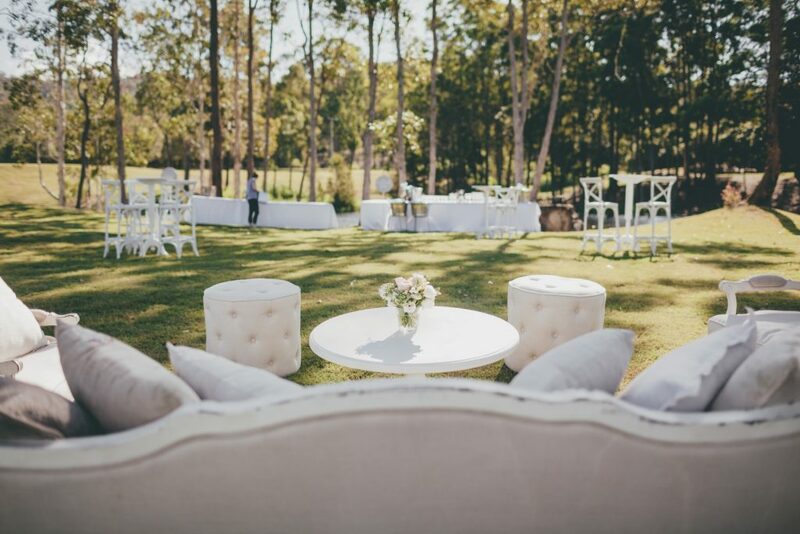 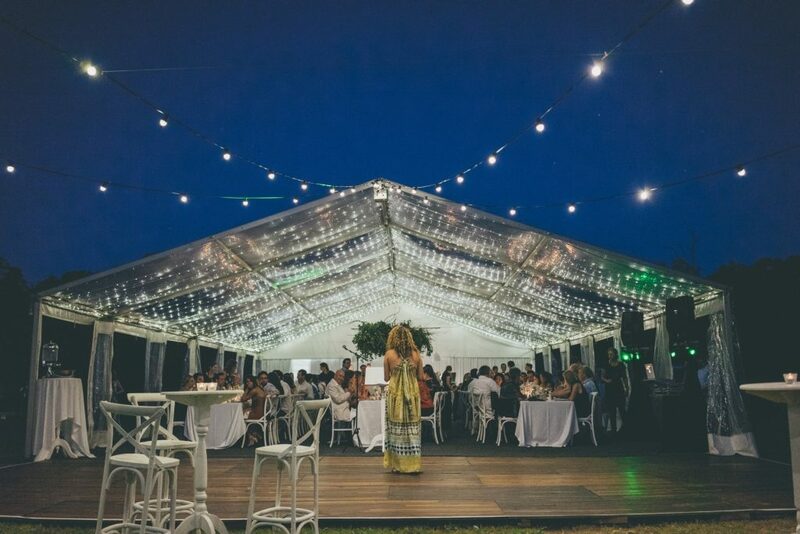 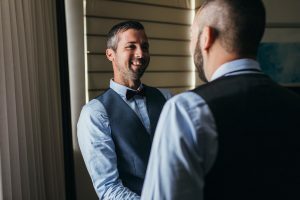 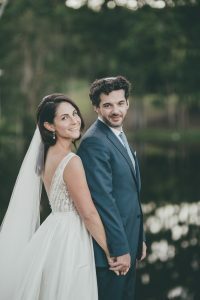 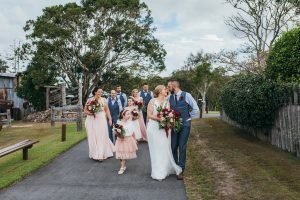 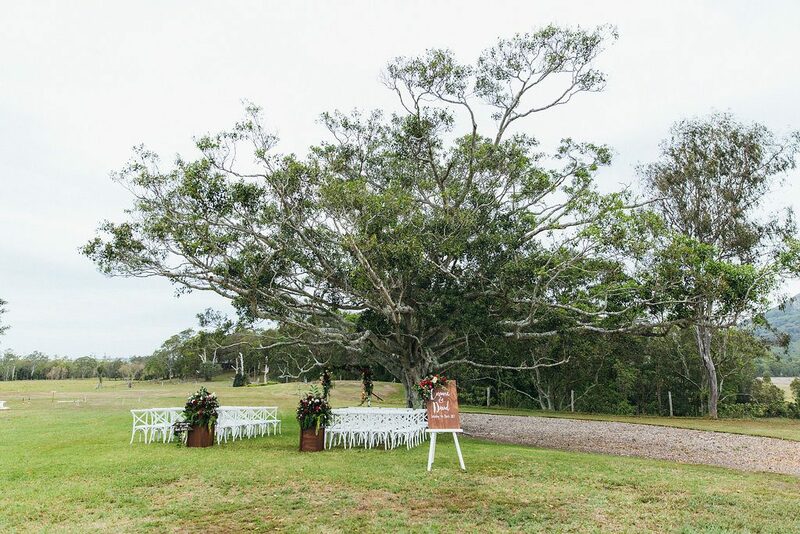 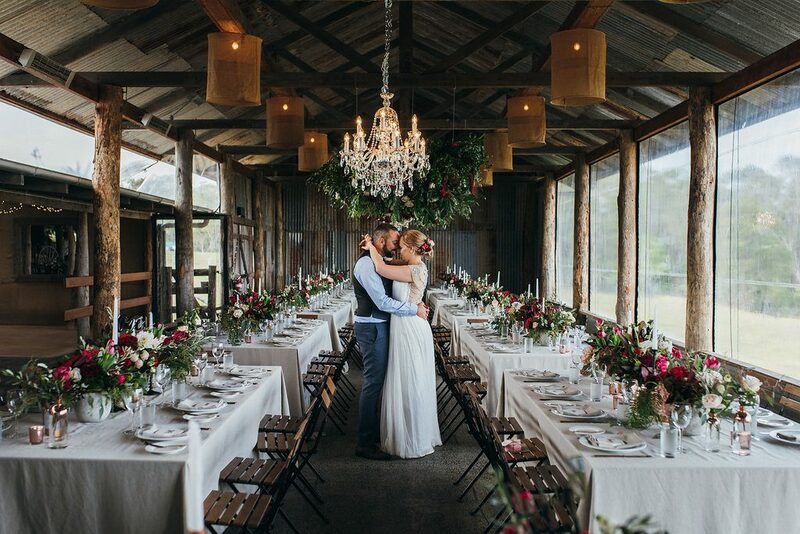 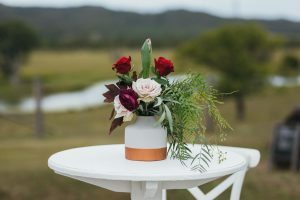 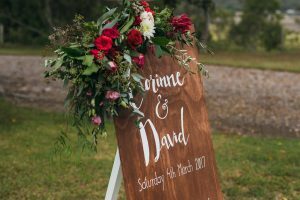 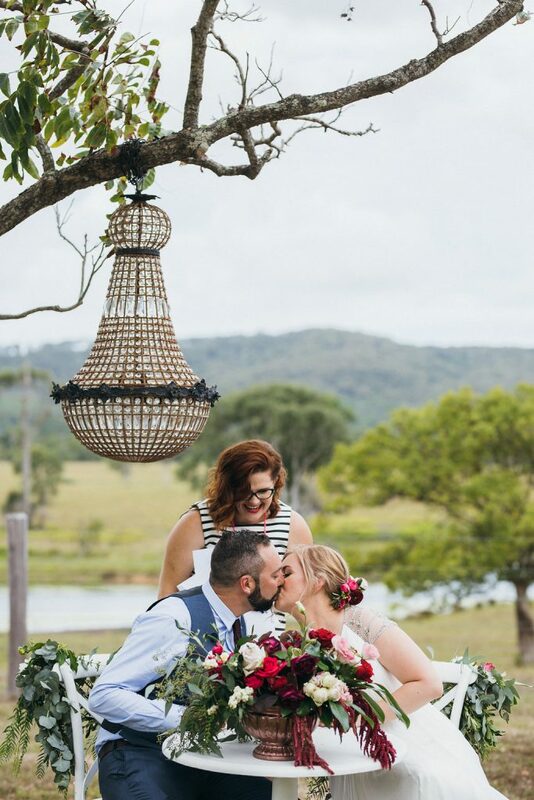 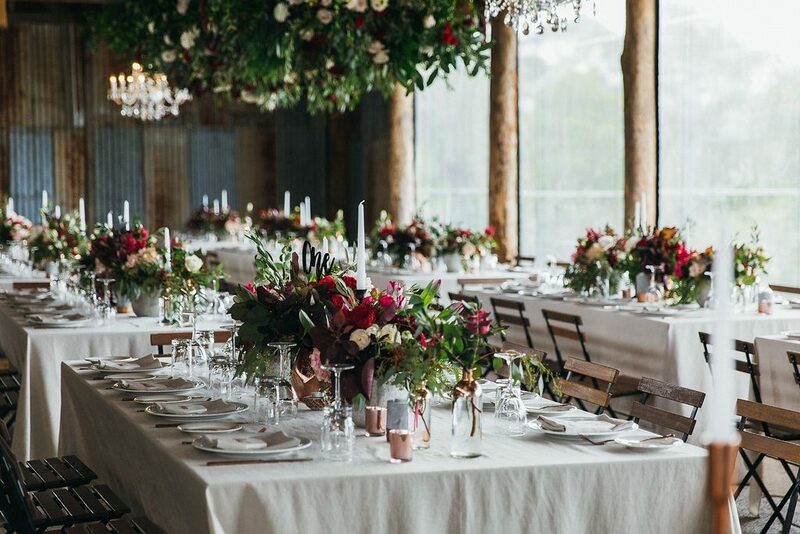 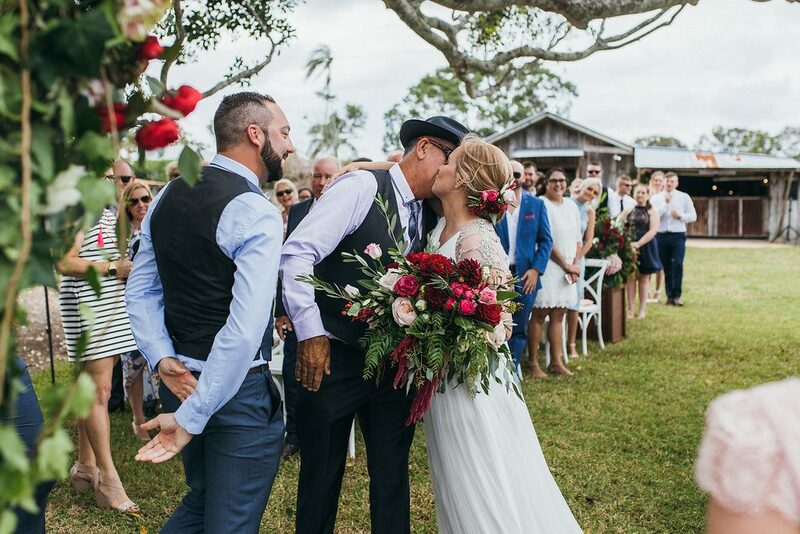 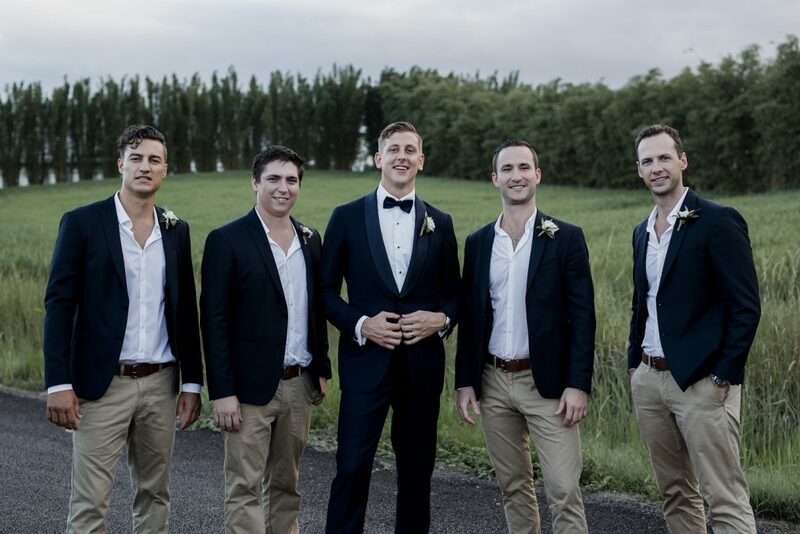 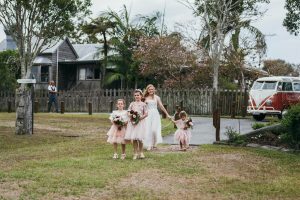 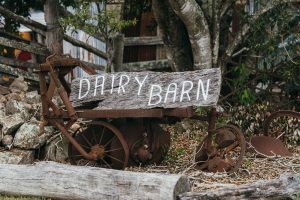 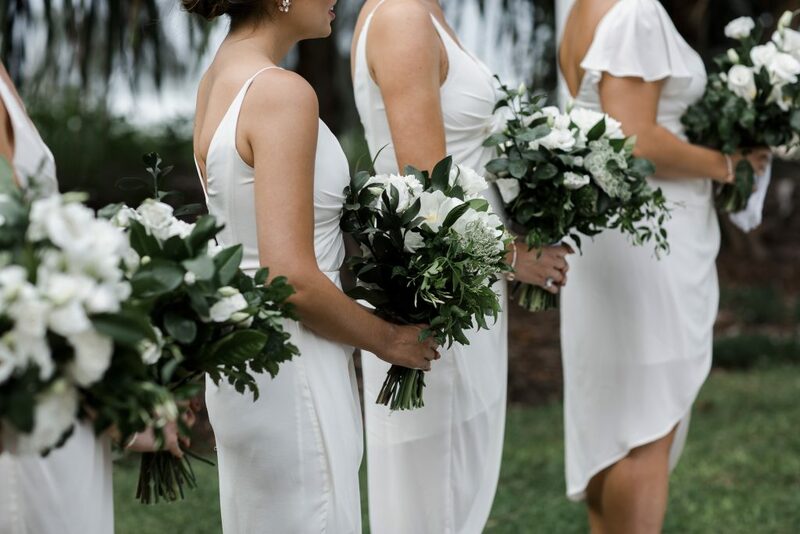 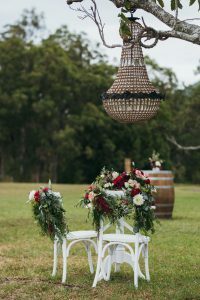 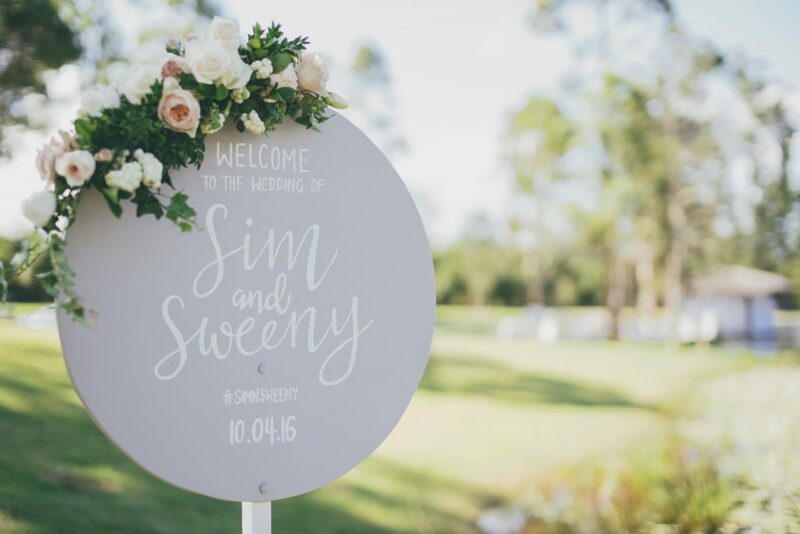 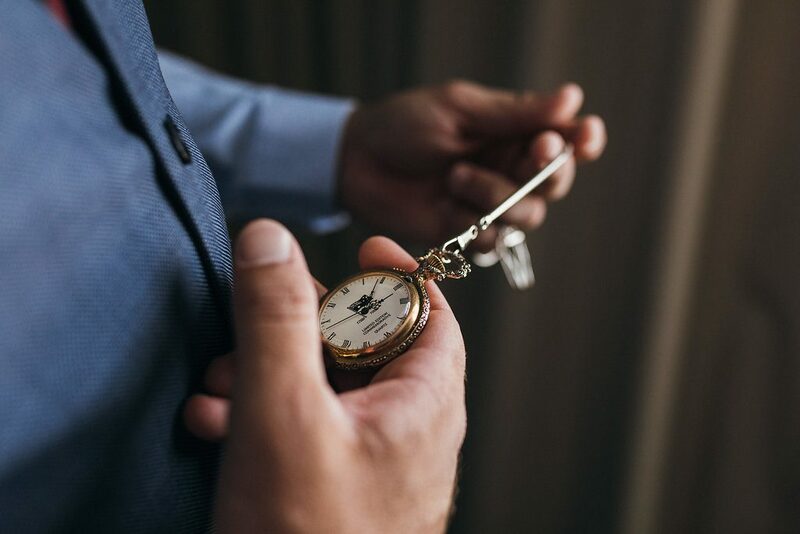 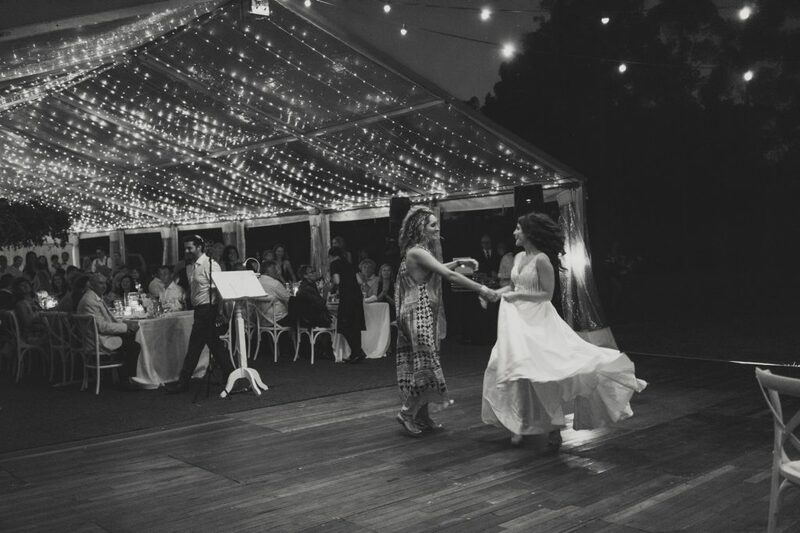 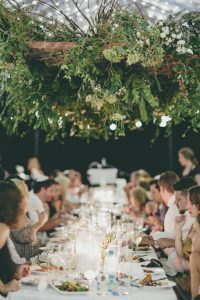 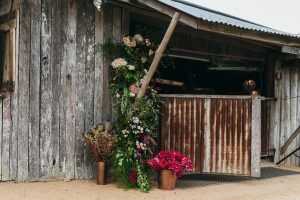 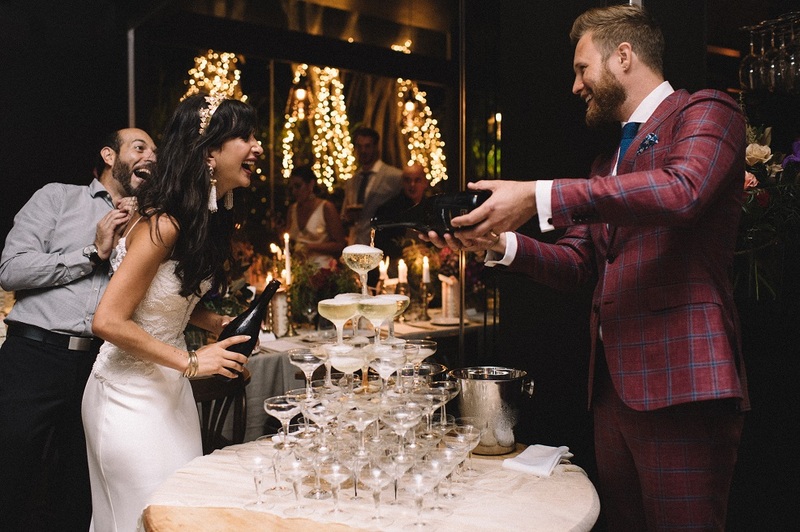 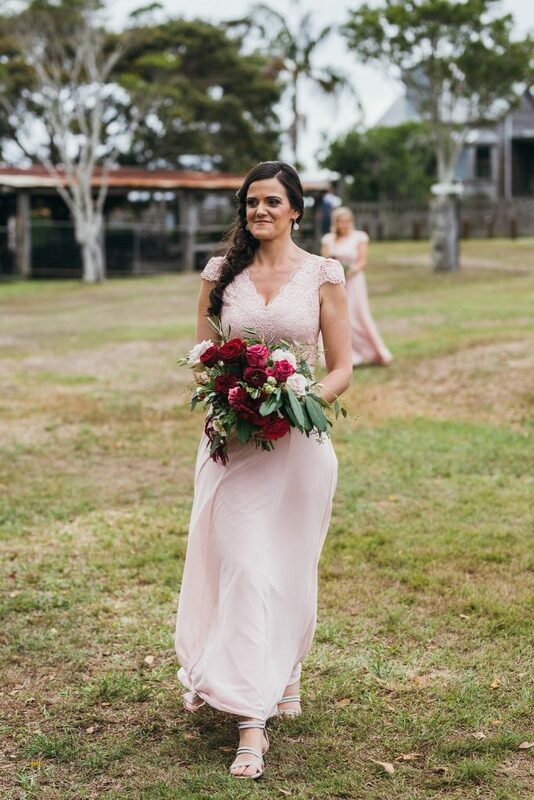 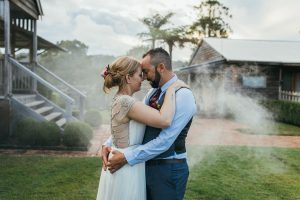 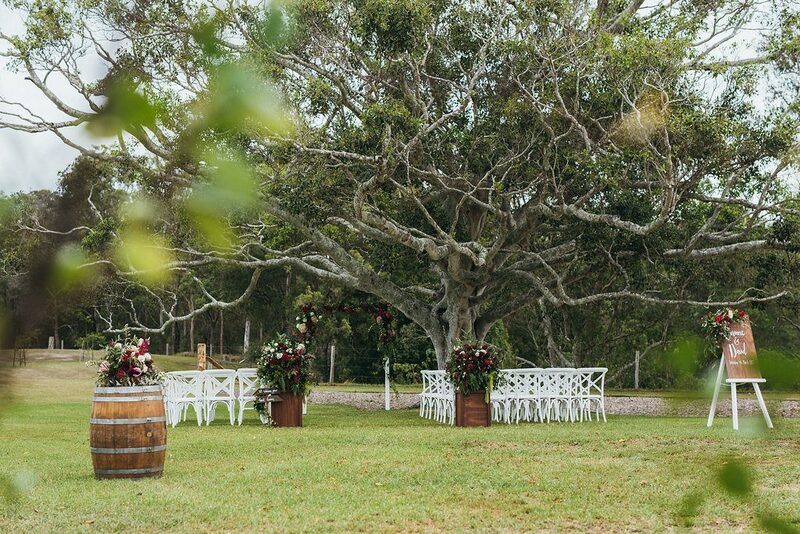 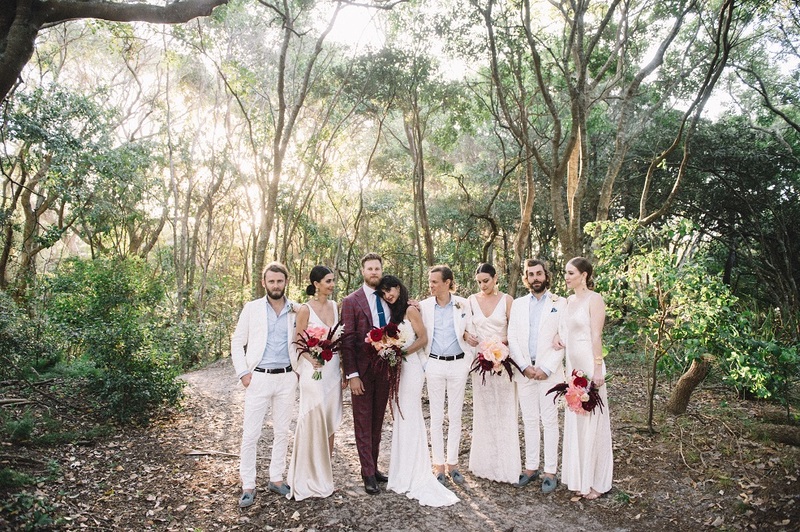 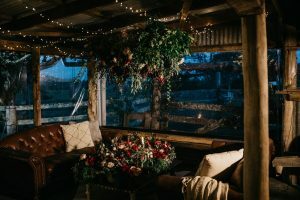 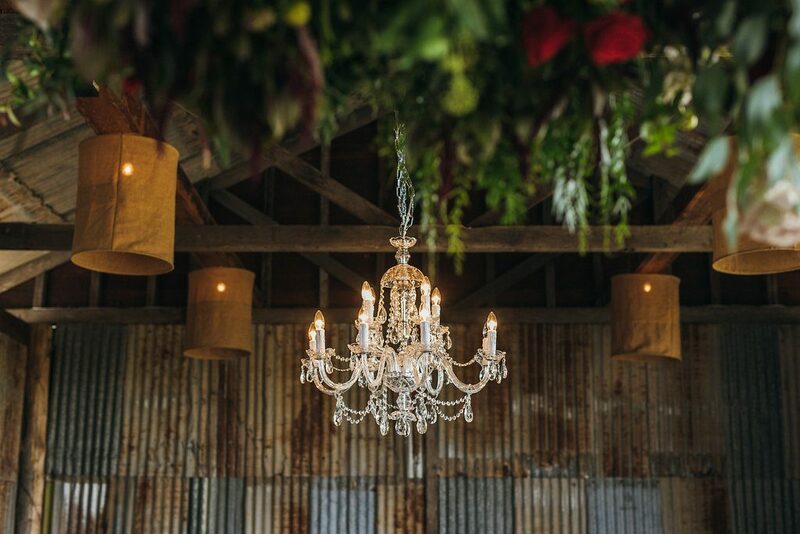 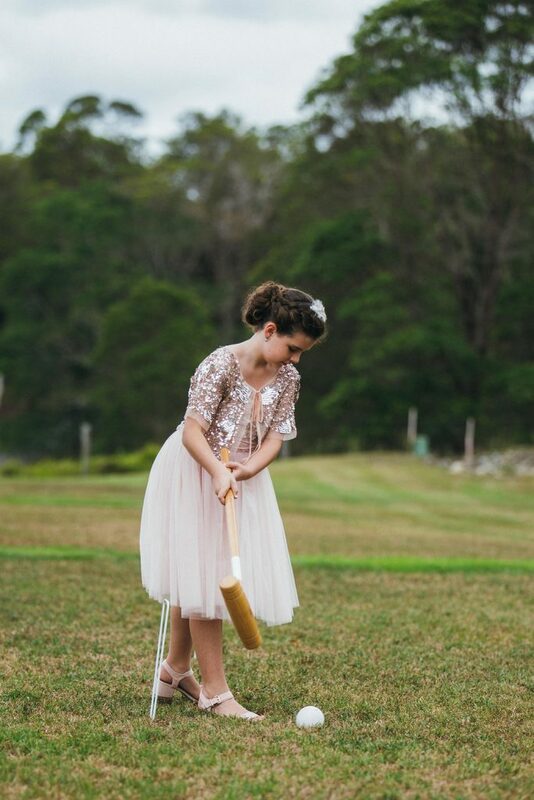 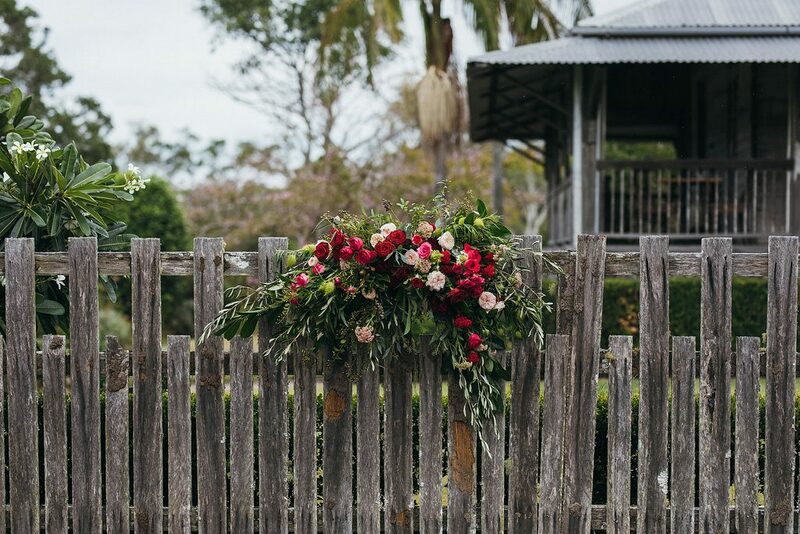 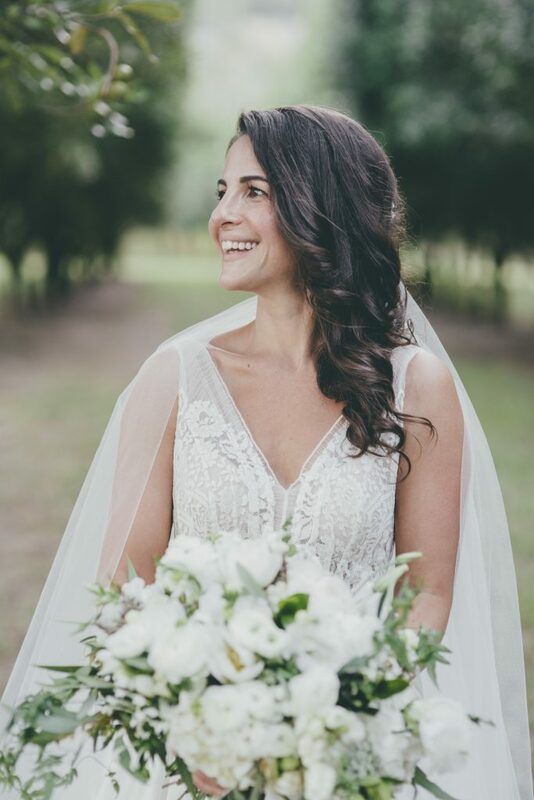 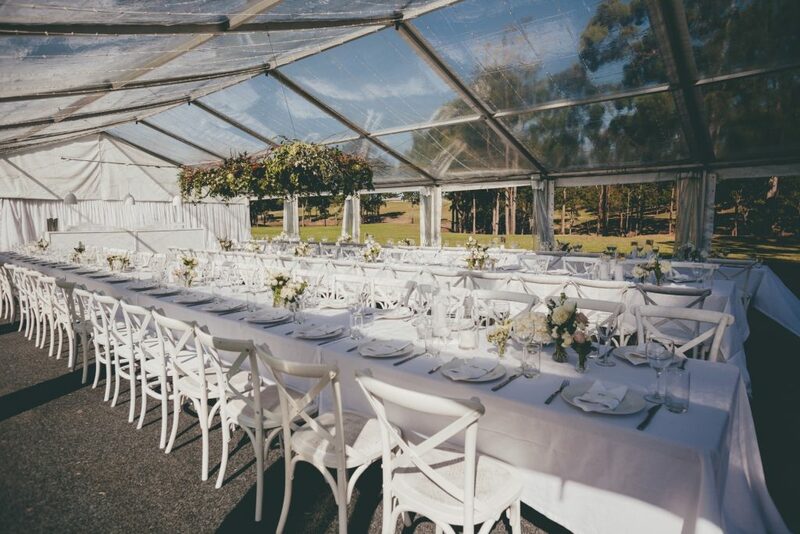 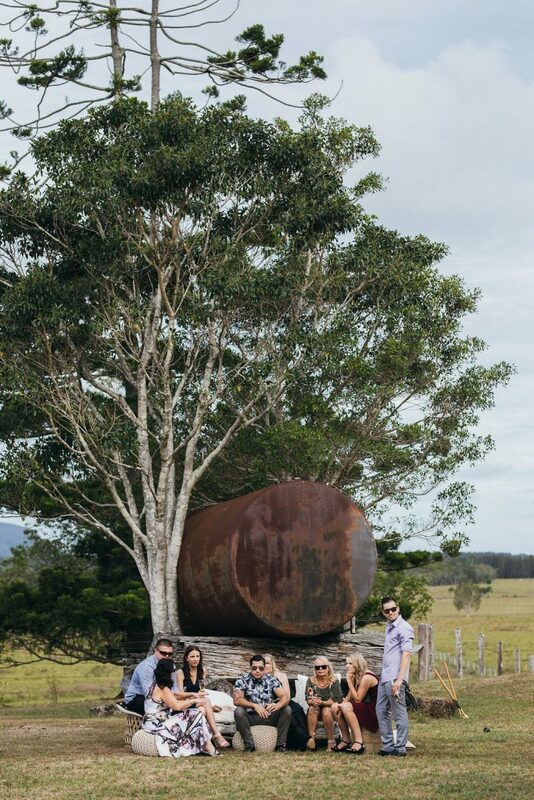 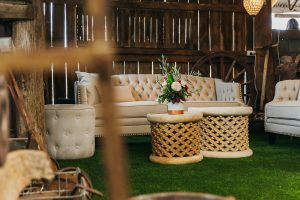 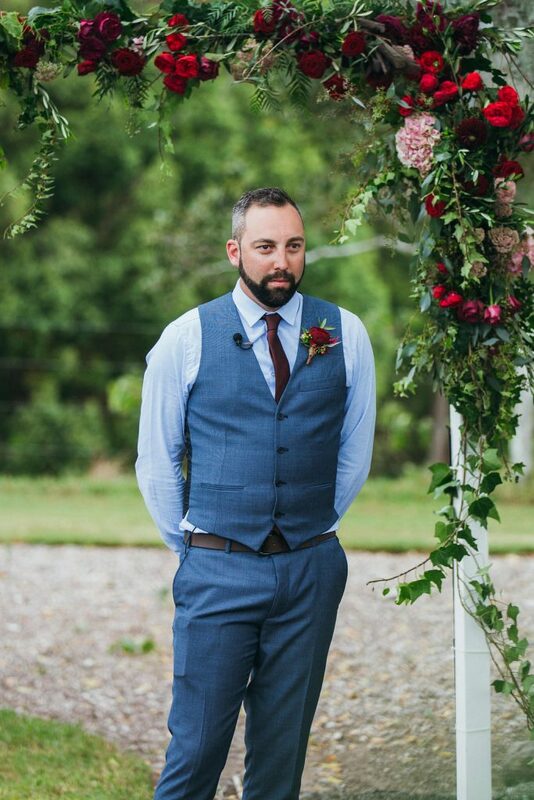 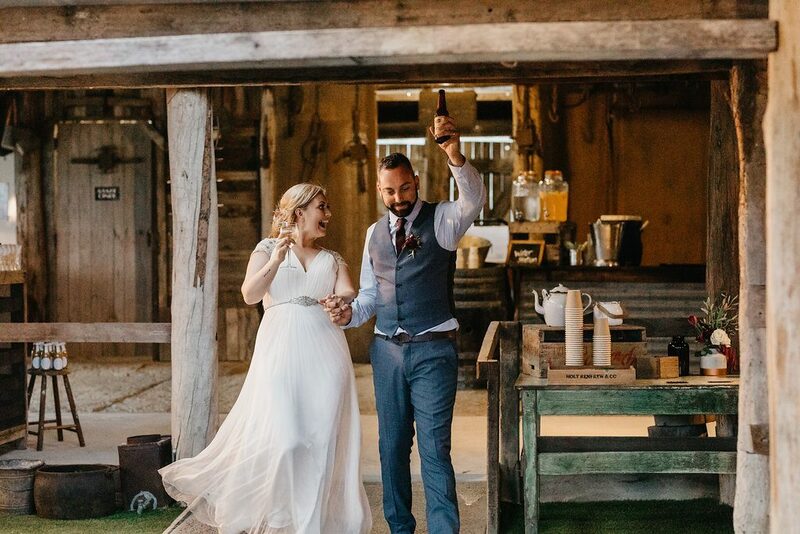 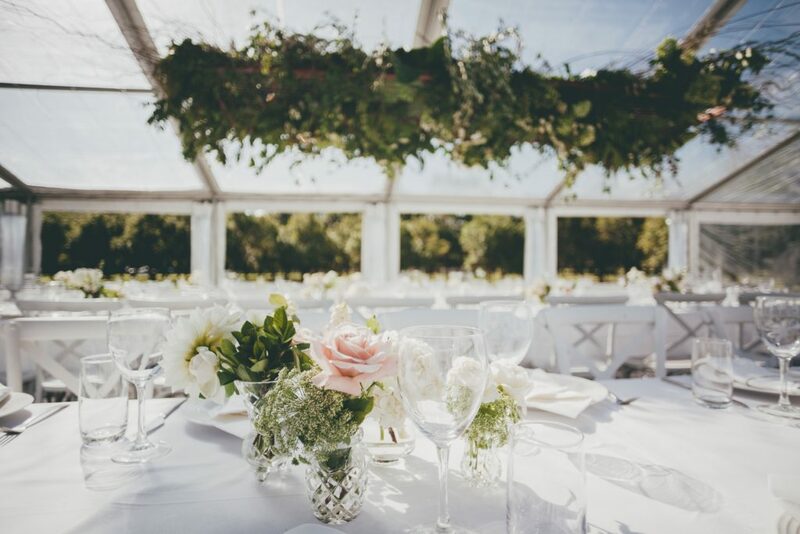 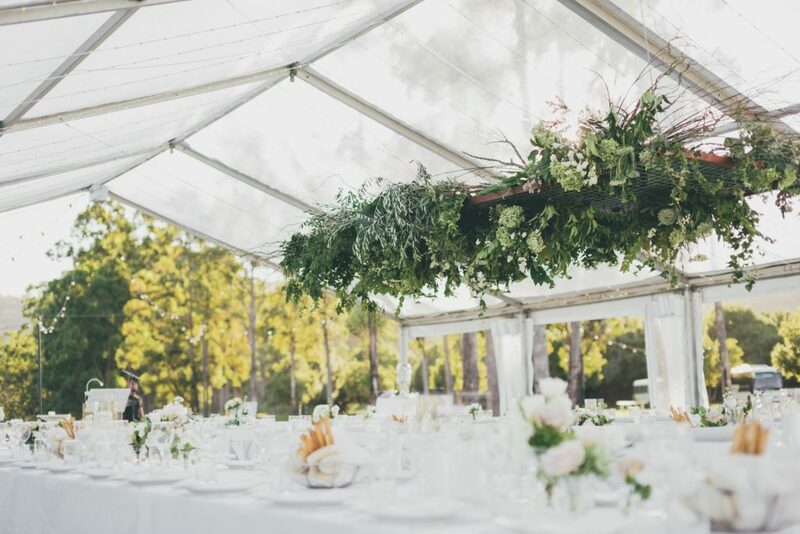 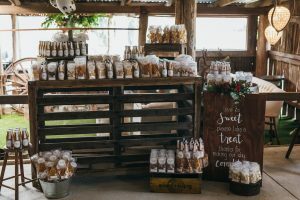 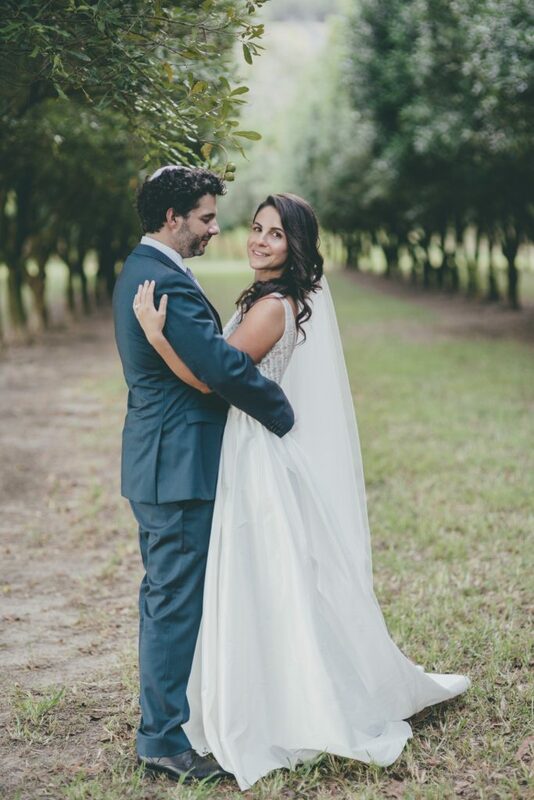 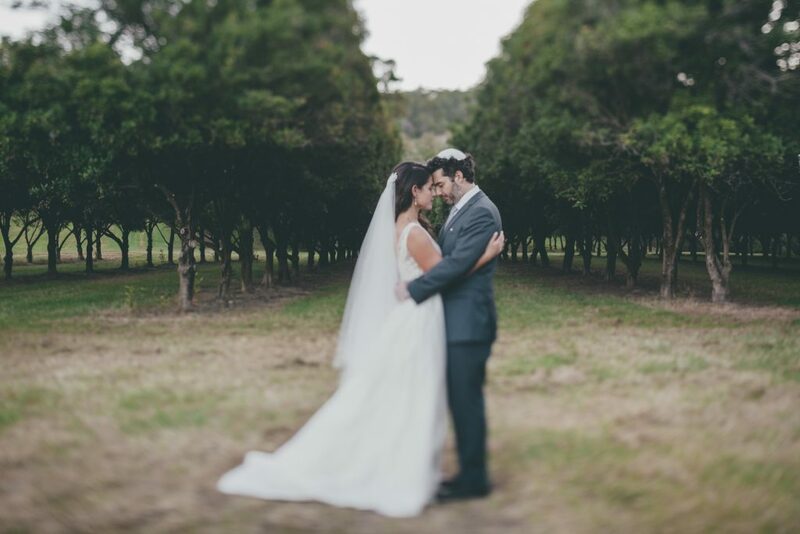 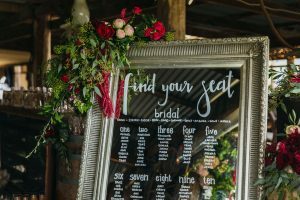 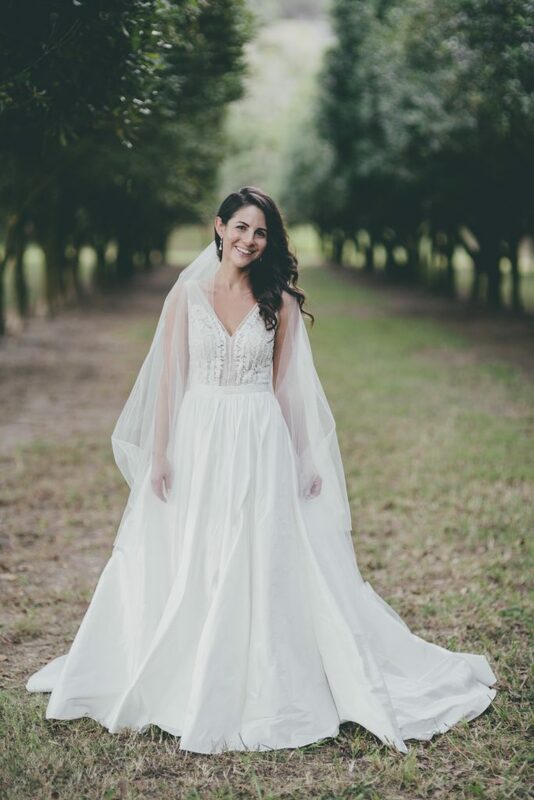 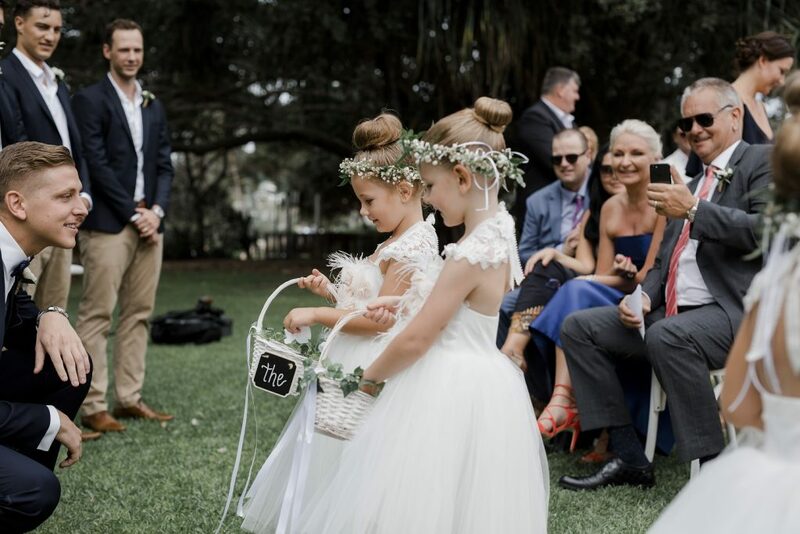 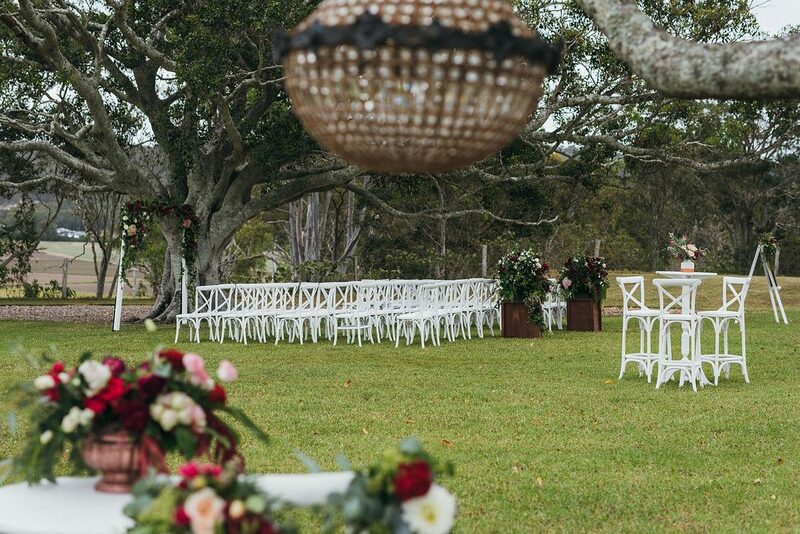 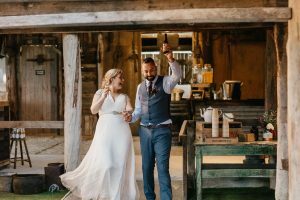 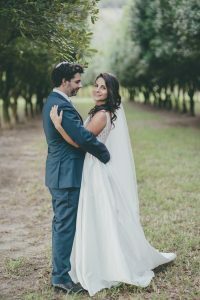 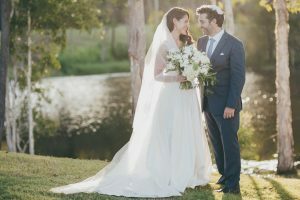 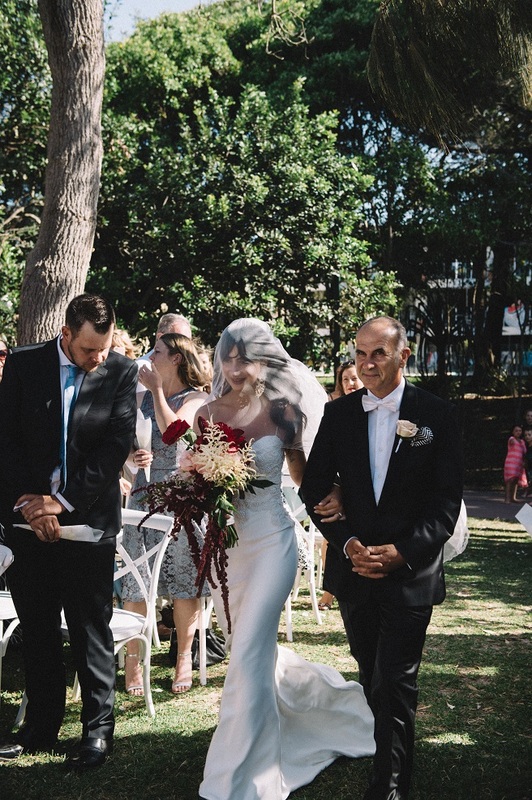 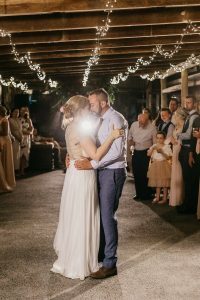 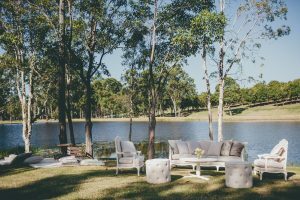 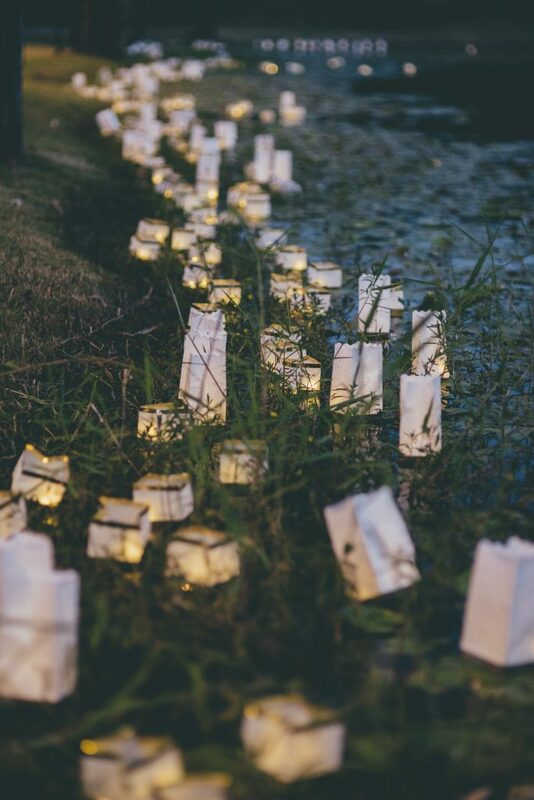 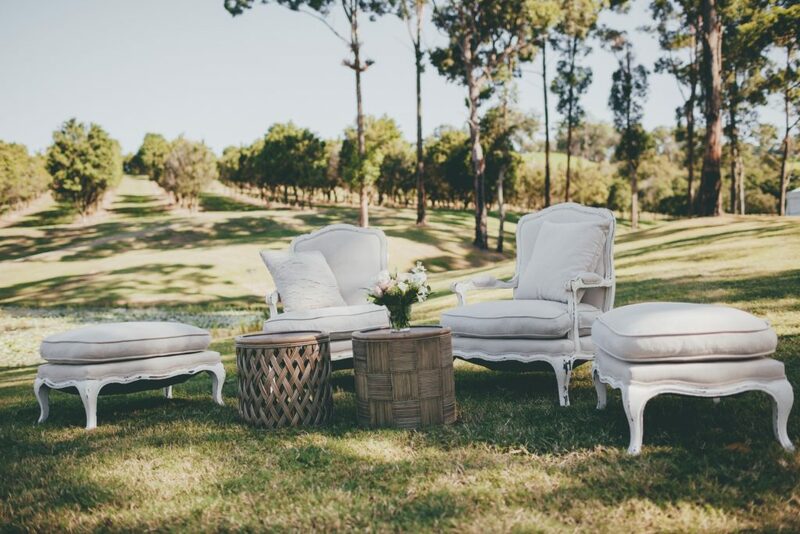 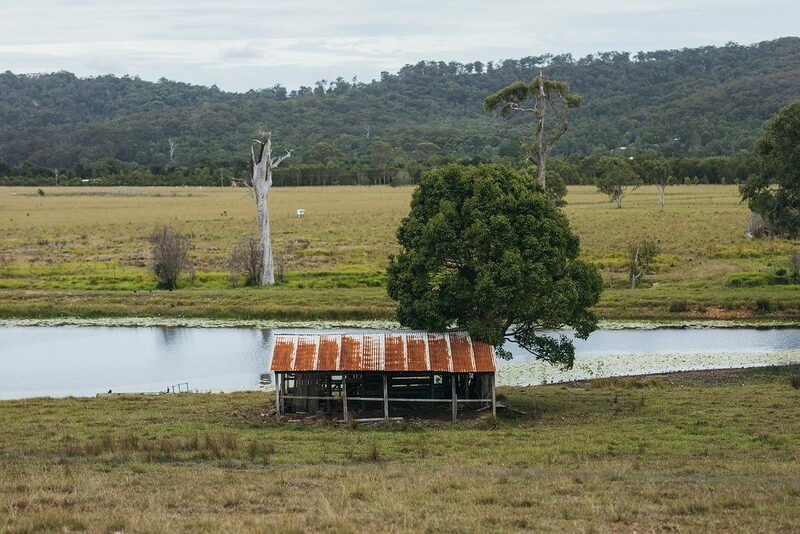 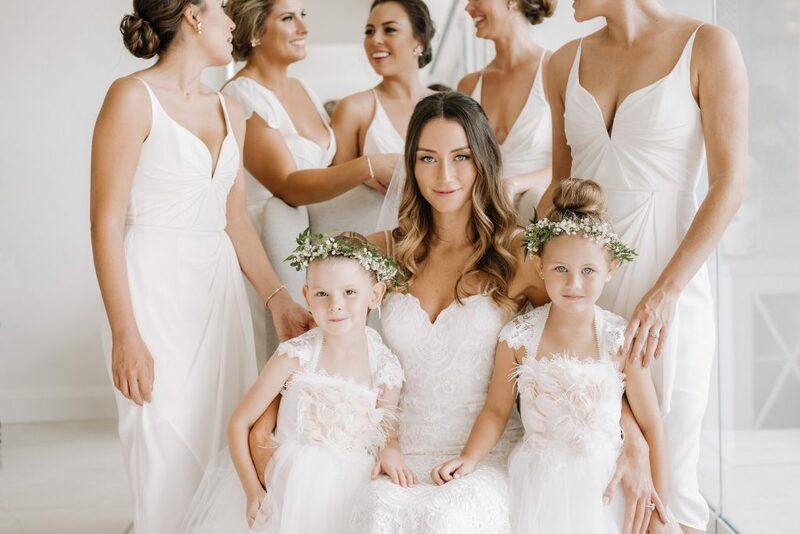 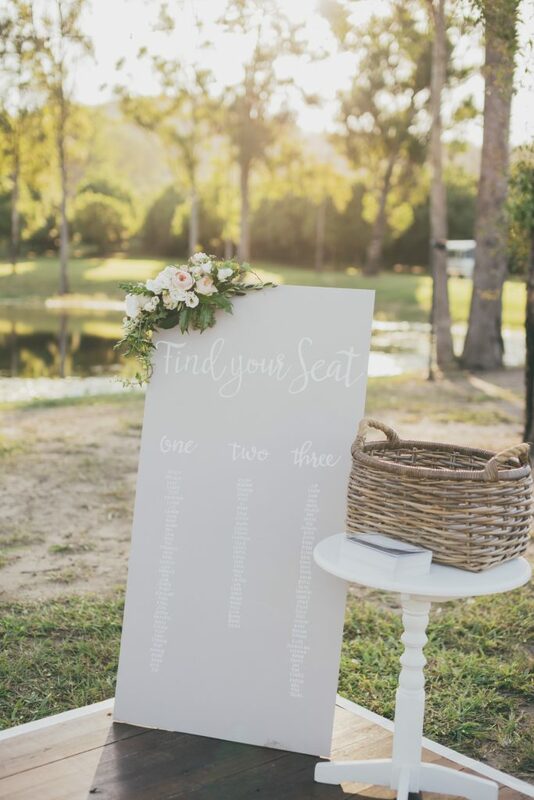 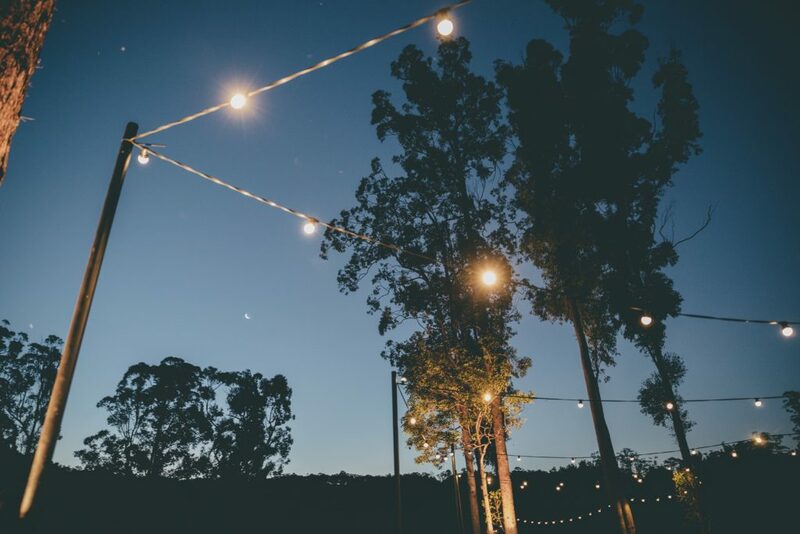 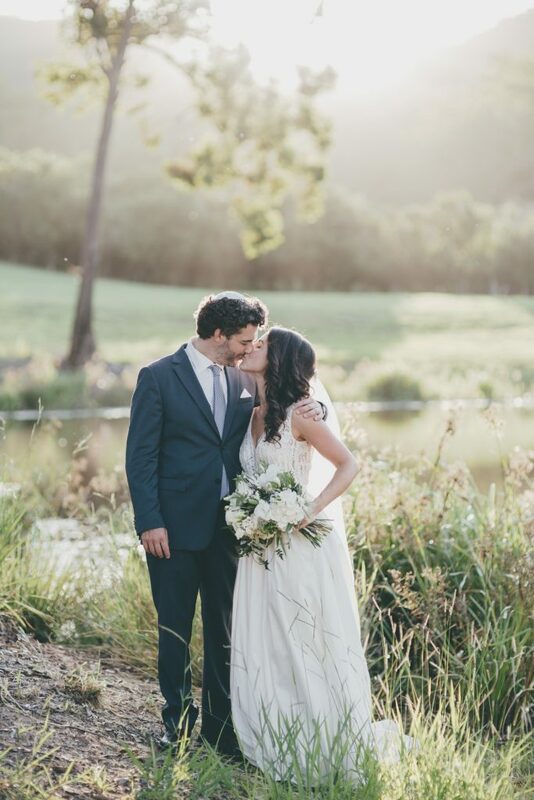 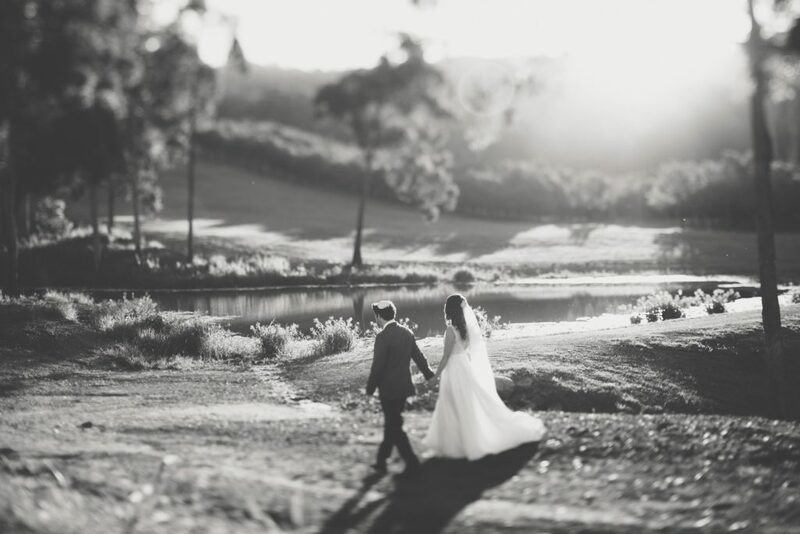 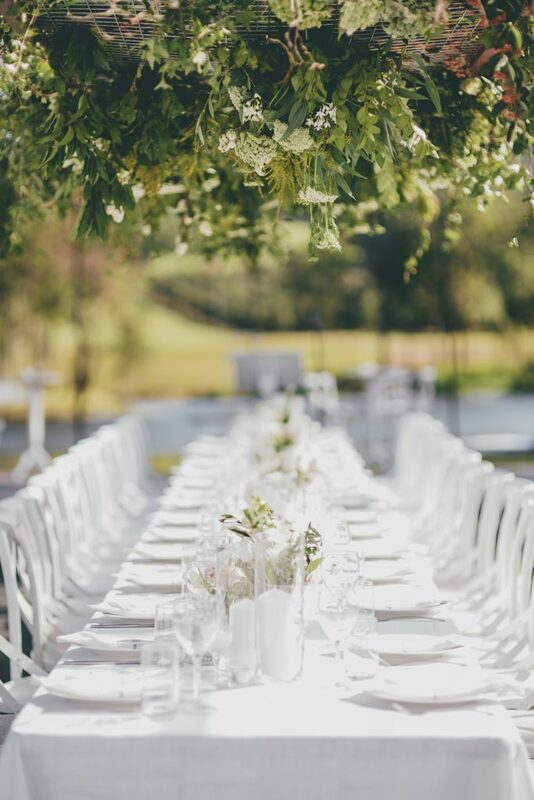 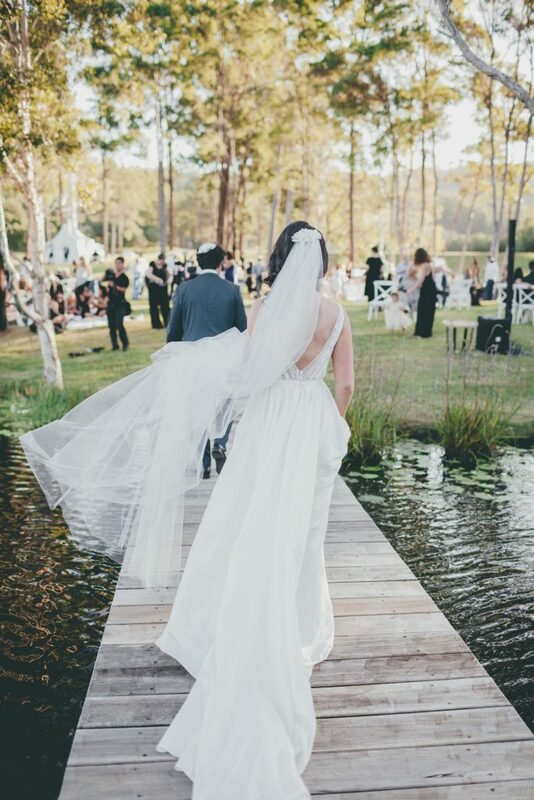 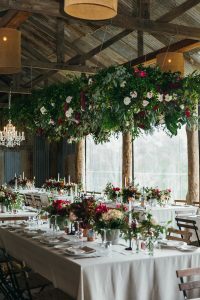 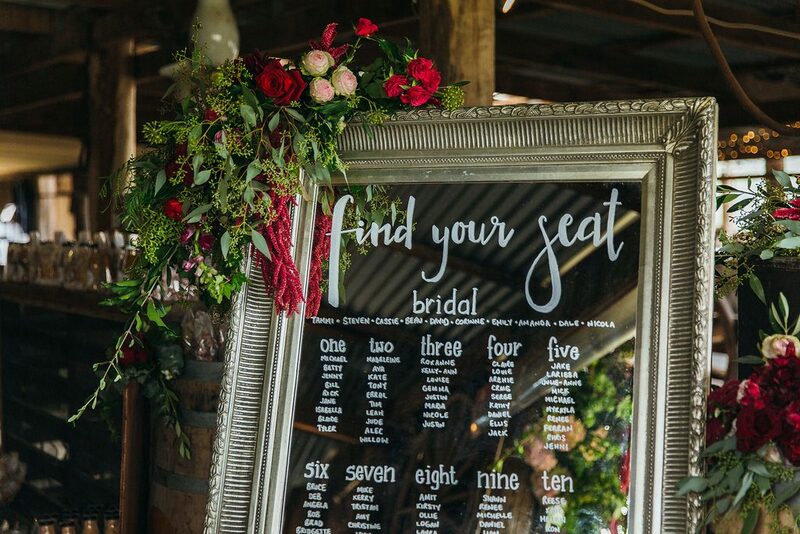 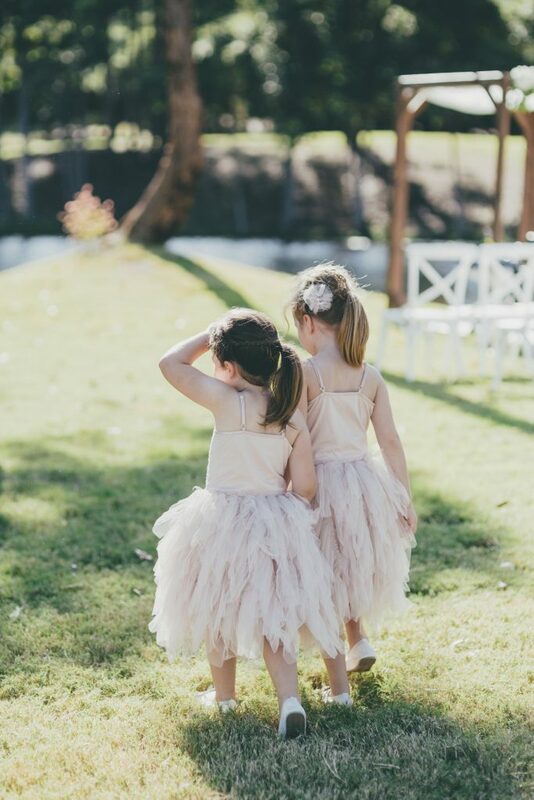 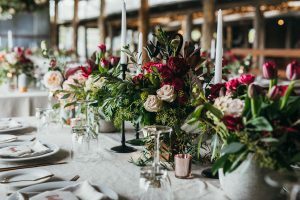 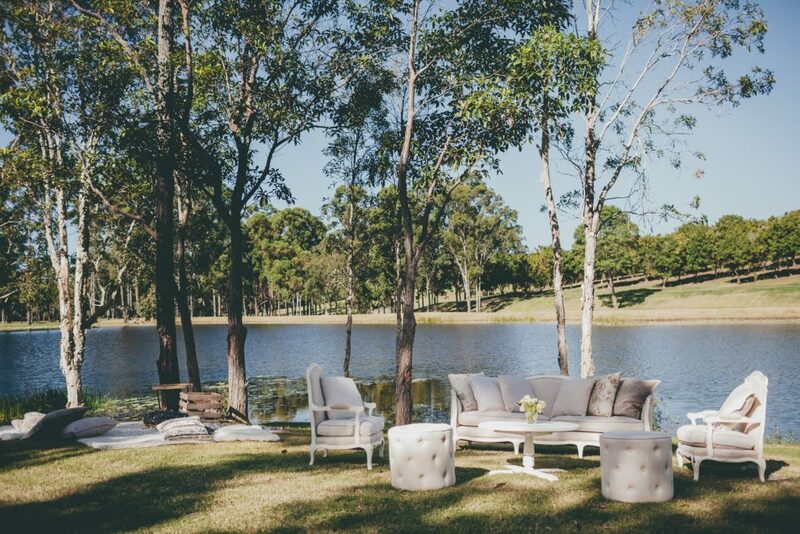 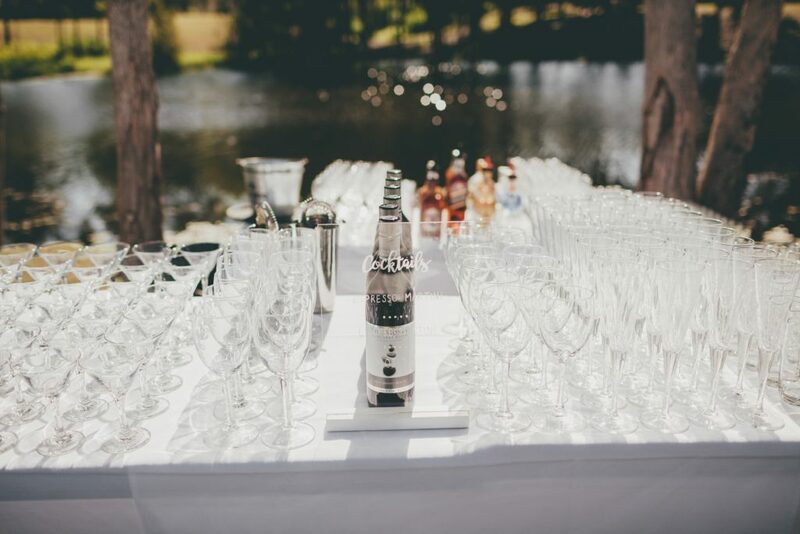 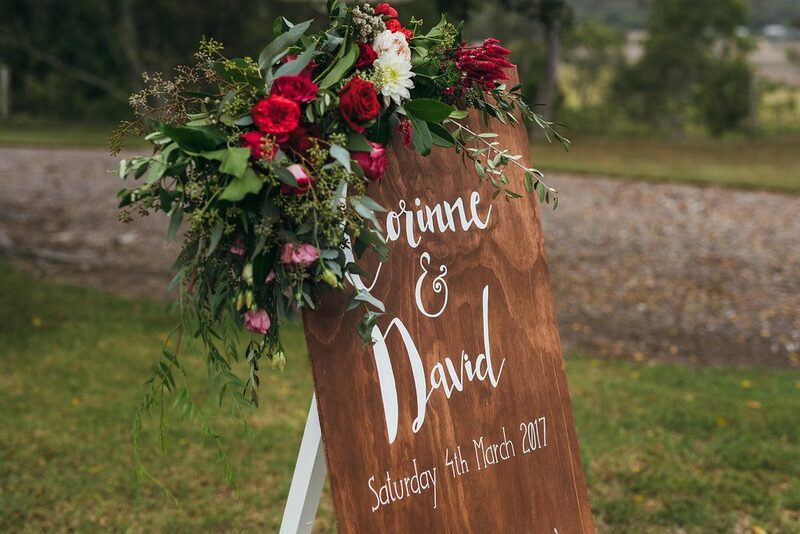 Elegant, Relaxed and WOW was the brief for this incredibly stunning celebration at Yandina Station. 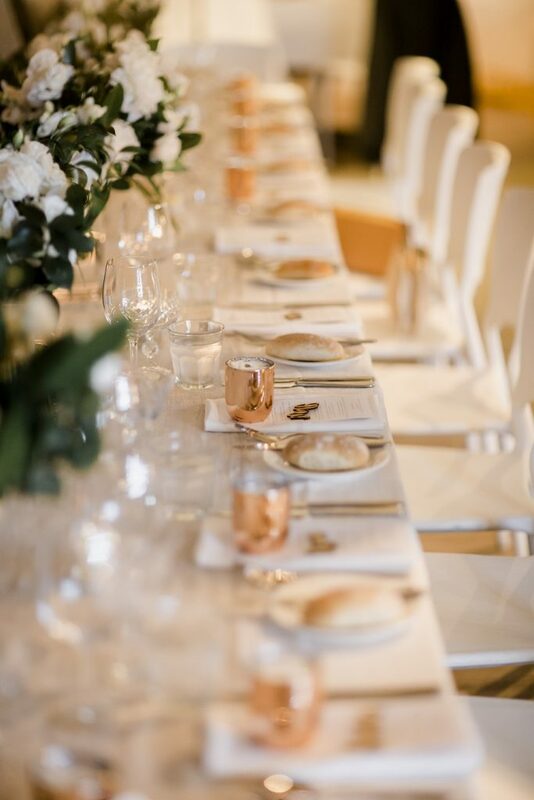 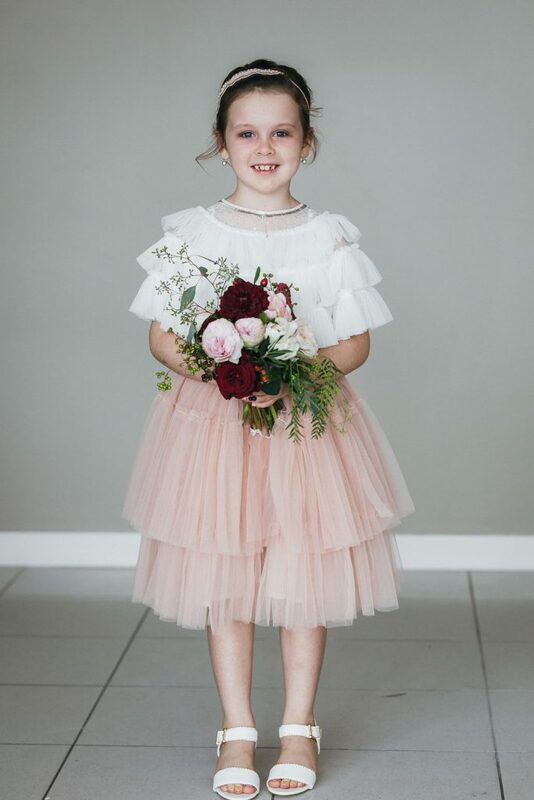 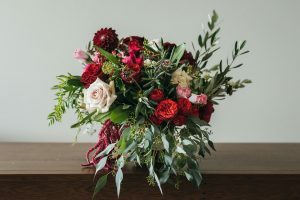 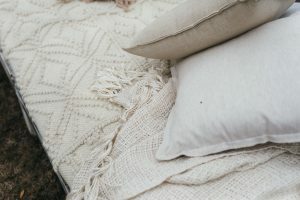 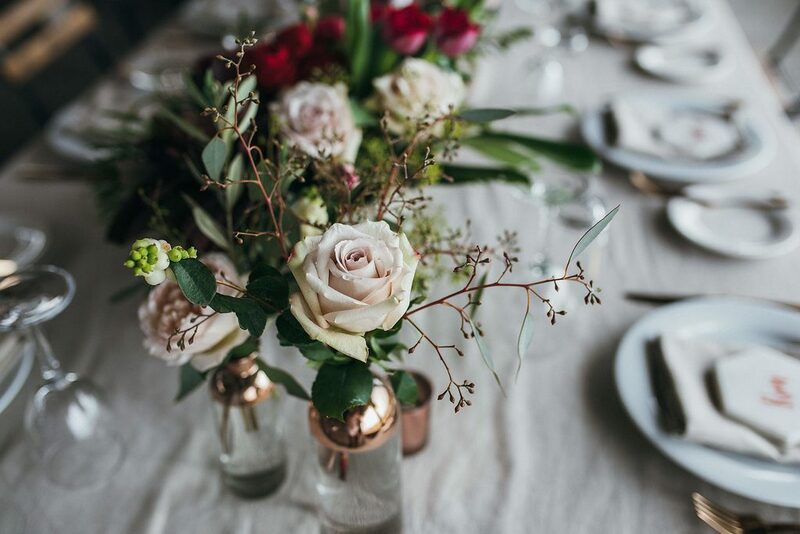 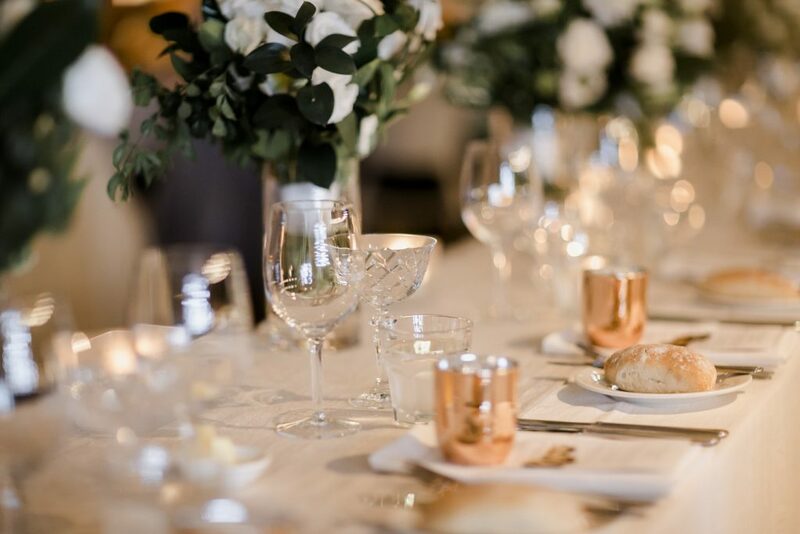 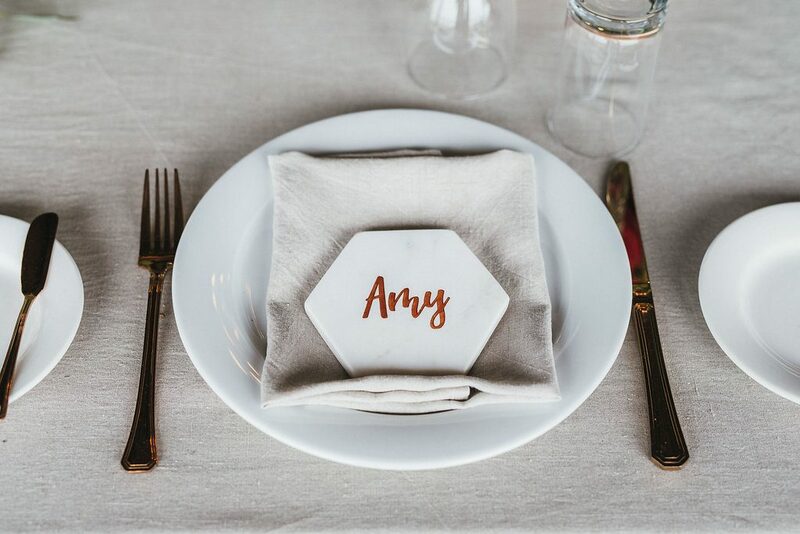 This colour palette features a base of Antique White, Cream & hints of Copper… To which we have added Shades of Blush, Peach, Rich Pink and Burgundy to give some depth. 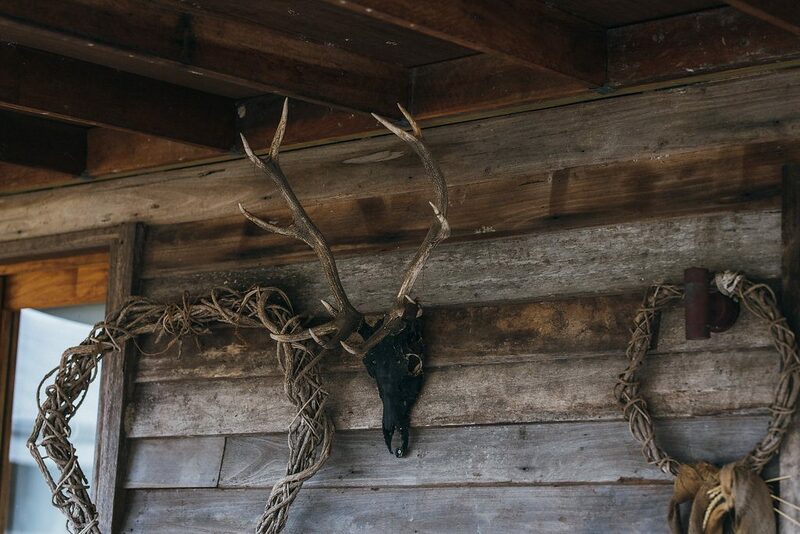 Complemented by Green Foliage & Timber Details to tie in beautifully with this elegant yet rustic inspired styling design. 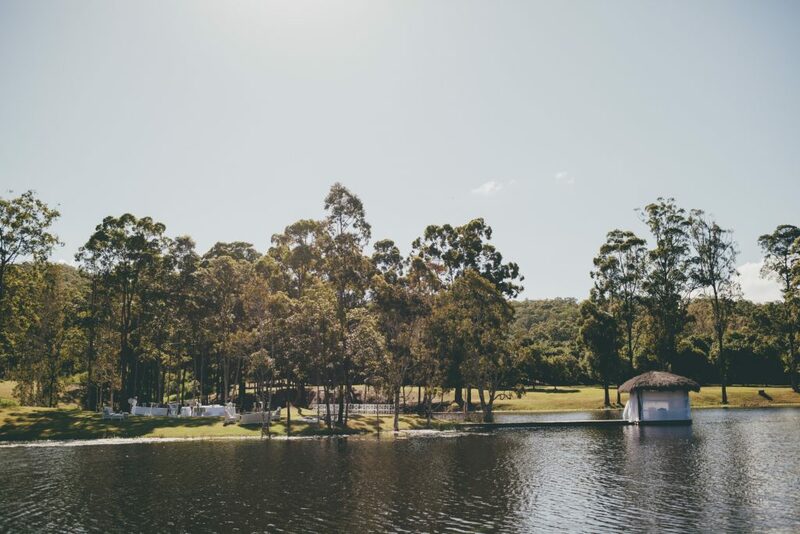 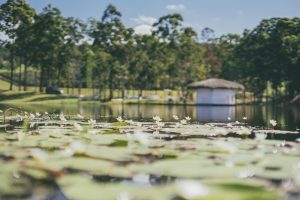 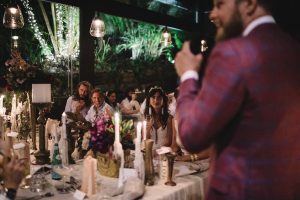 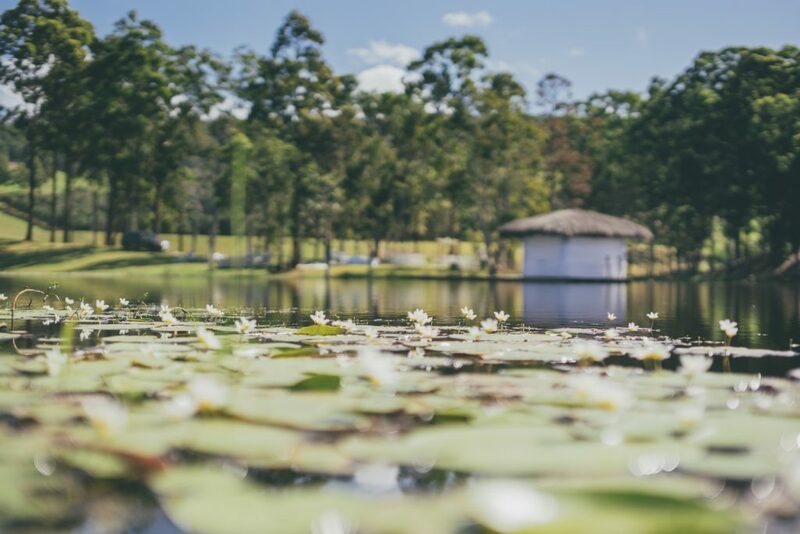 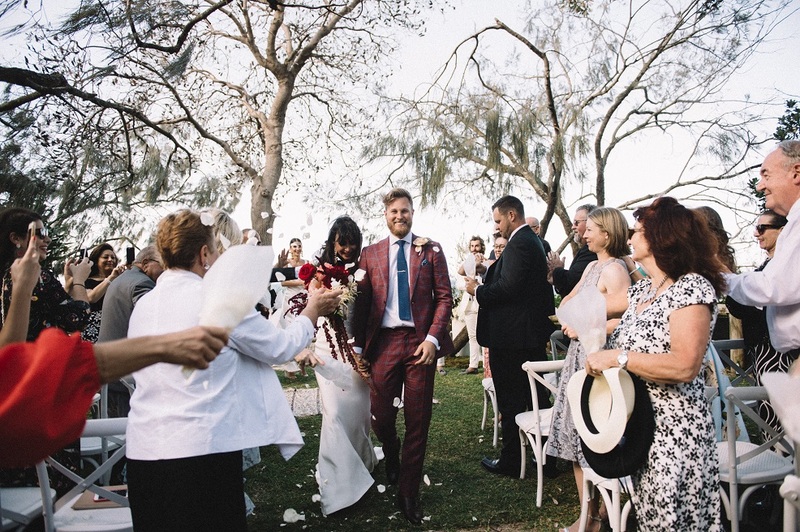 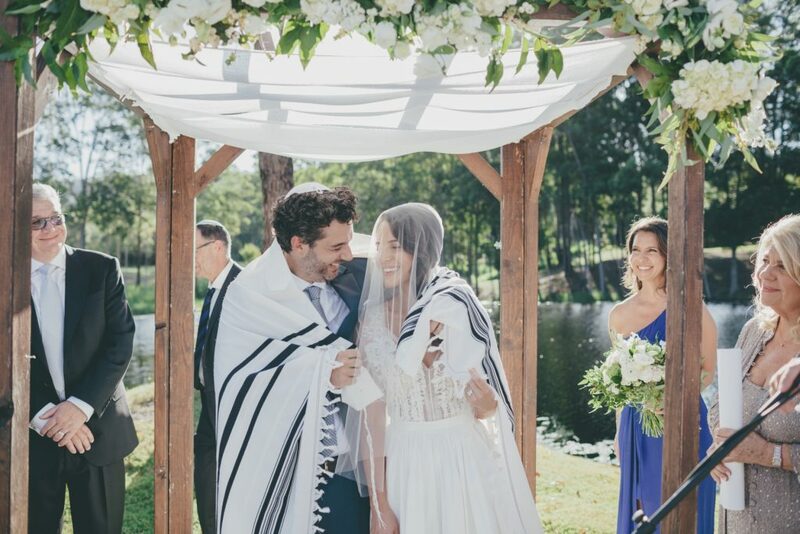 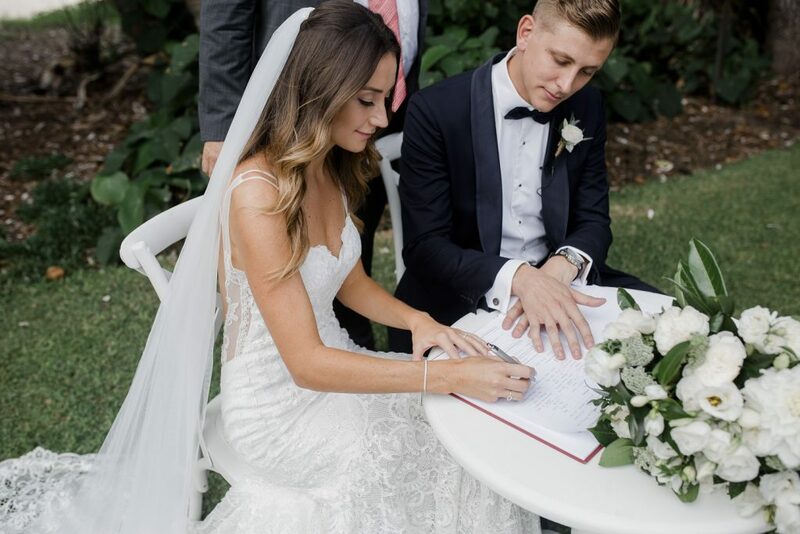 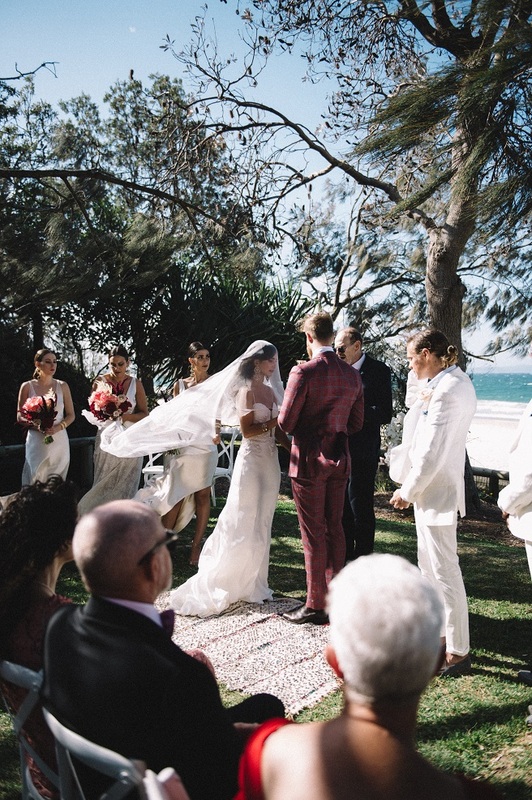 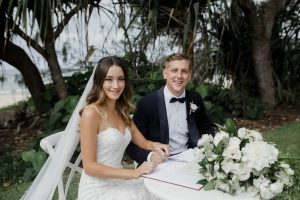 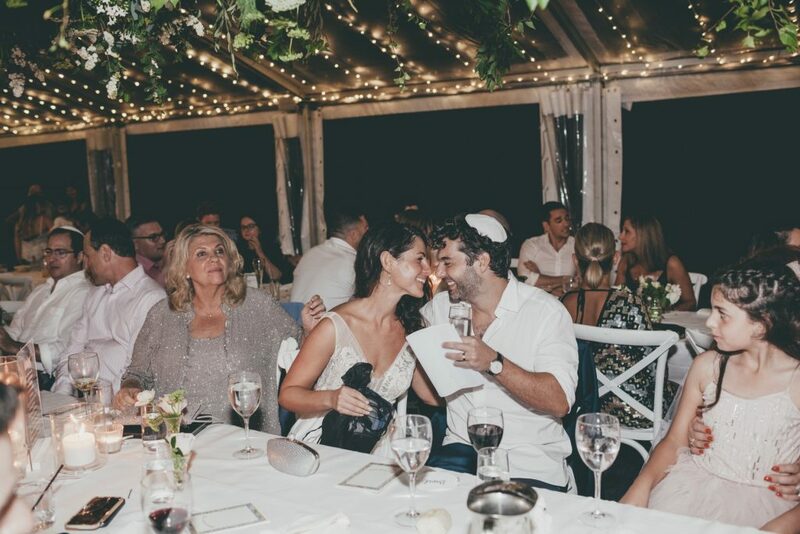 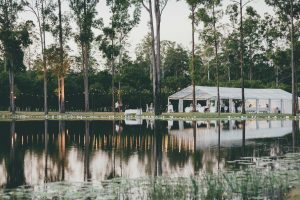 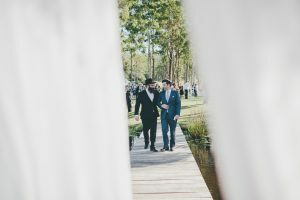 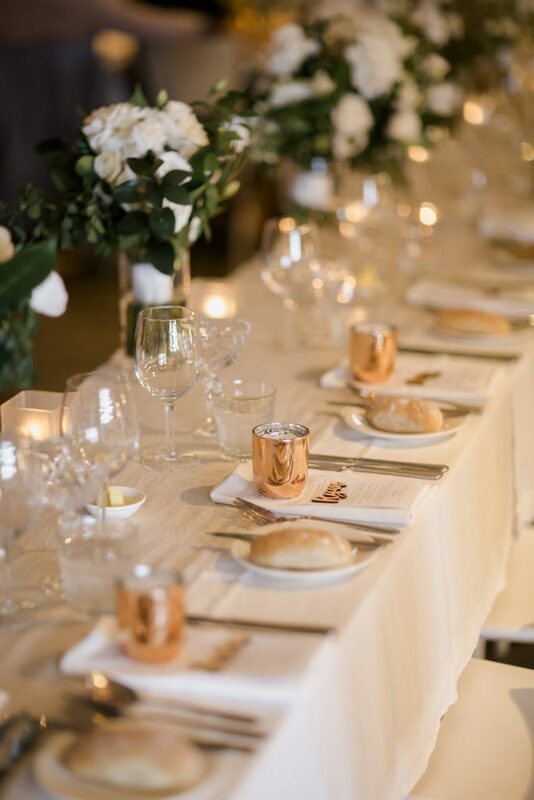 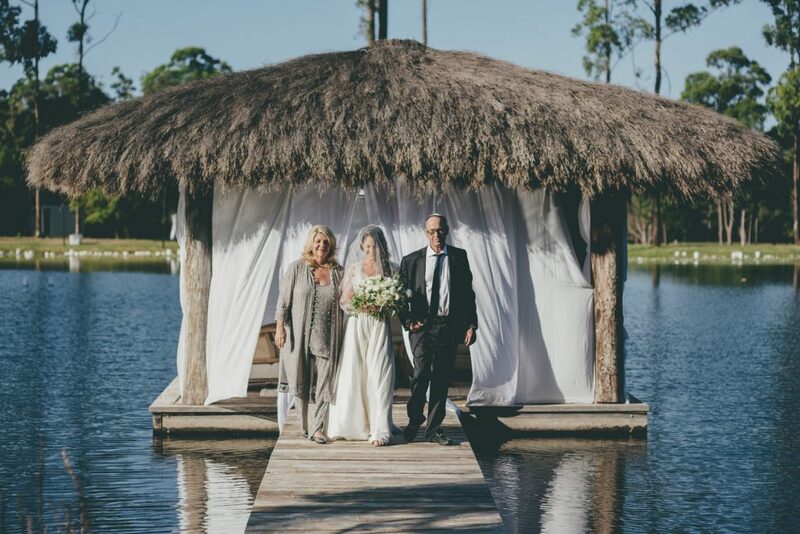 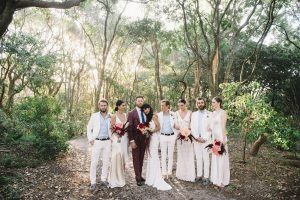 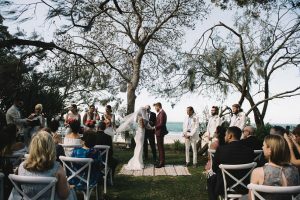 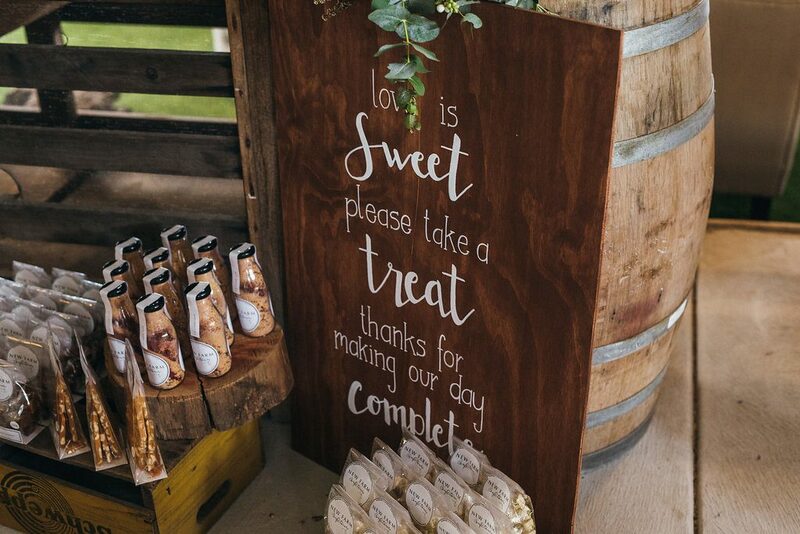 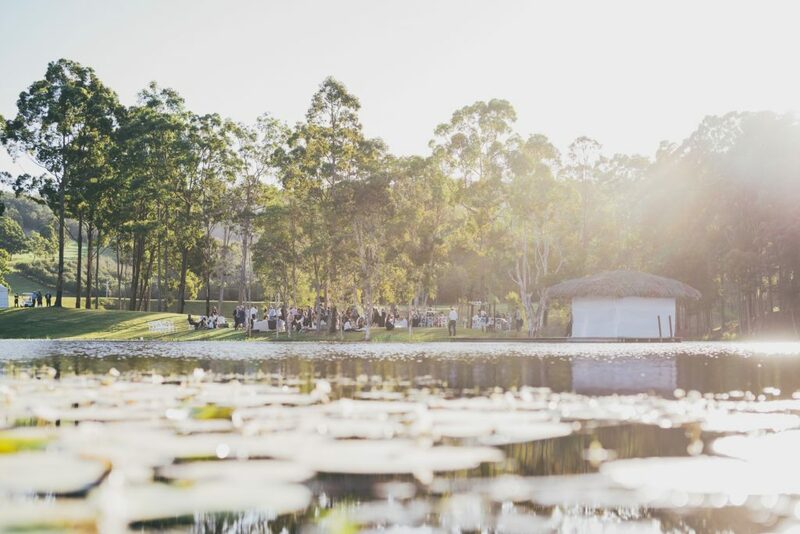 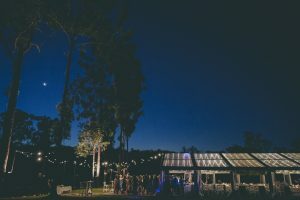 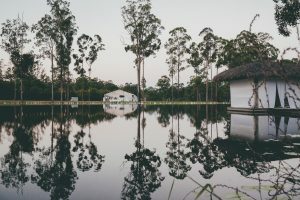 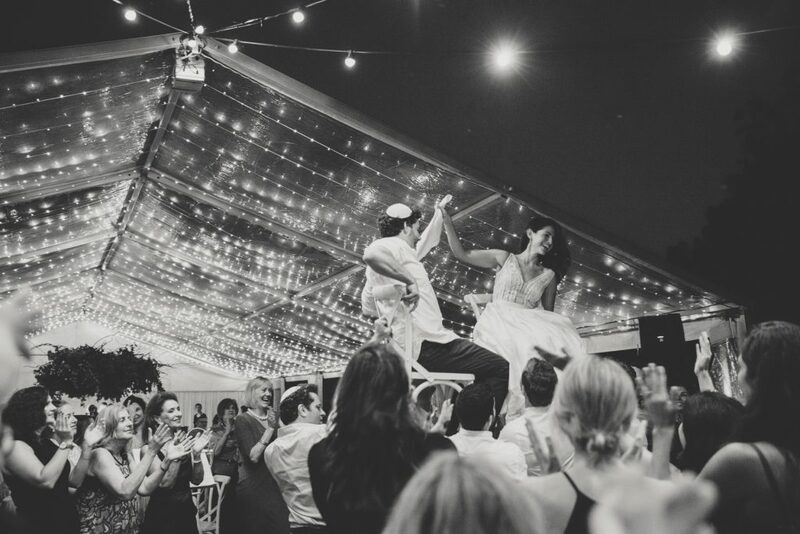 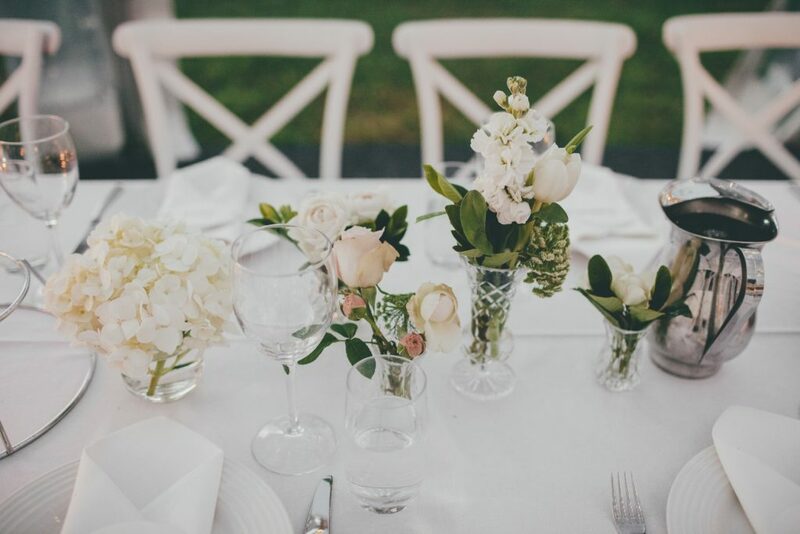 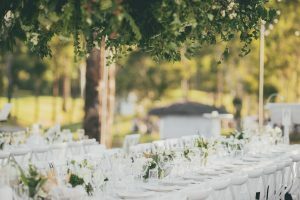 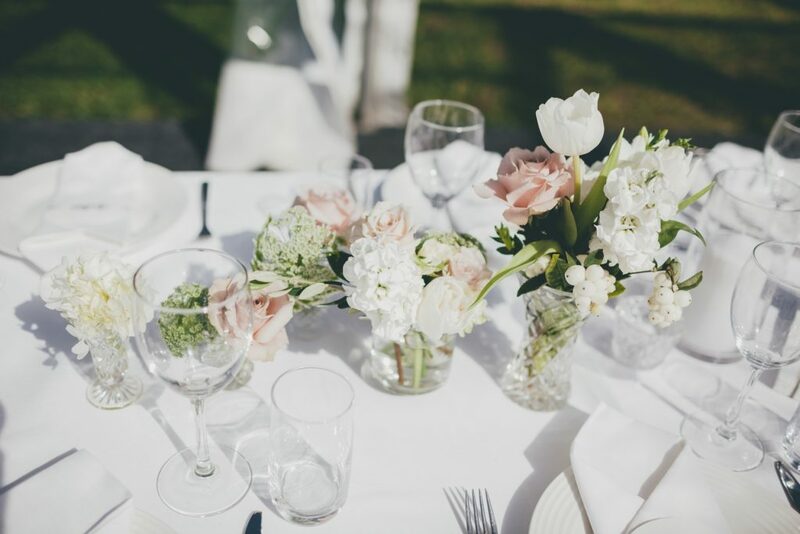 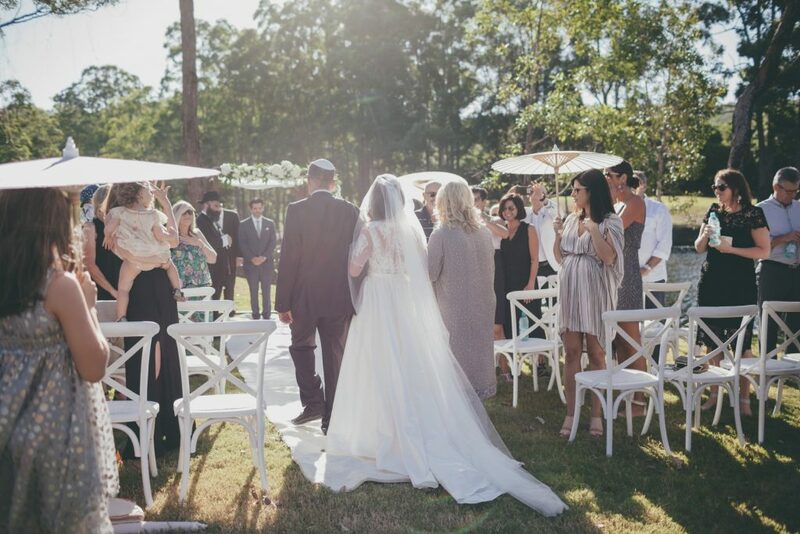 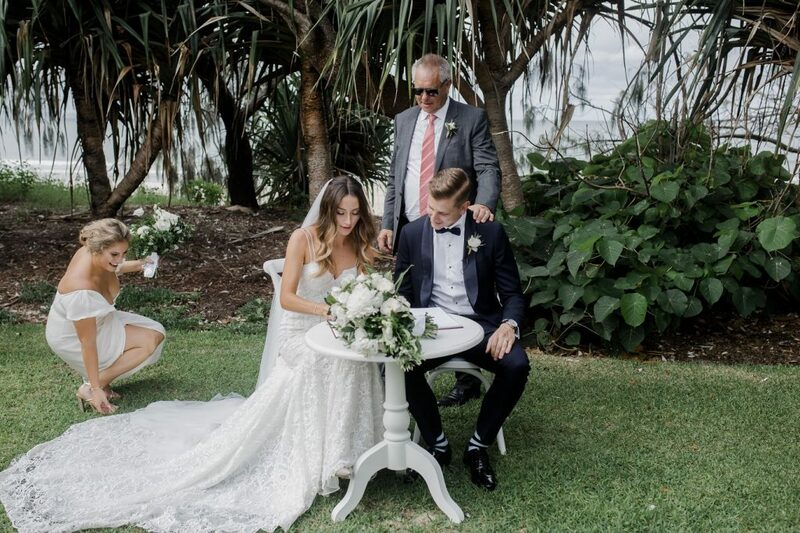 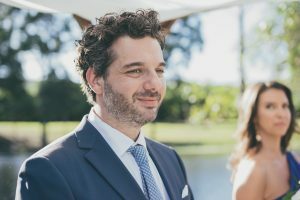 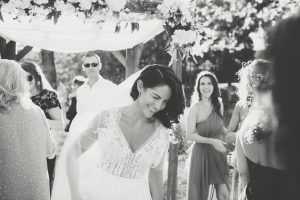 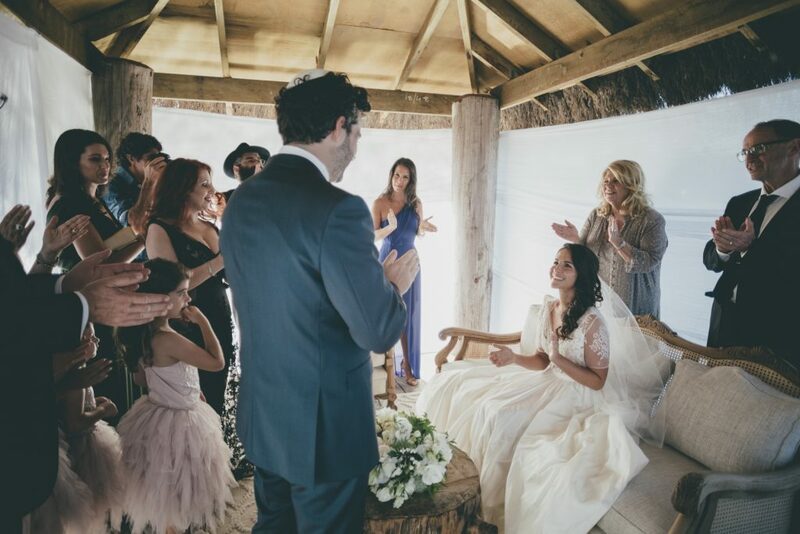 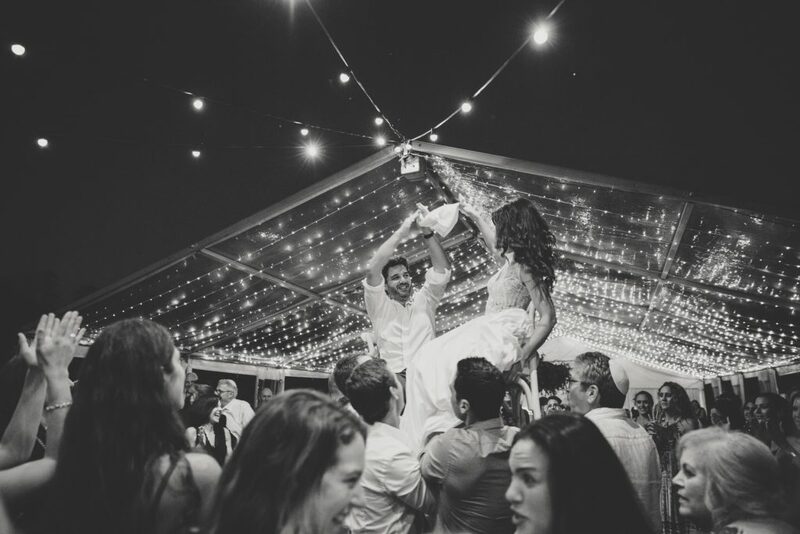 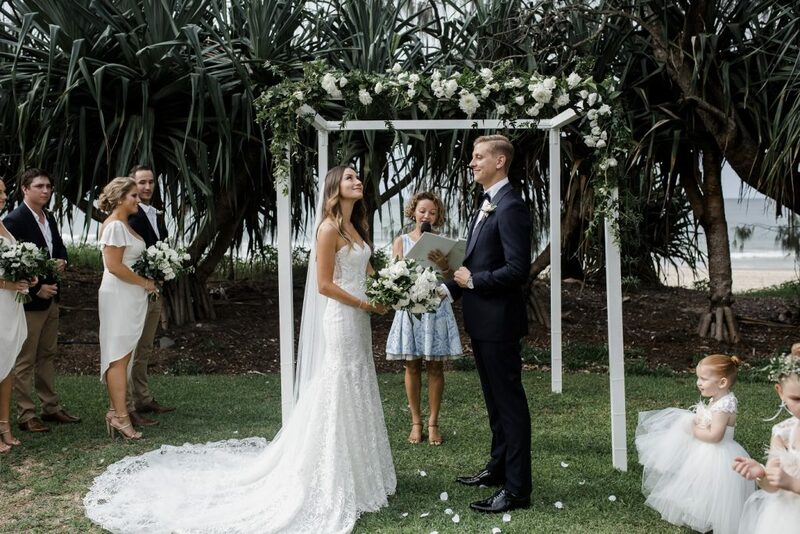 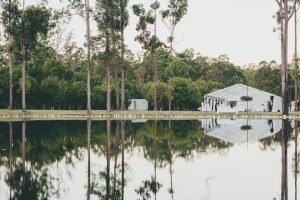 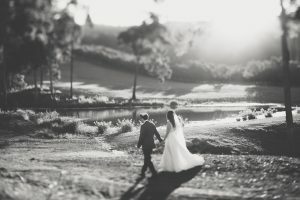 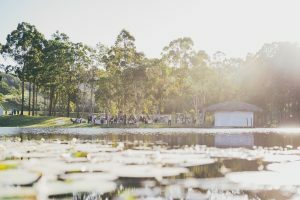 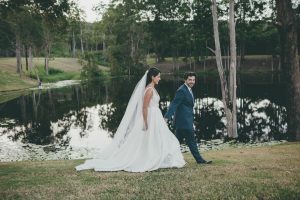 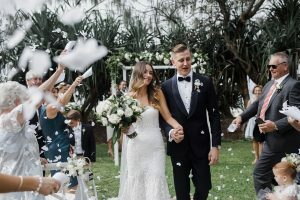 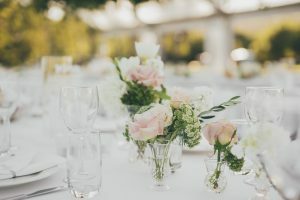 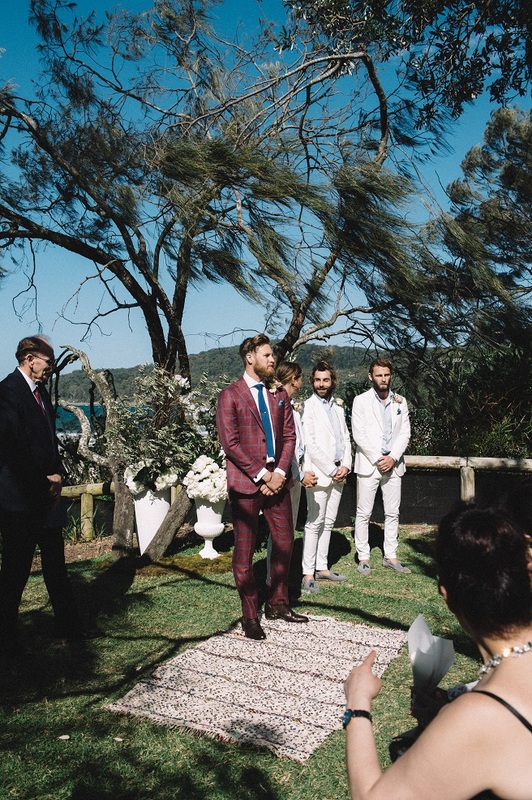 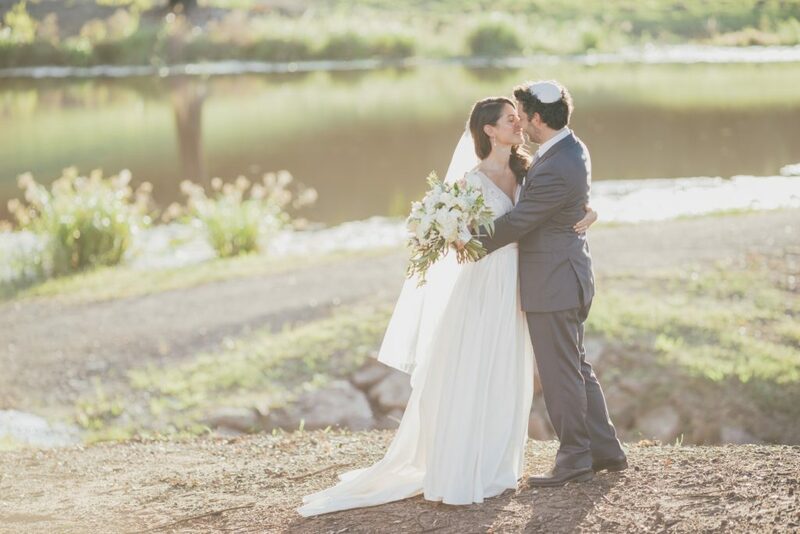 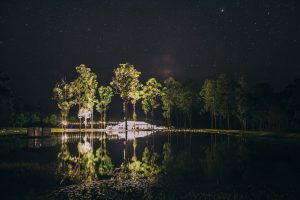 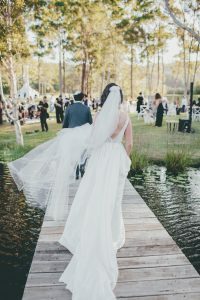 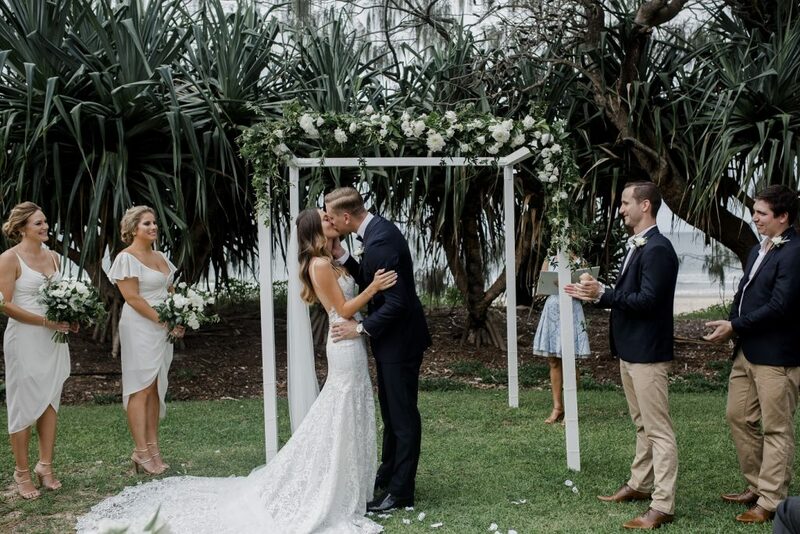 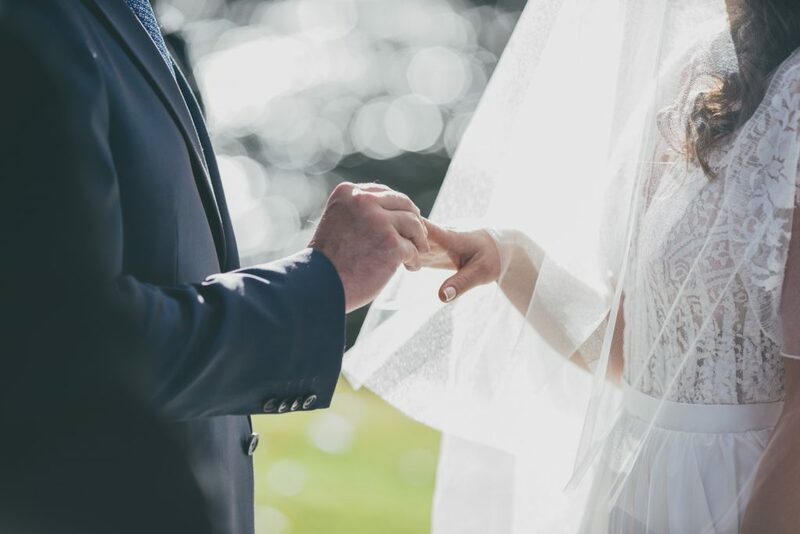 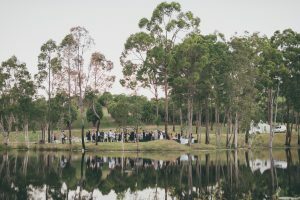 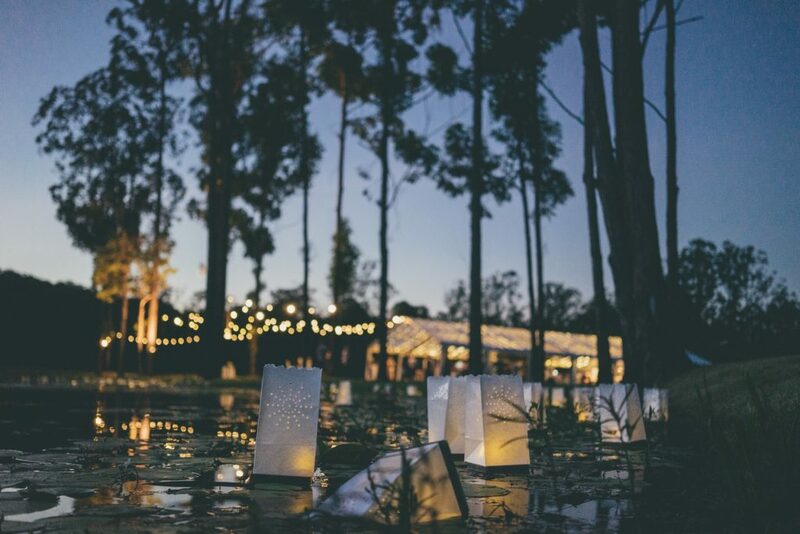 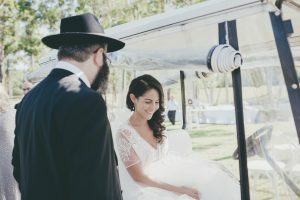 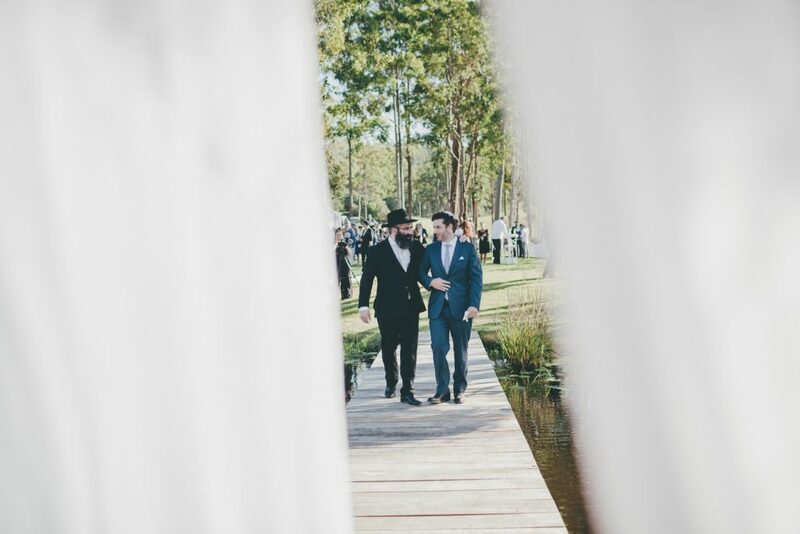 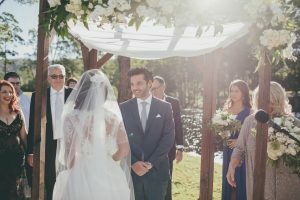 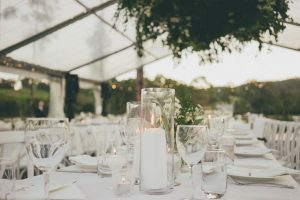 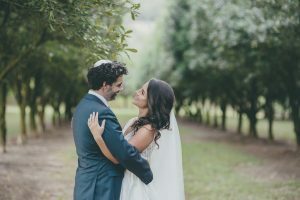 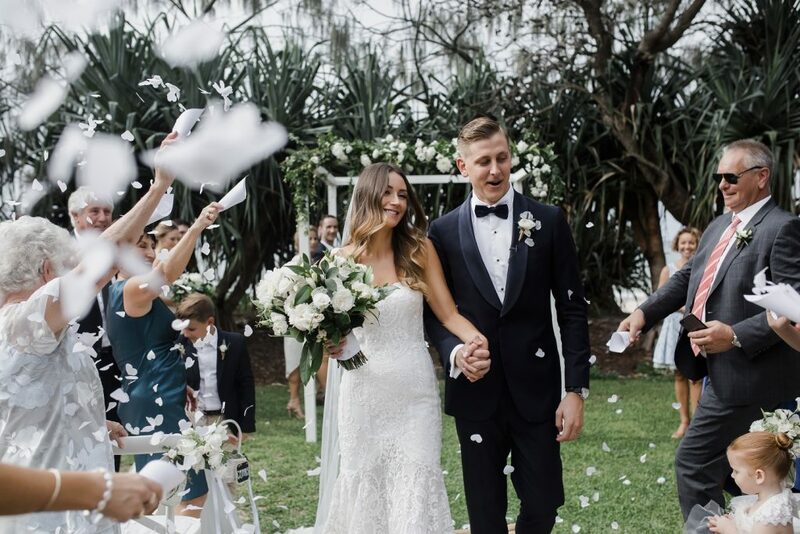 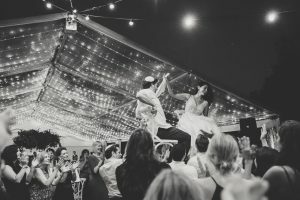 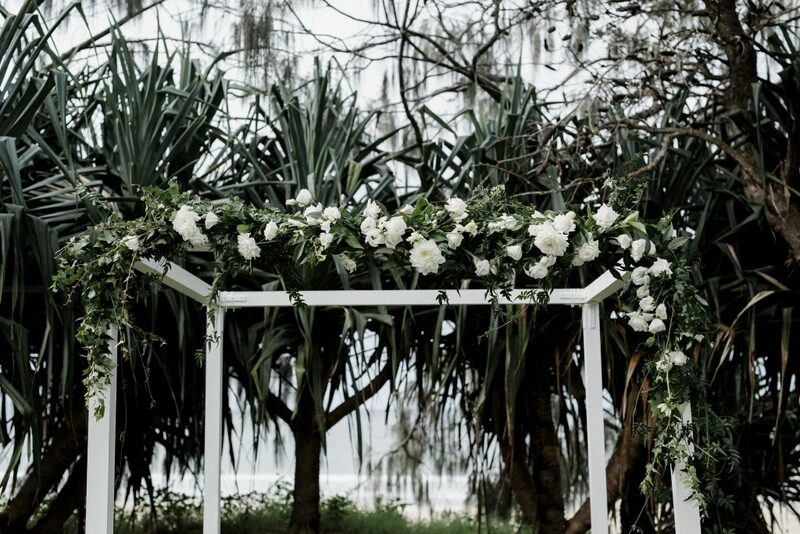 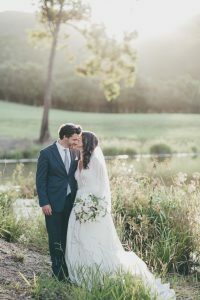 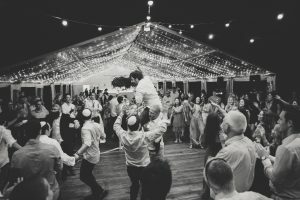 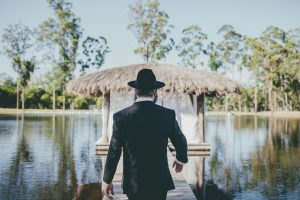 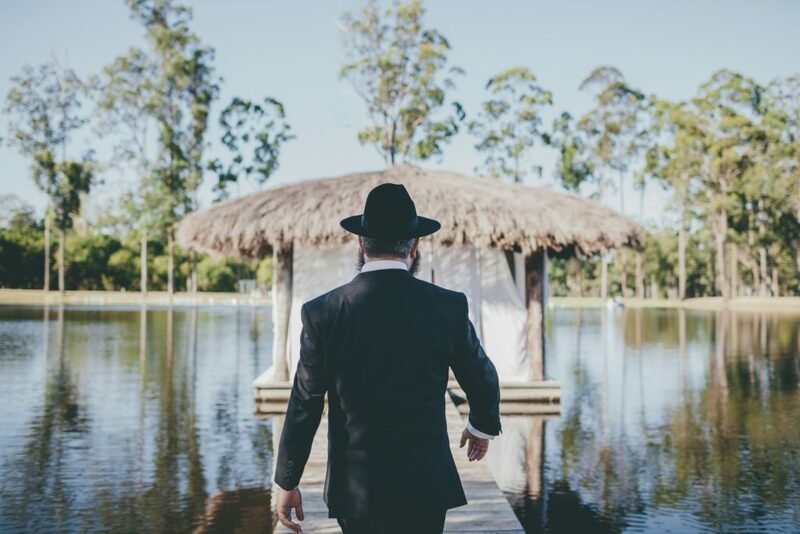 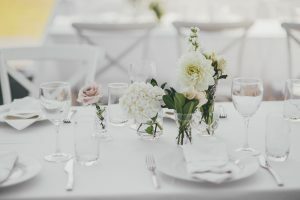 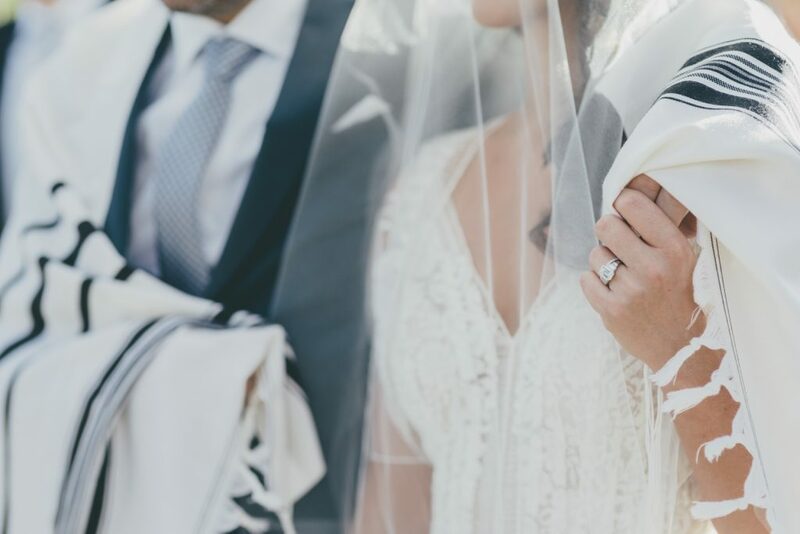 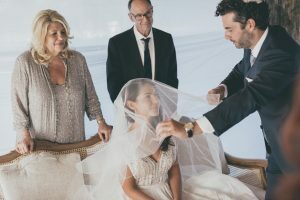 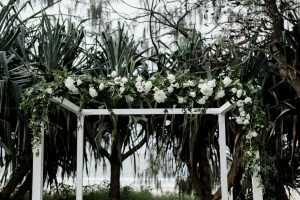 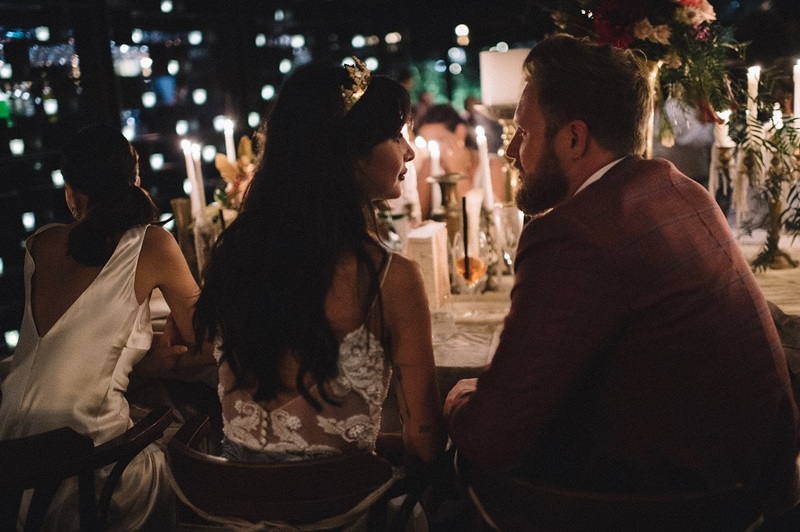 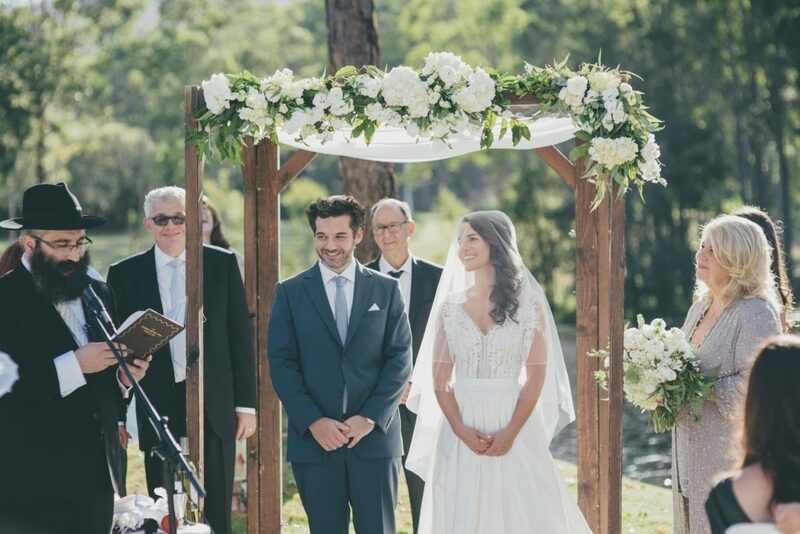 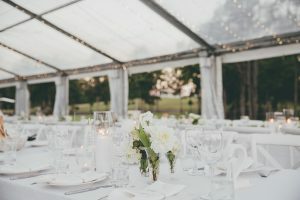 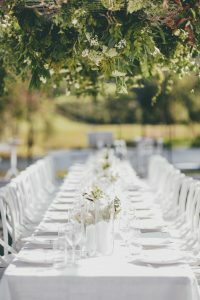 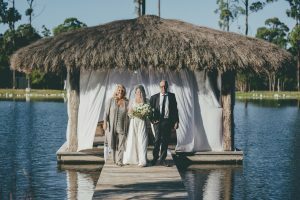 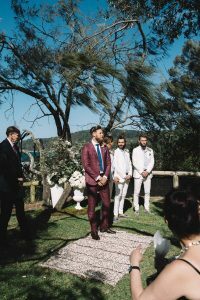 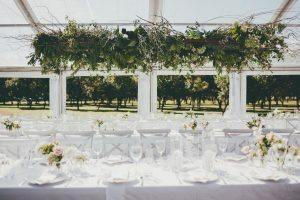 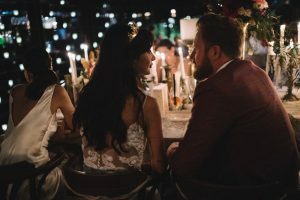 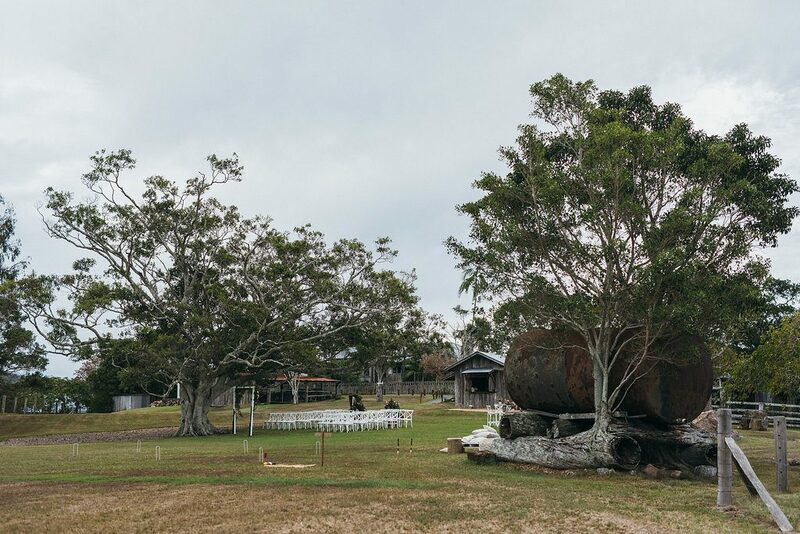 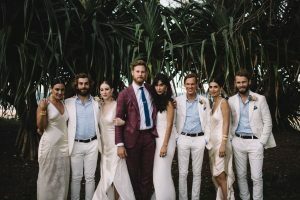 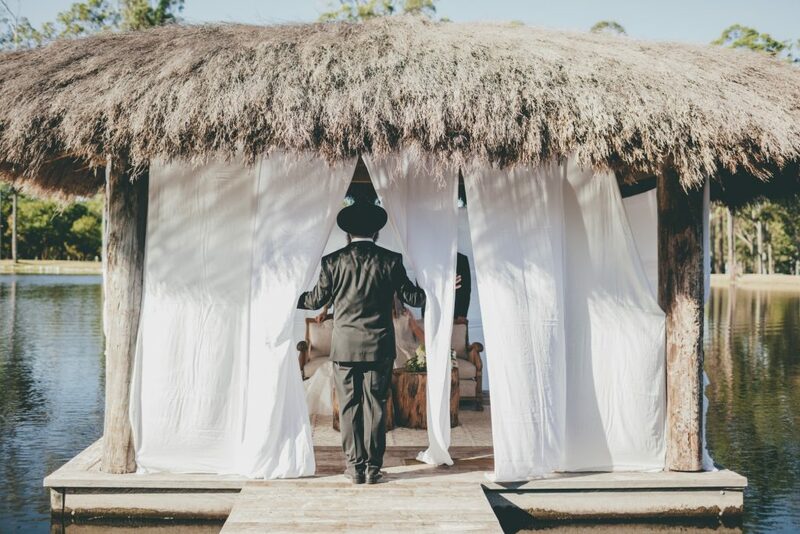 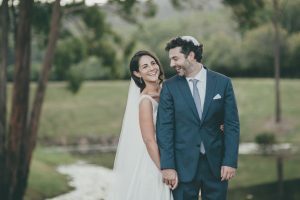 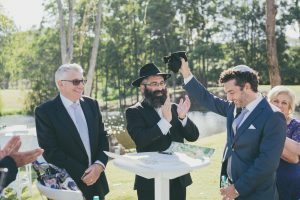 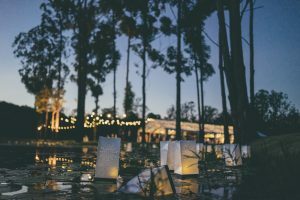 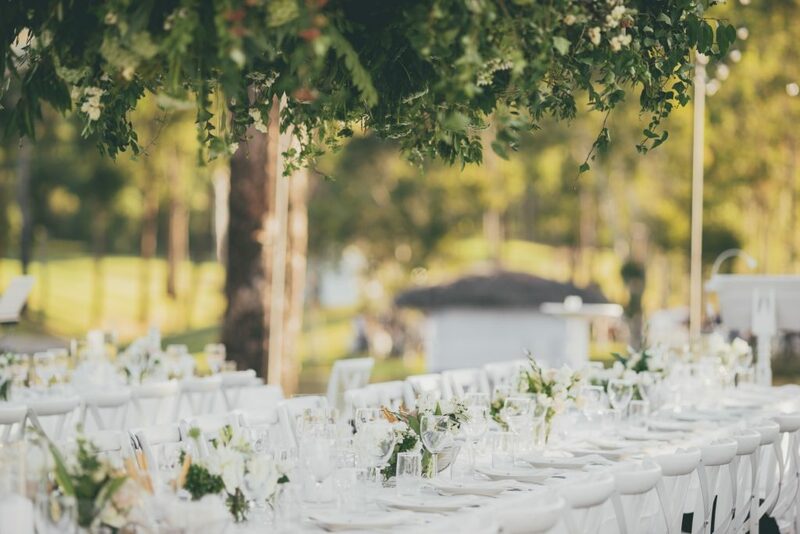 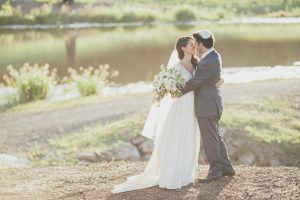 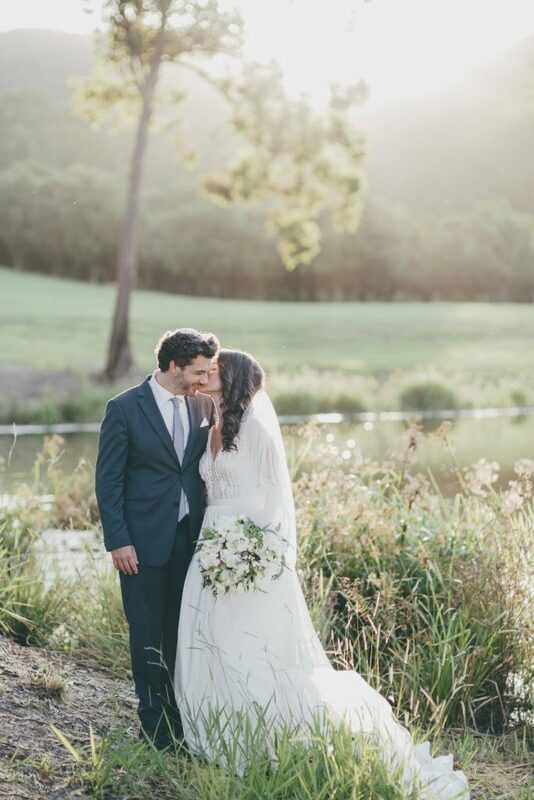 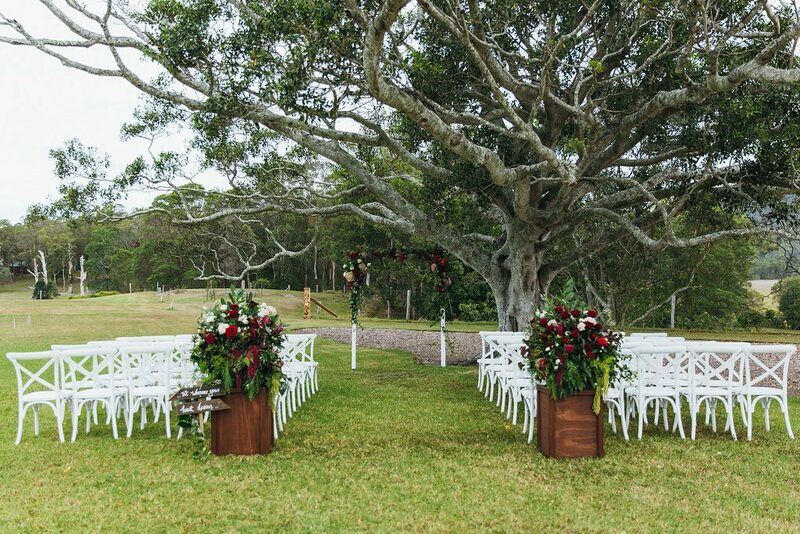 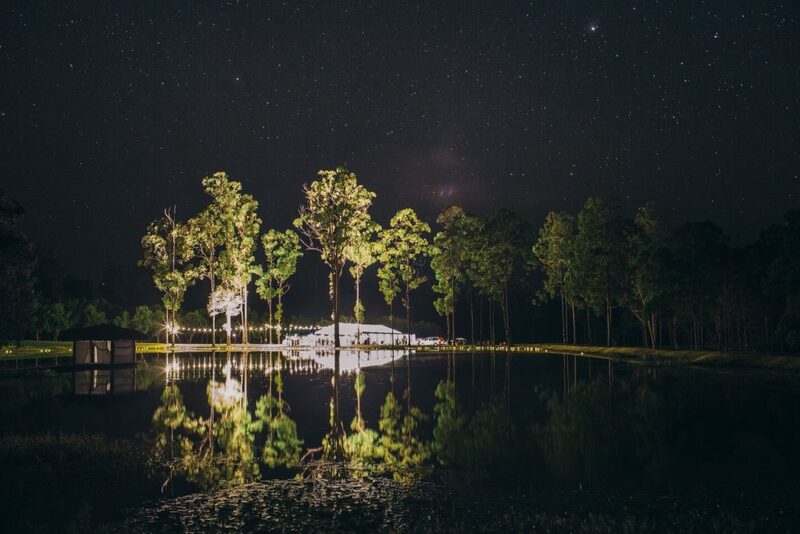 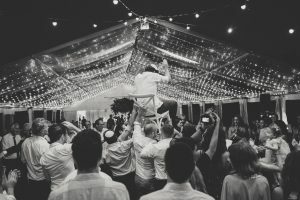 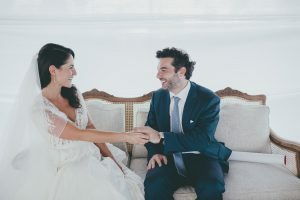 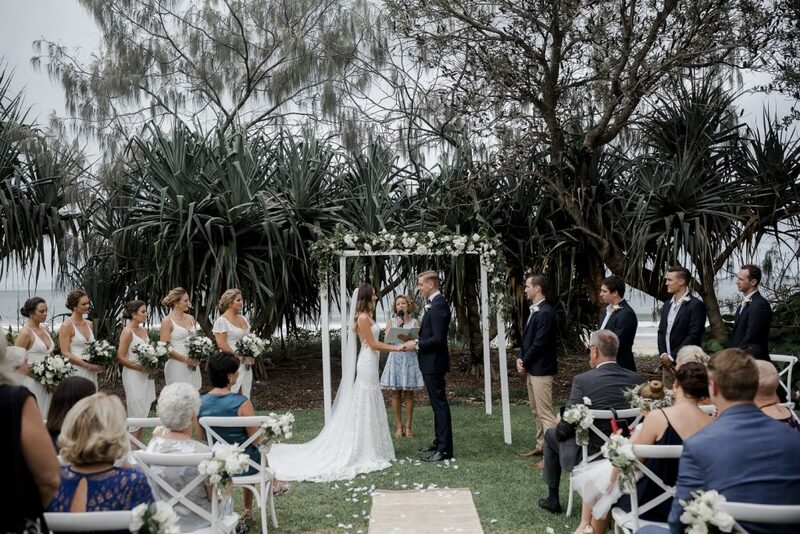 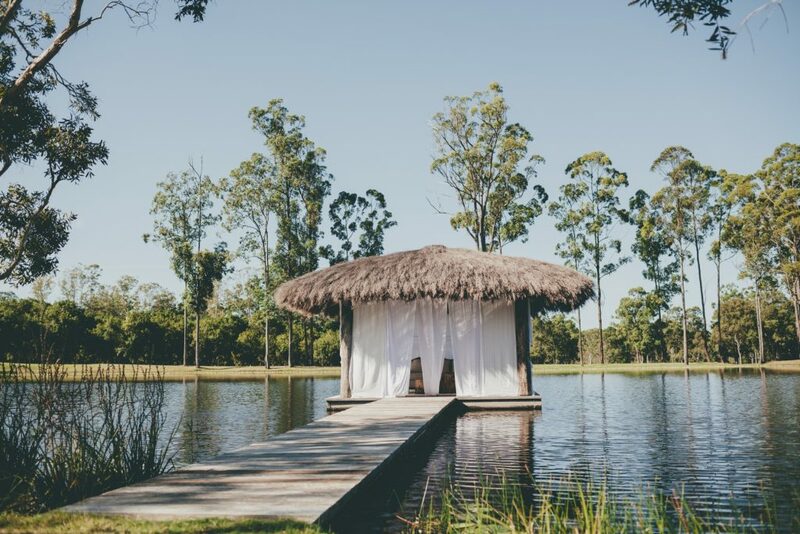 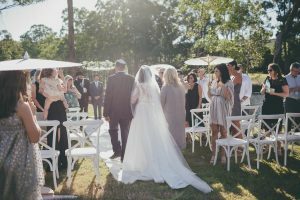 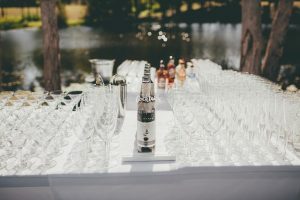 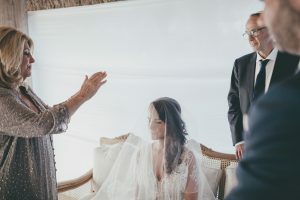 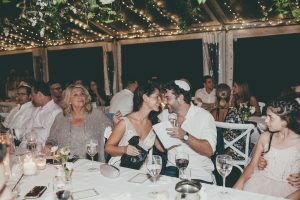 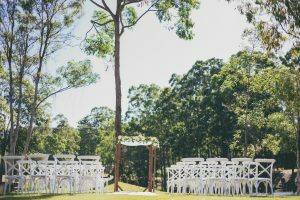 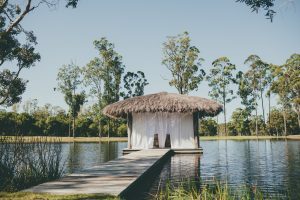 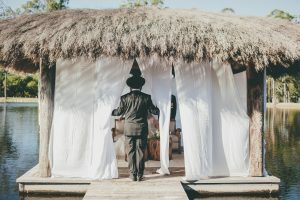 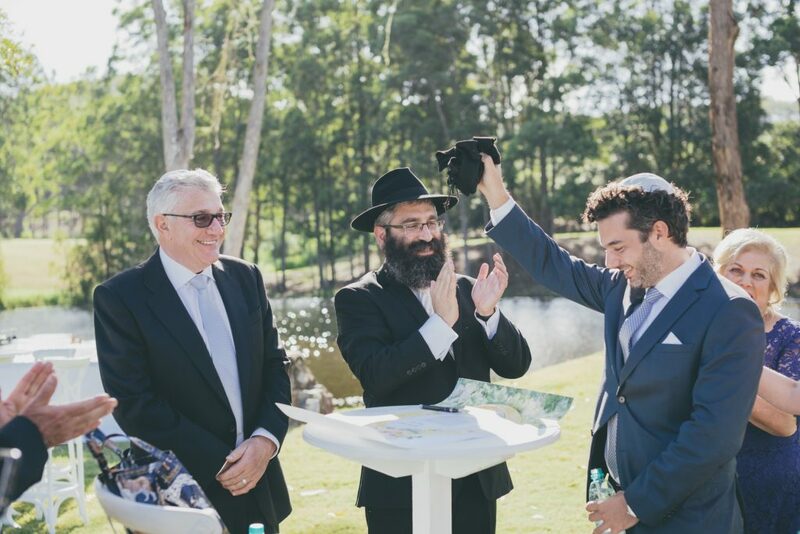 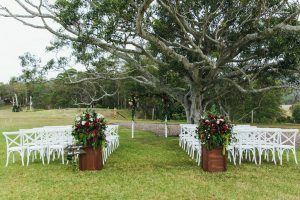 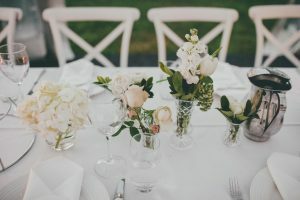 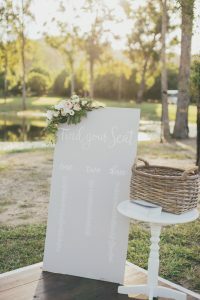 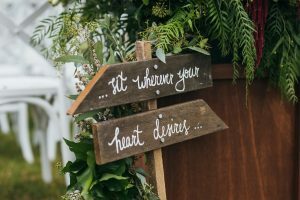 Jewish wedding celebration against a wonderful backdrop of macadamia trees and a picturesque lake, with the bedekkan taking place on the jetty of the lake. 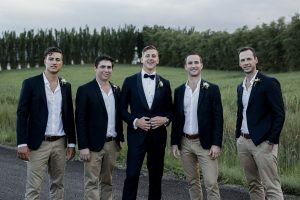 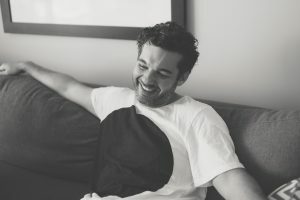 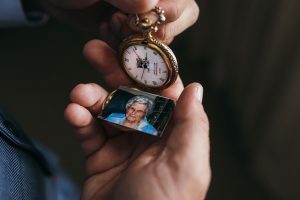 To view their amazing film, click here. 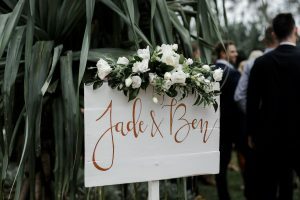 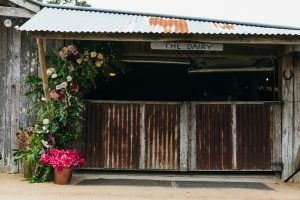 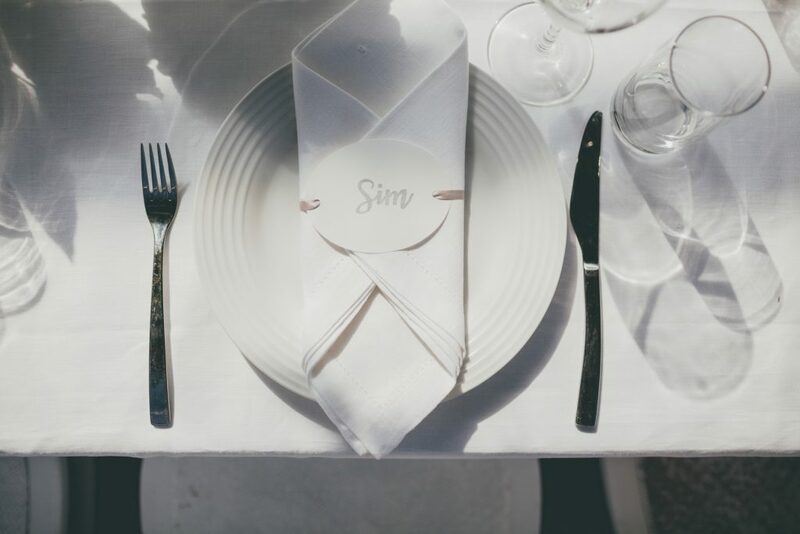 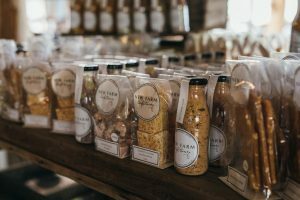 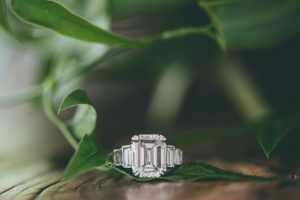 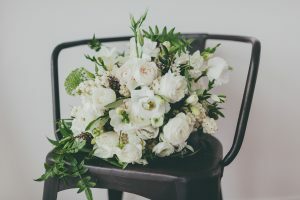 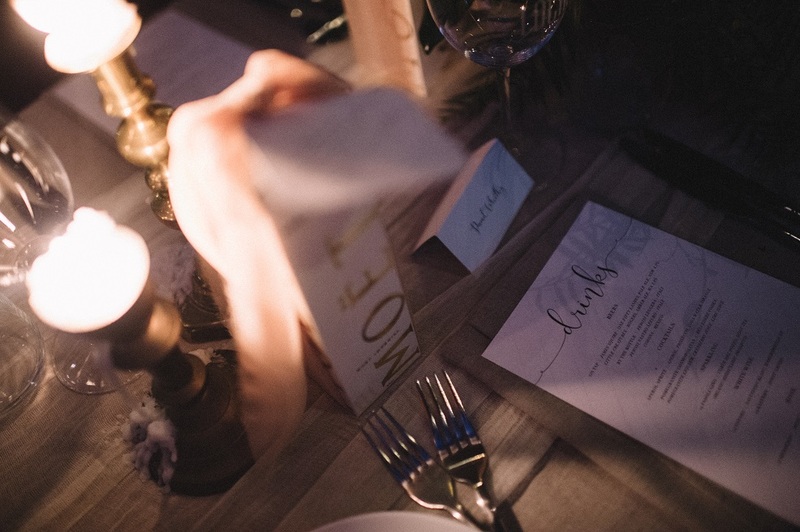 Jade and Ben chose our Classic Luxury Styling Bundle for their ceremony design with a few add-ons for their reception. 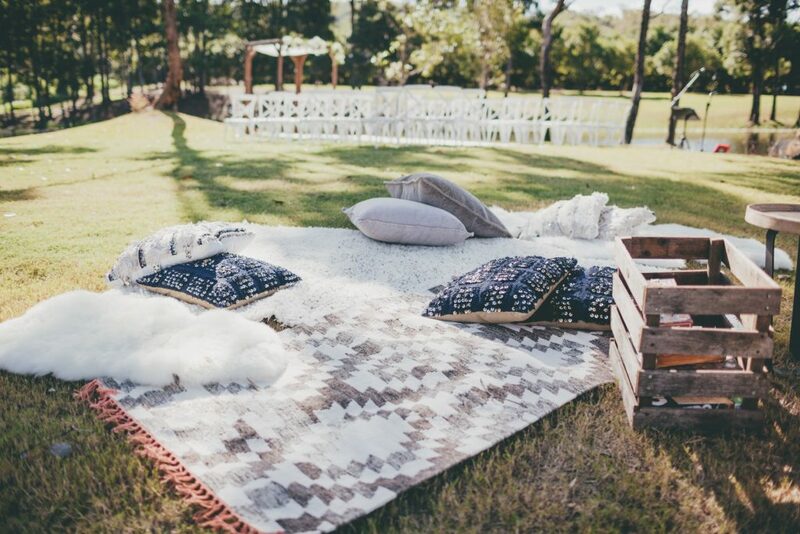 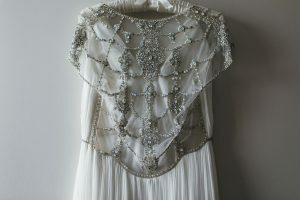 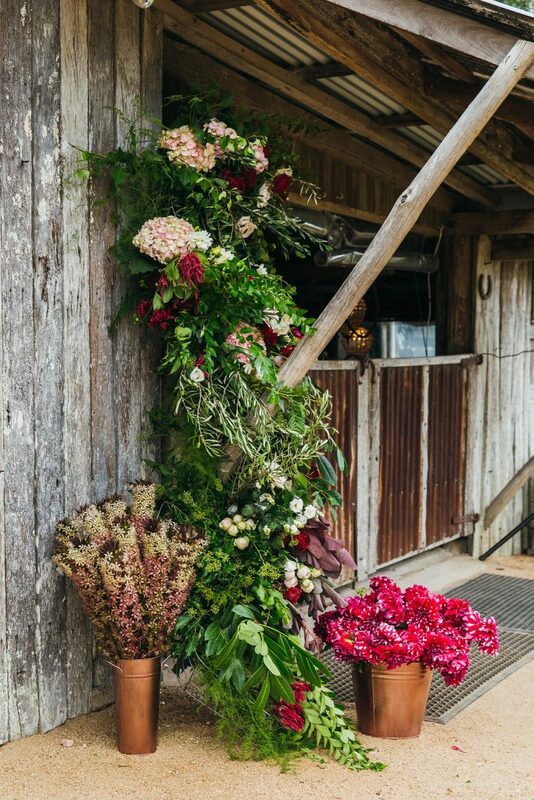 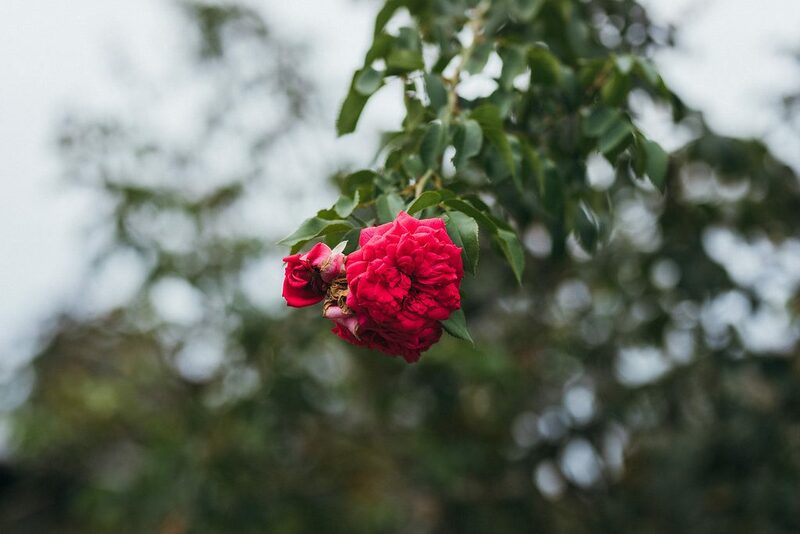 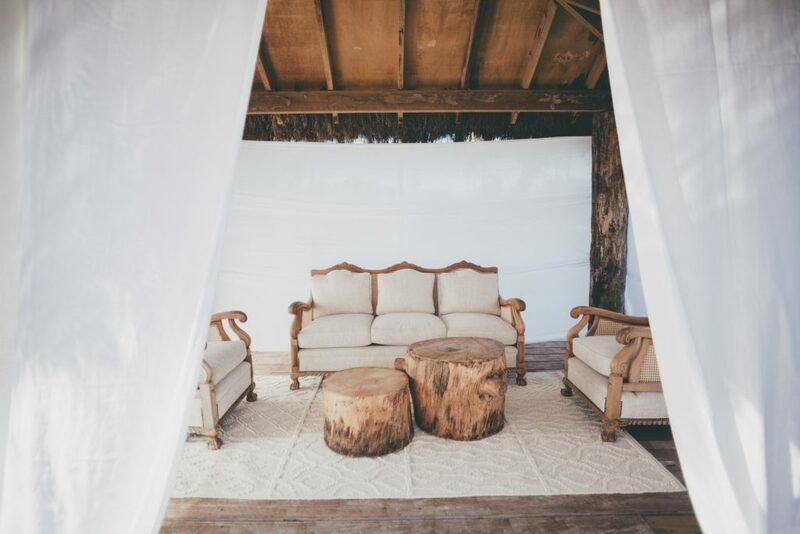 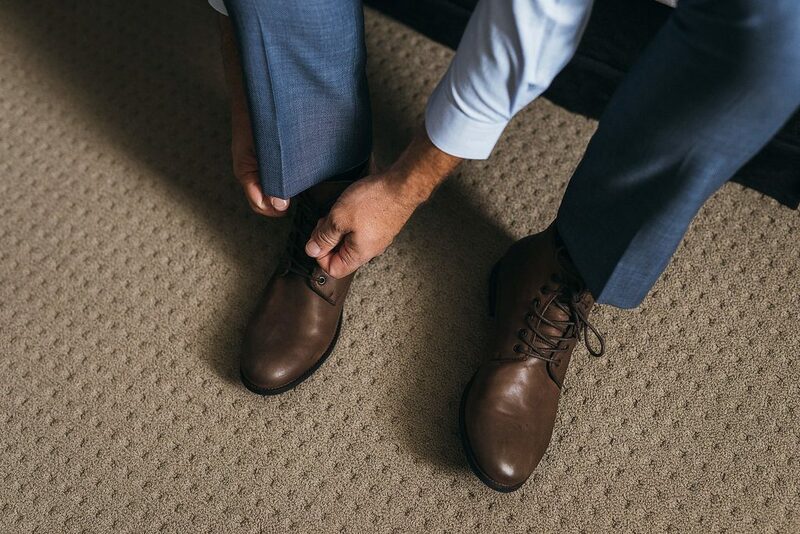 Natural & Elegant with a touch of Bohemian! 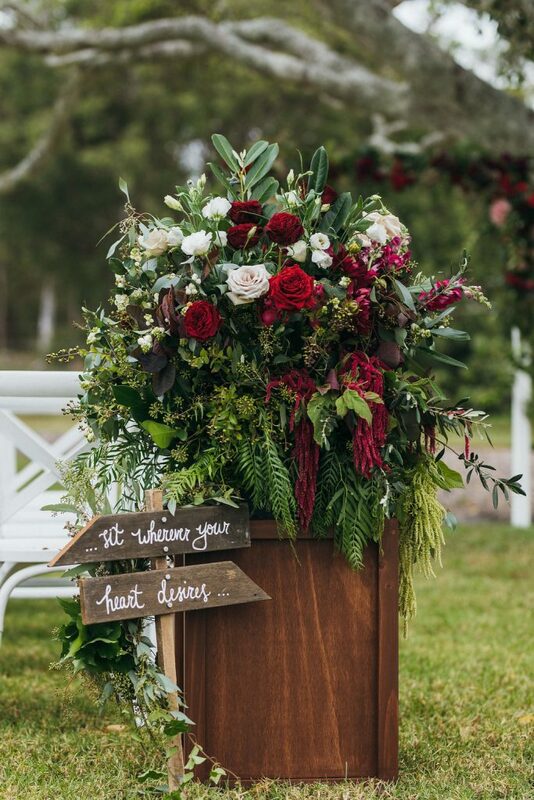 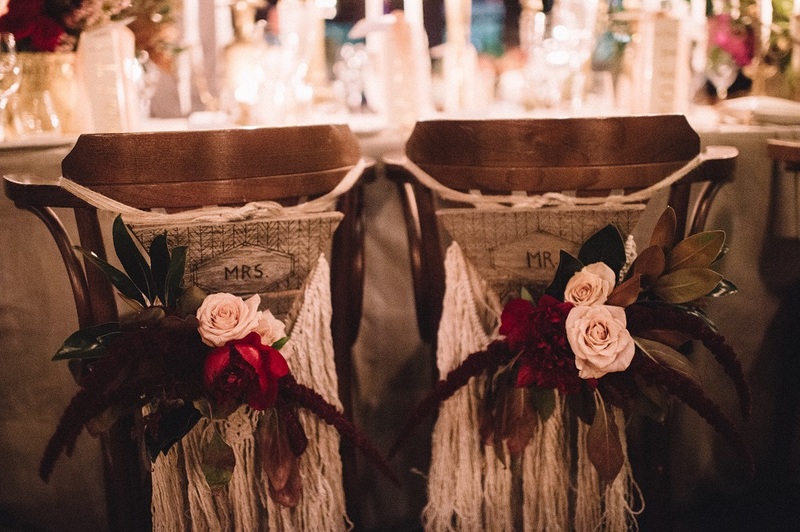 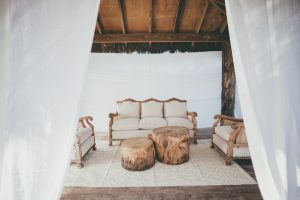 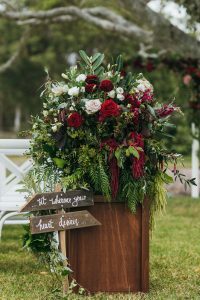 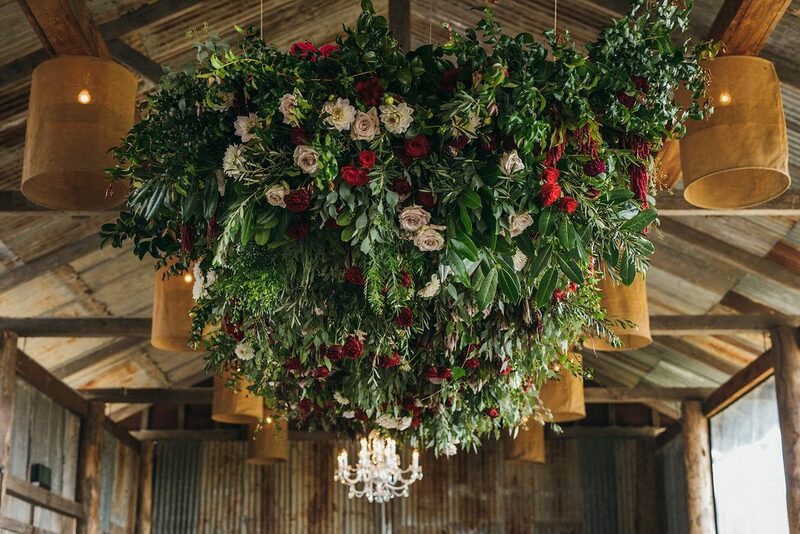 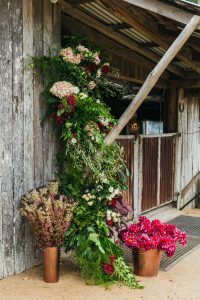 Teamed with Green Foliage and Rustic Timbers to tie in with the elegant bohemian styling design.